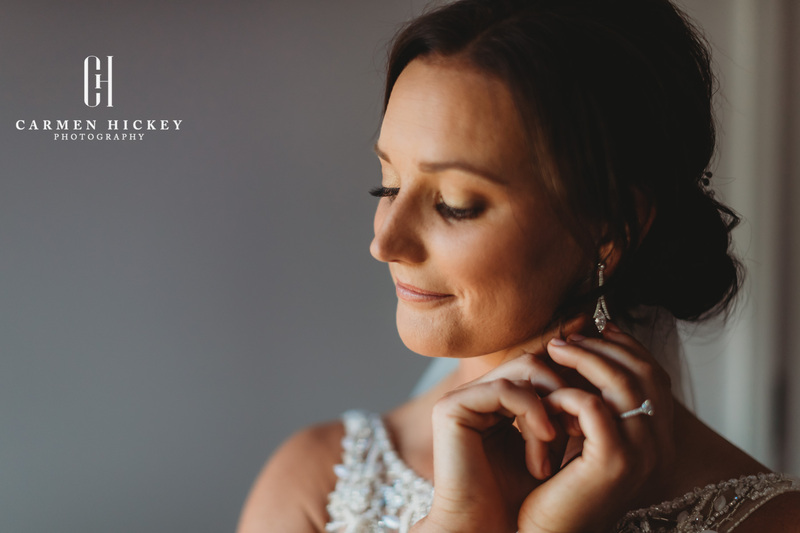 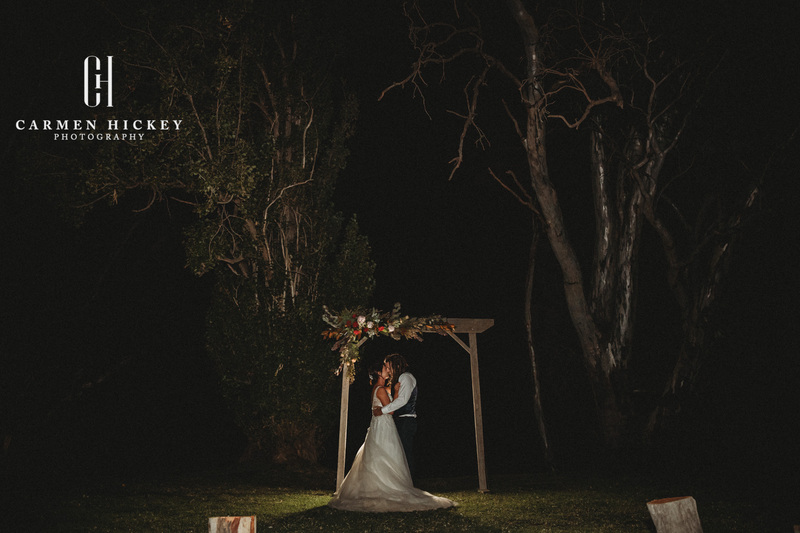 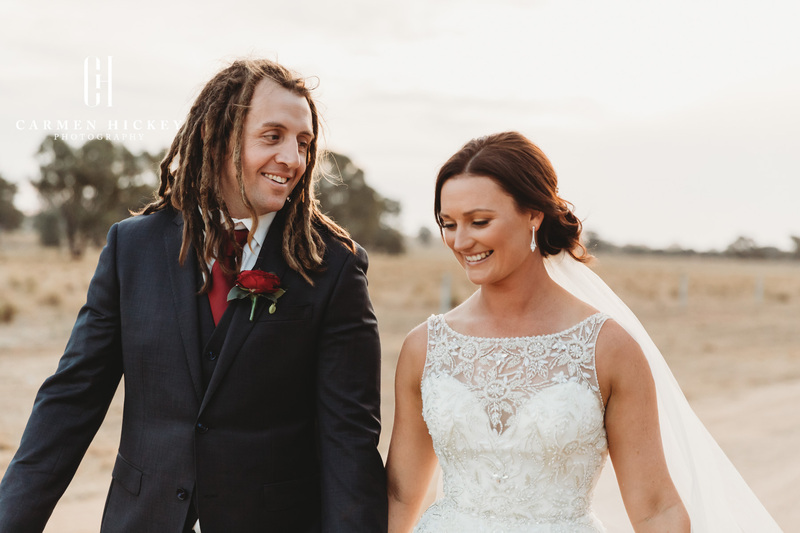 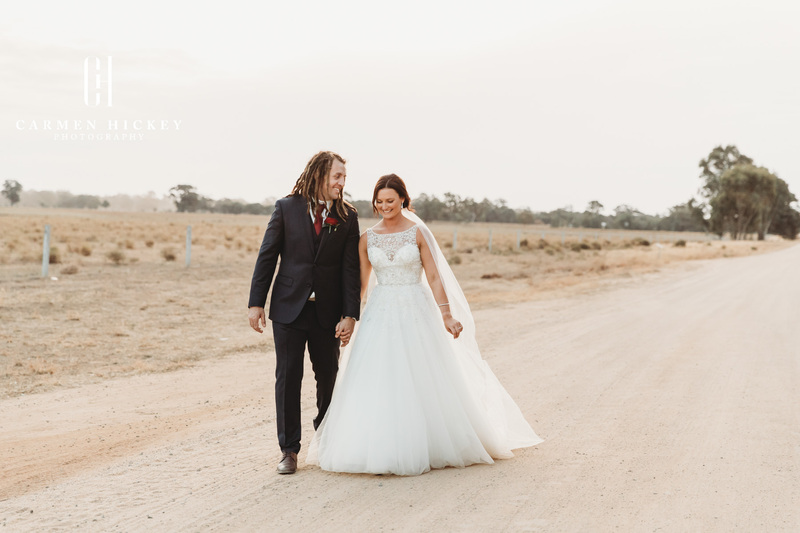 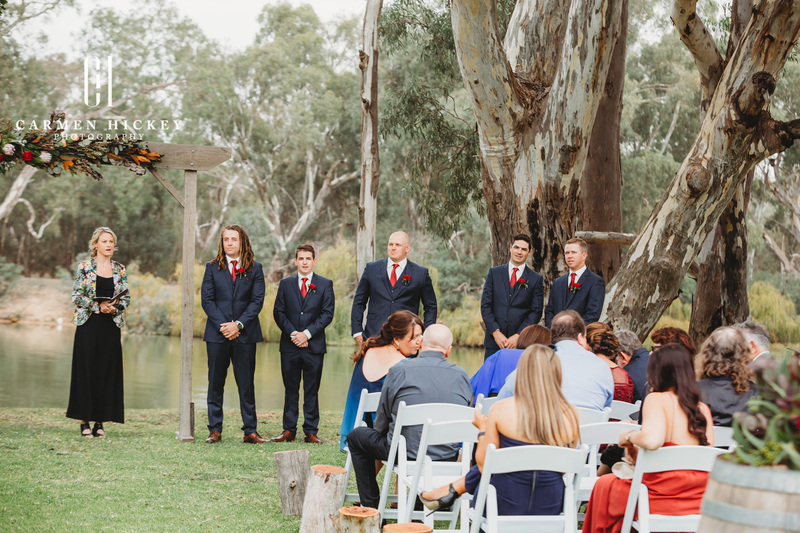 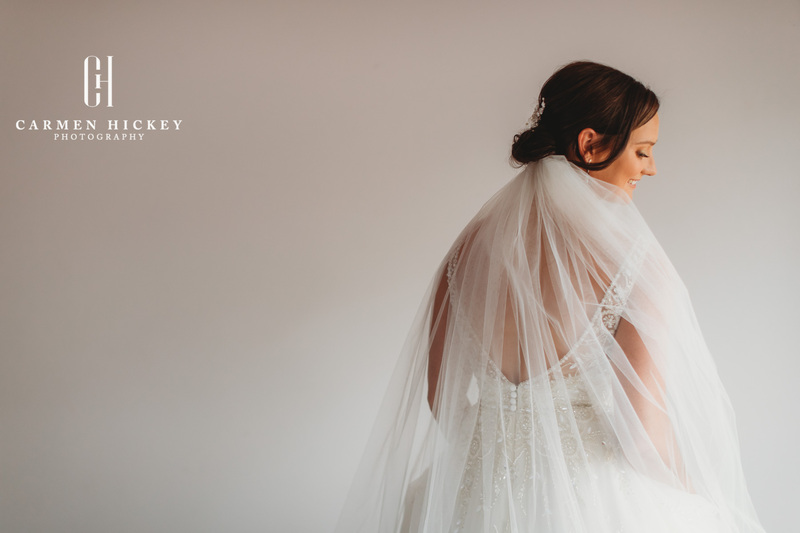 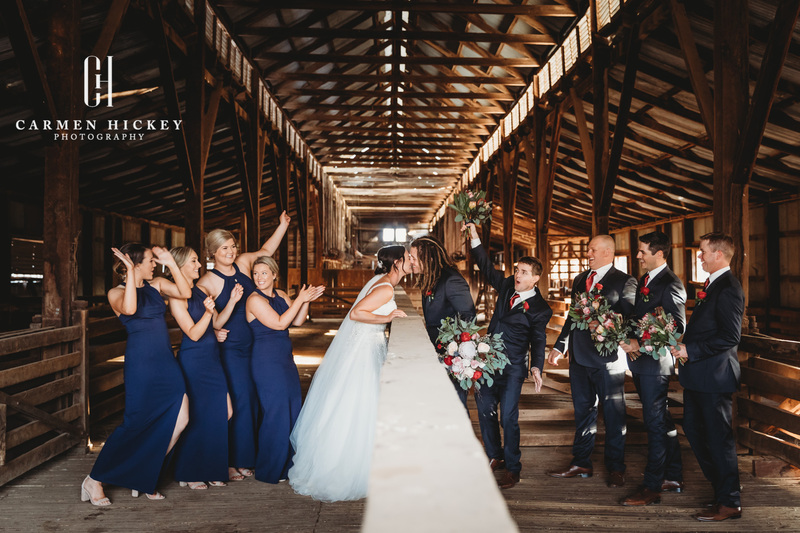 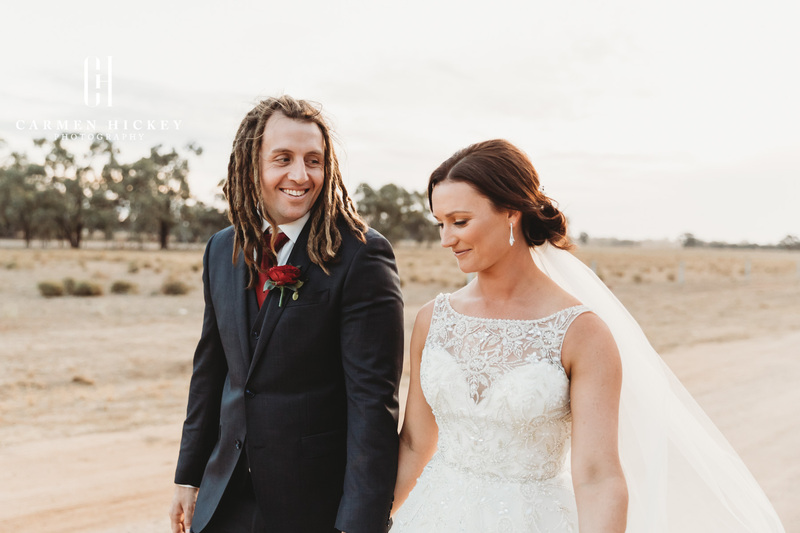 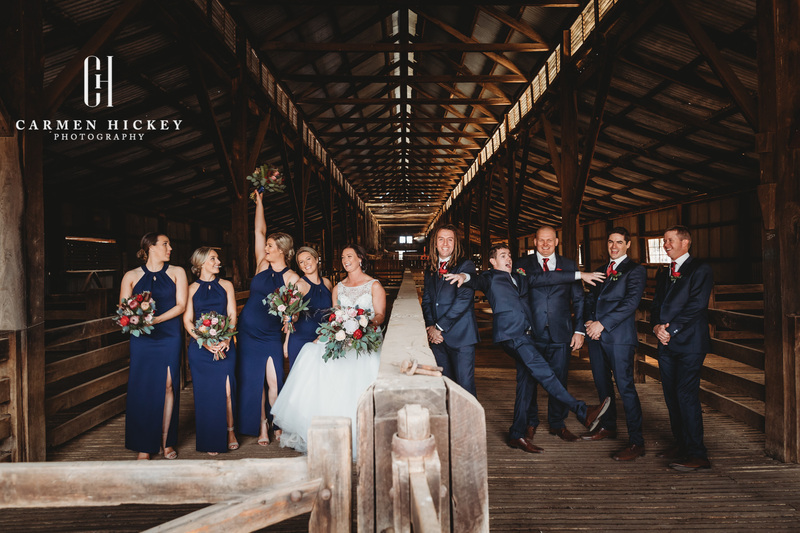 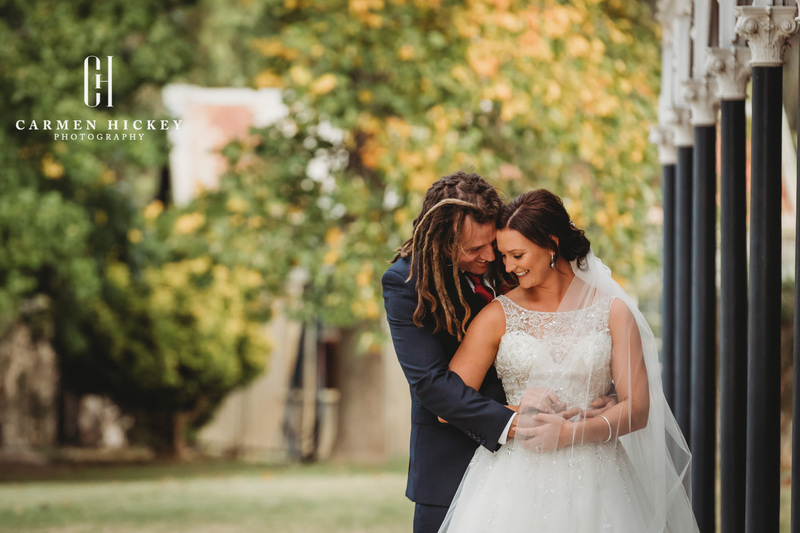 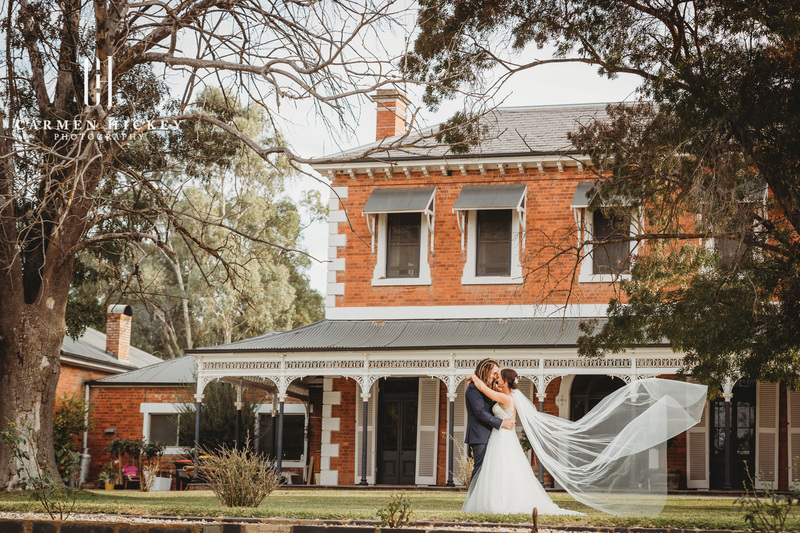 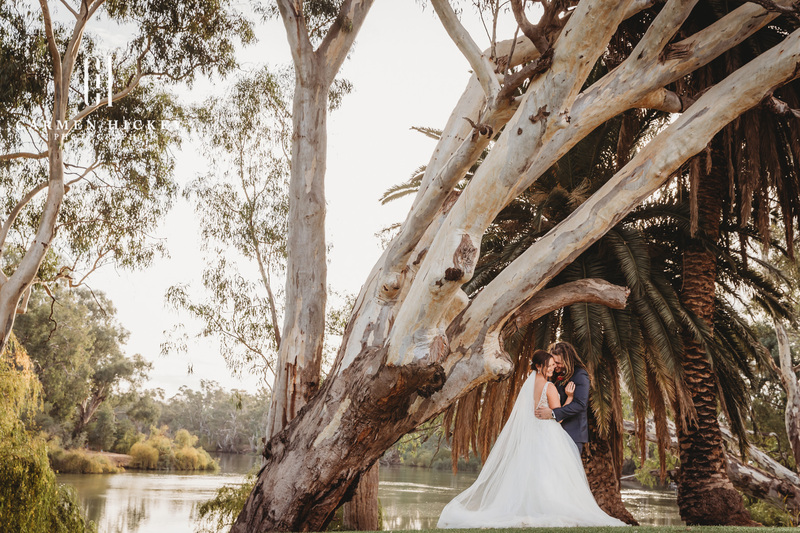 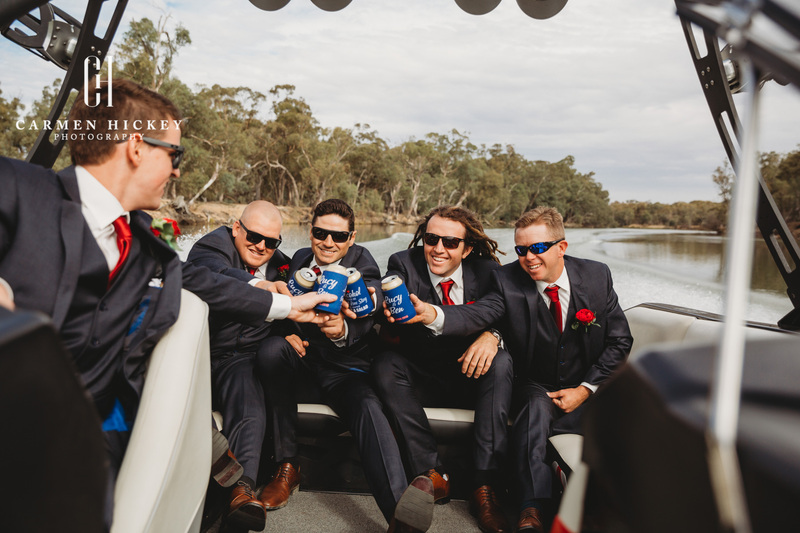 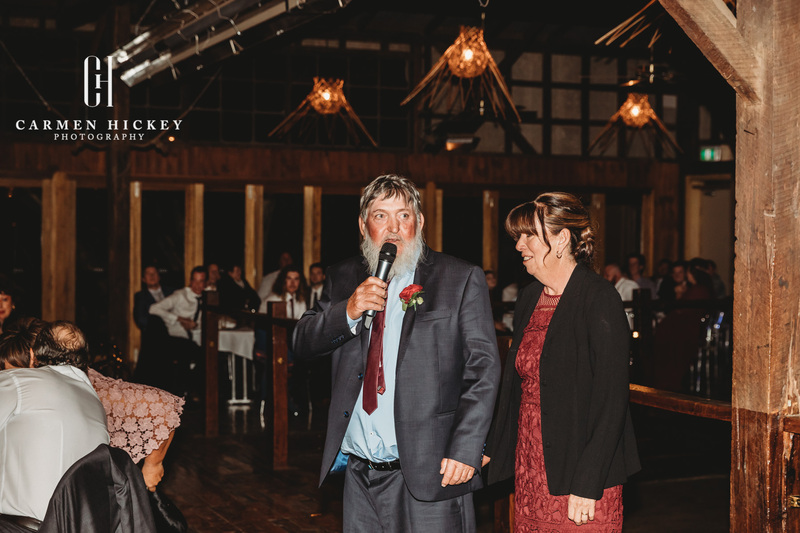 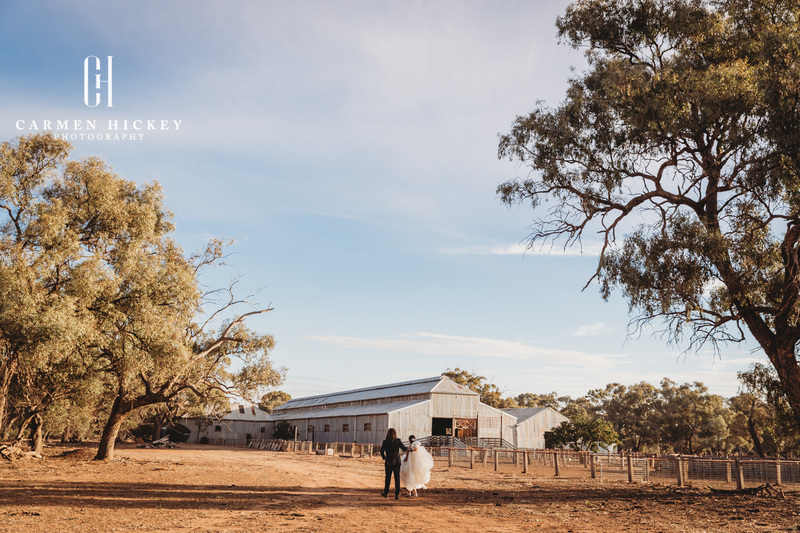 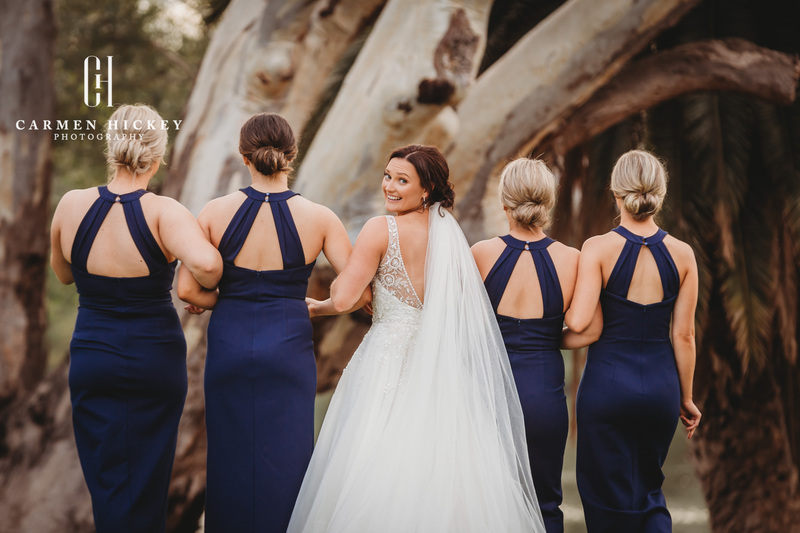 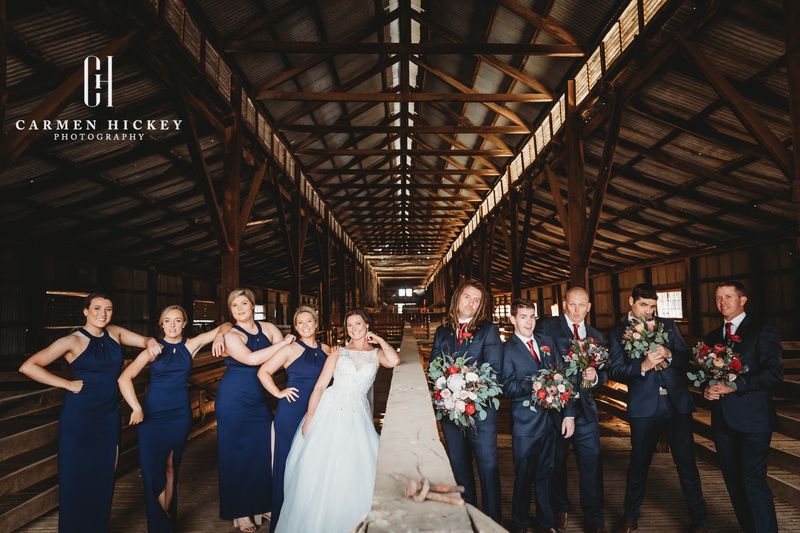 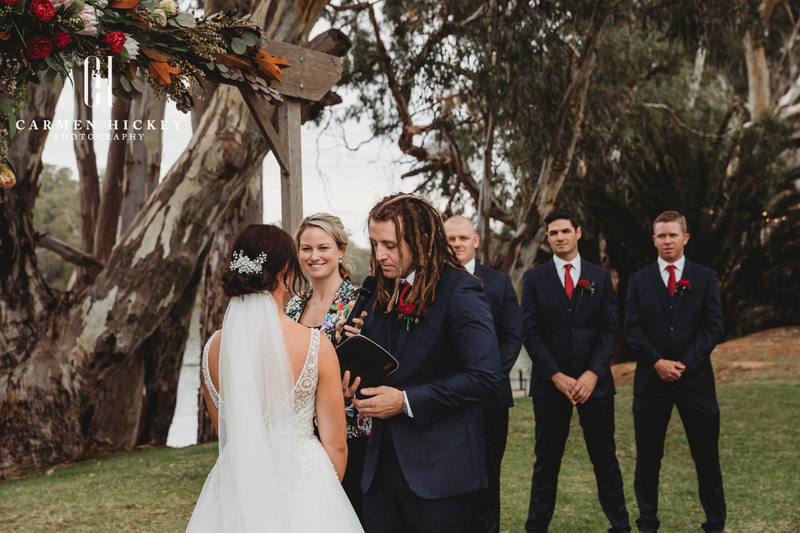 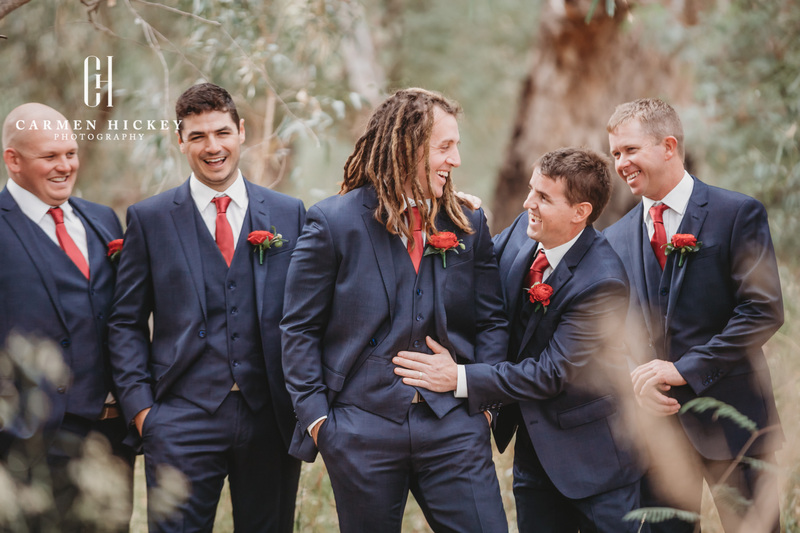 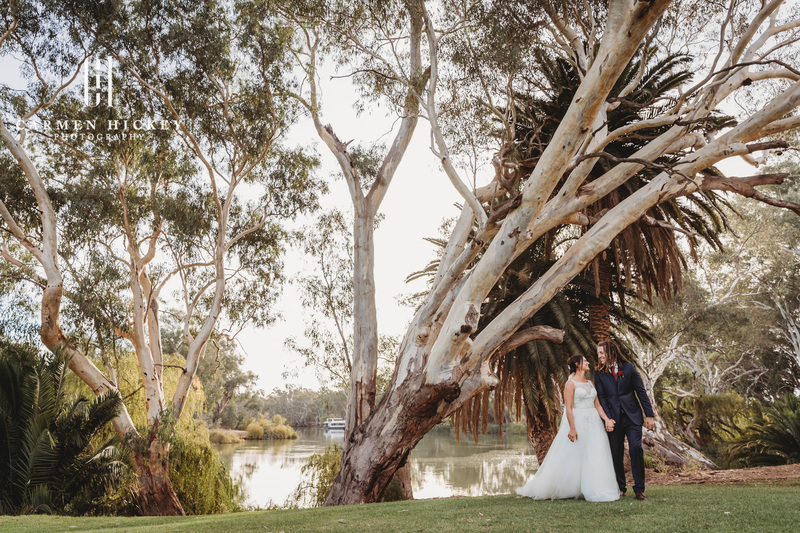 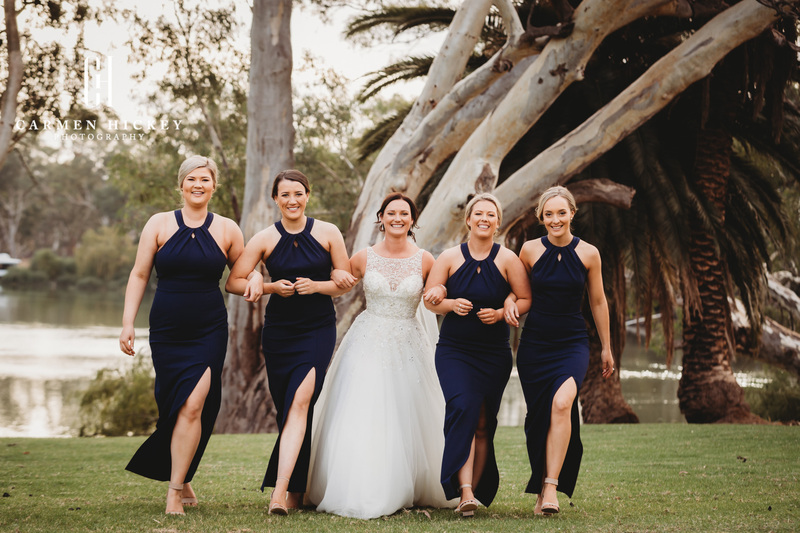 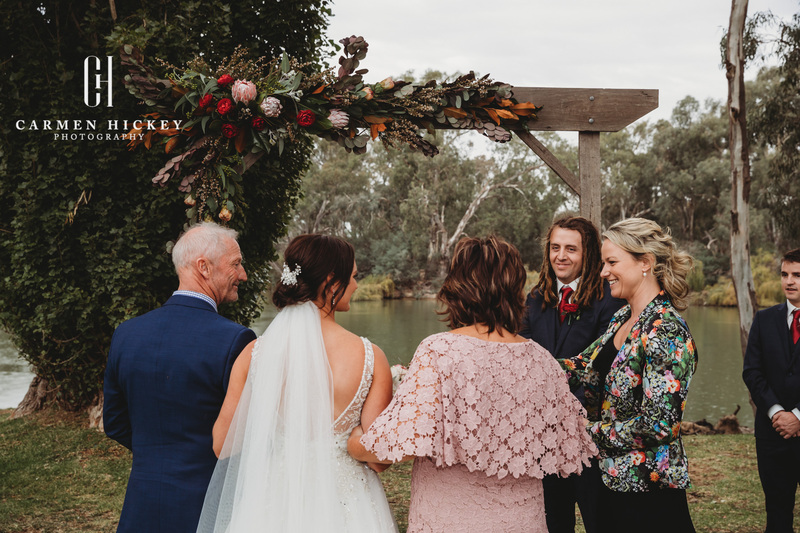 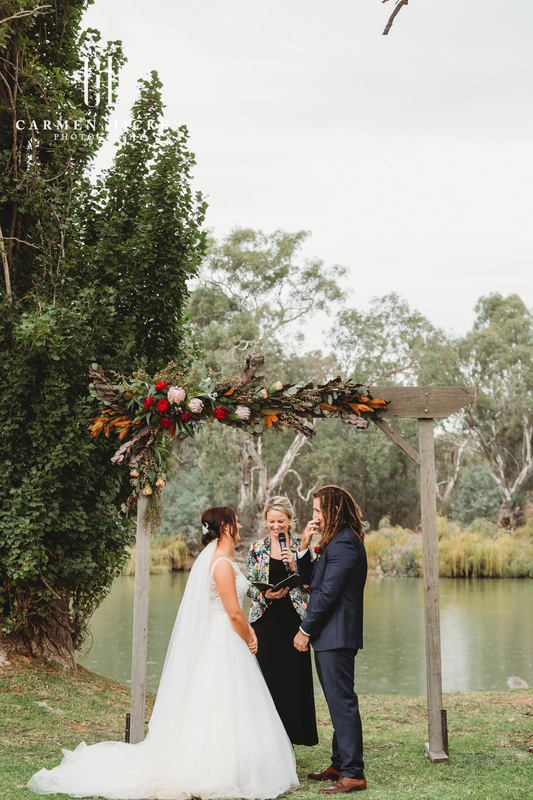 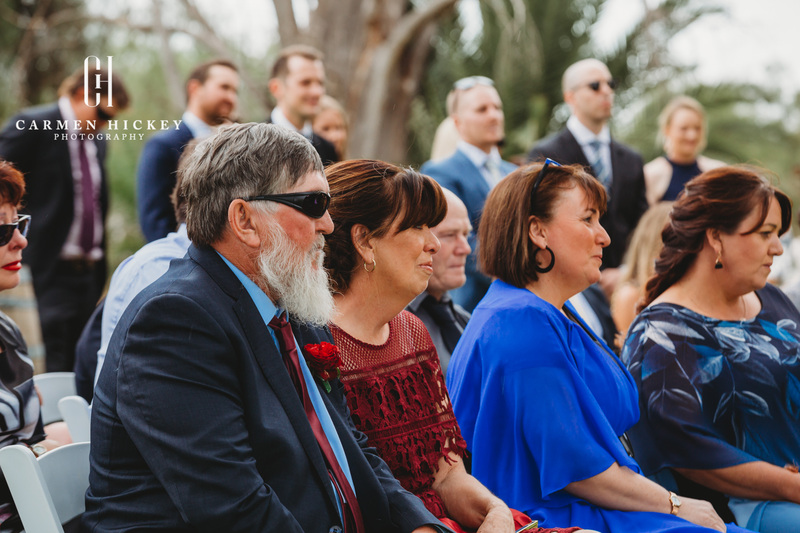 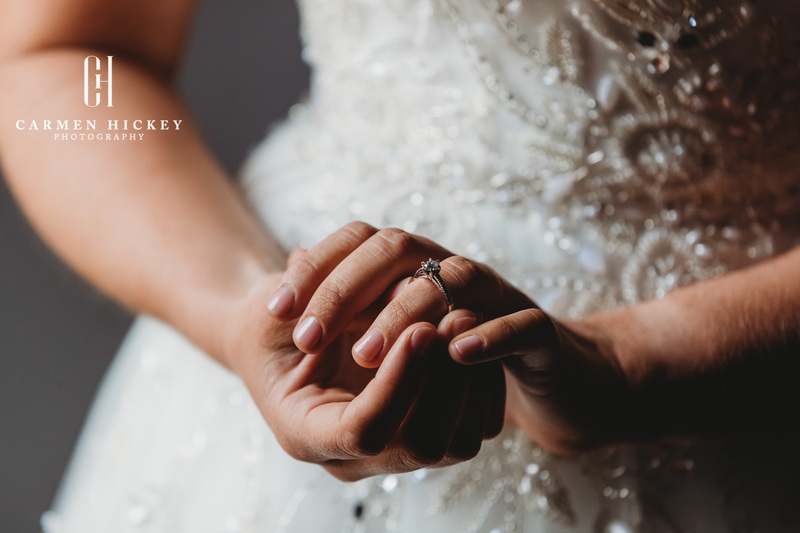 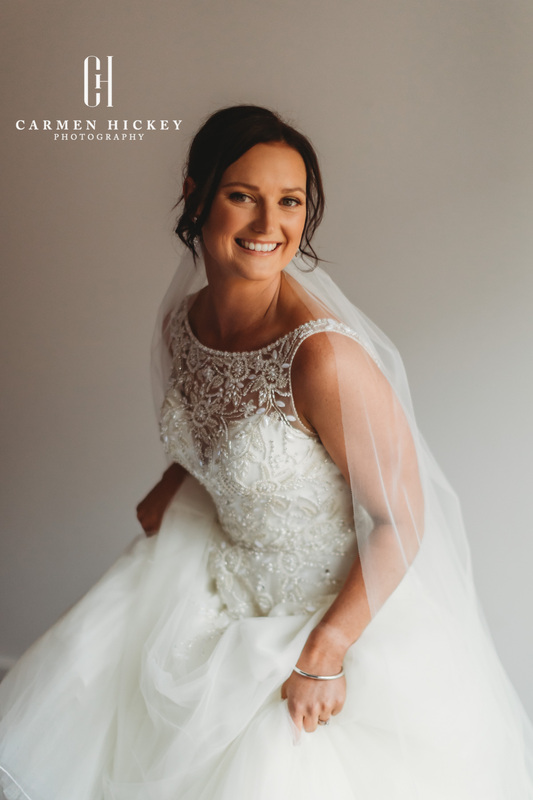 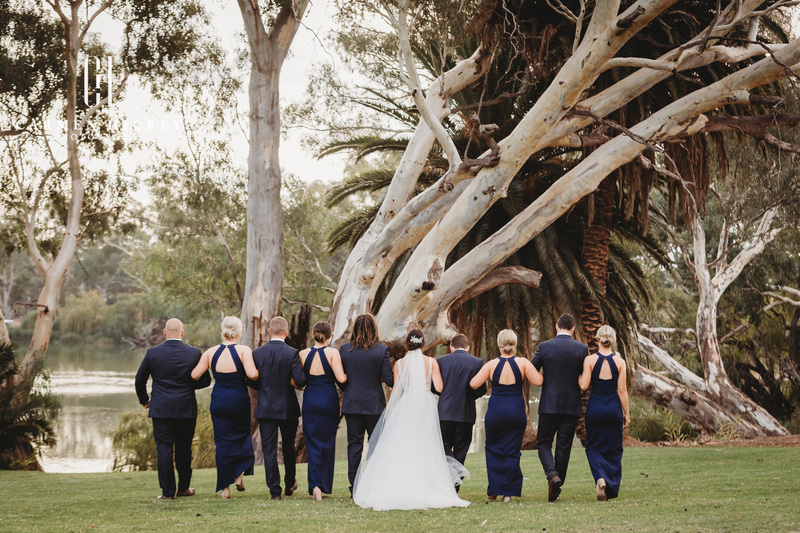 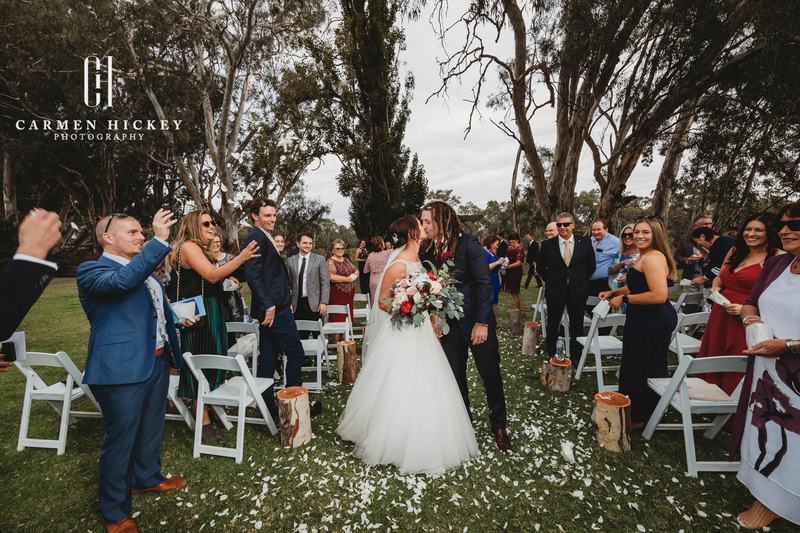 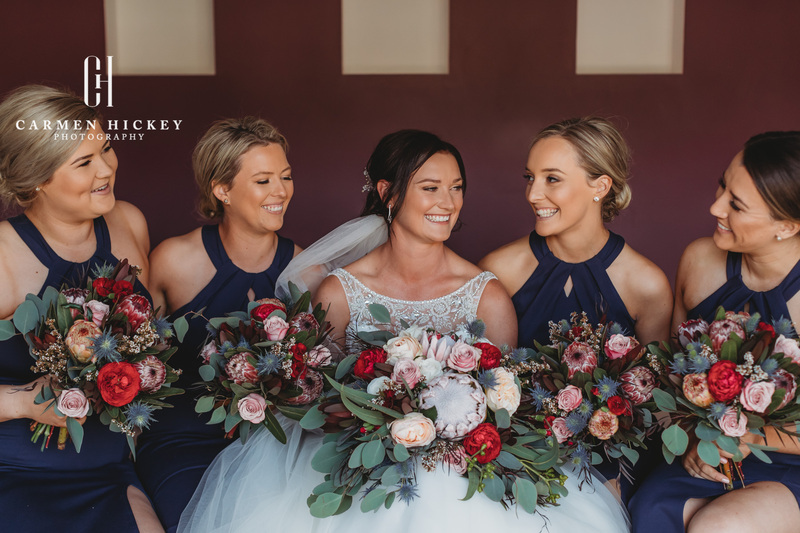 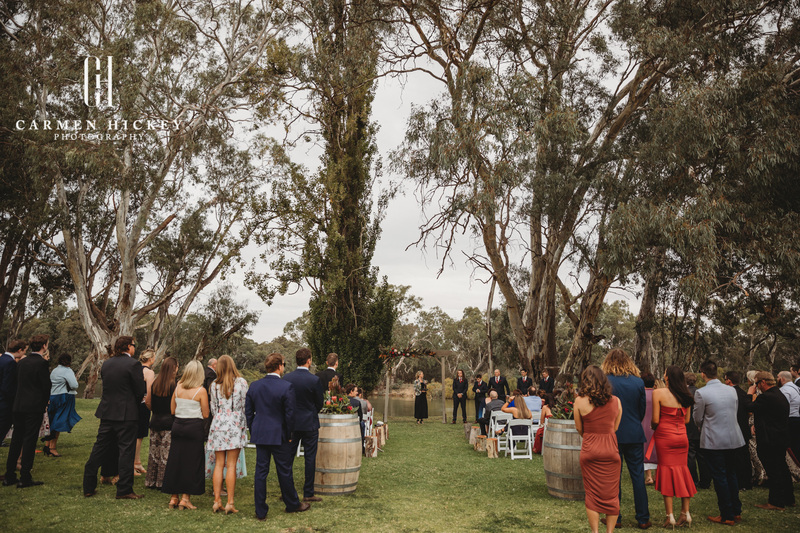 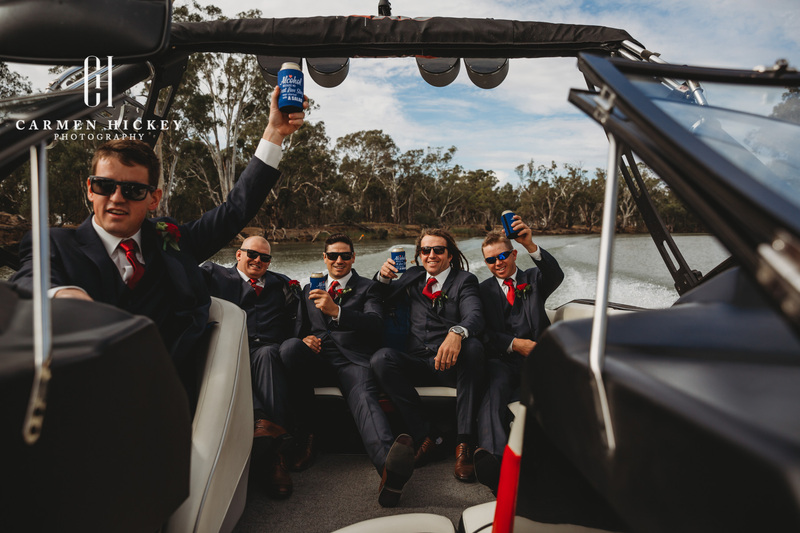 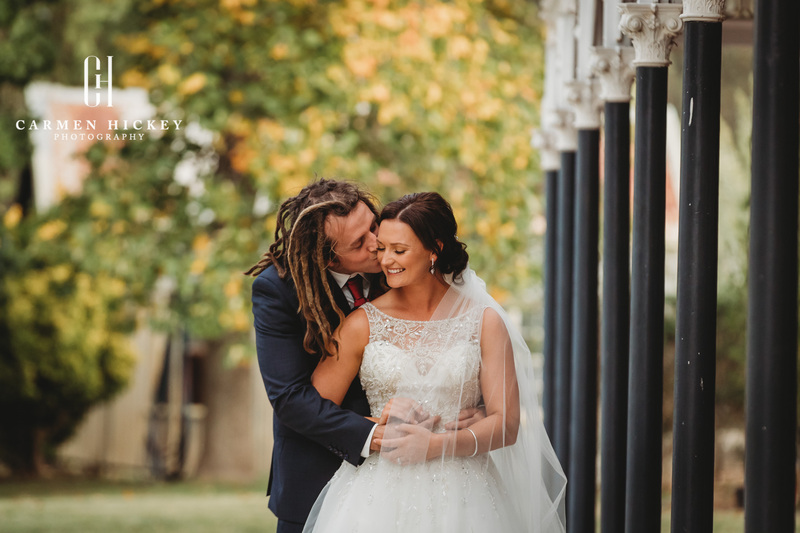 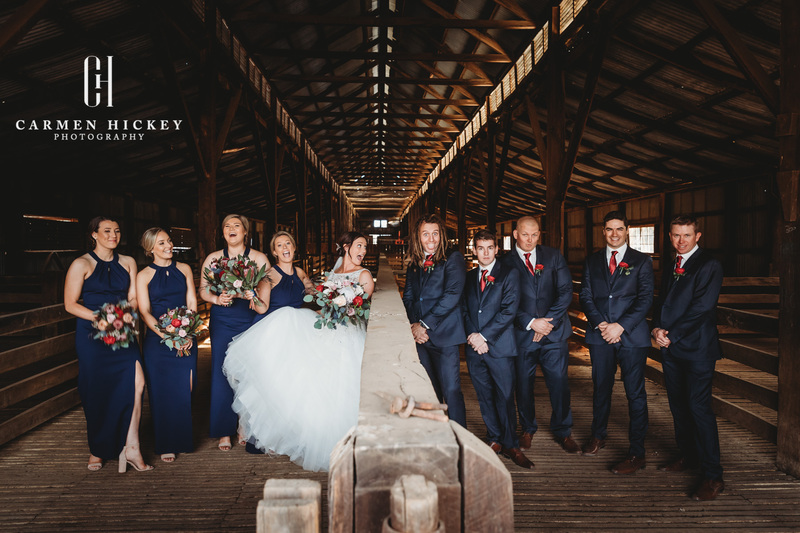 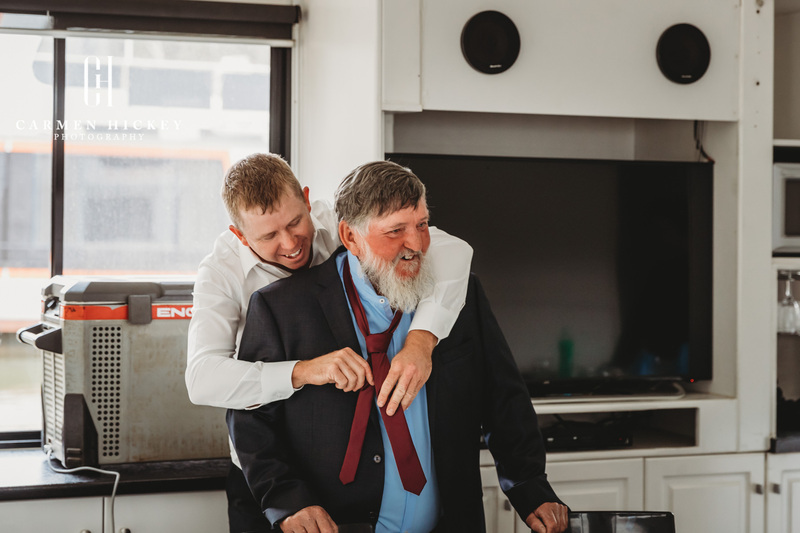 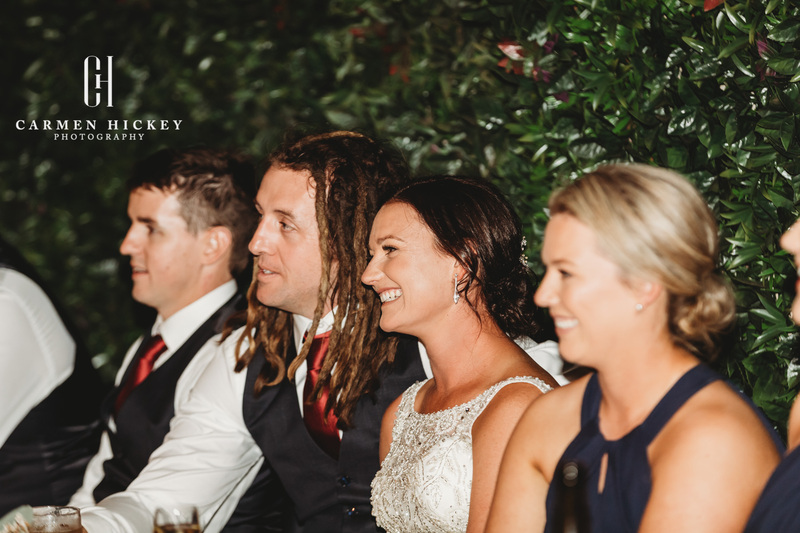 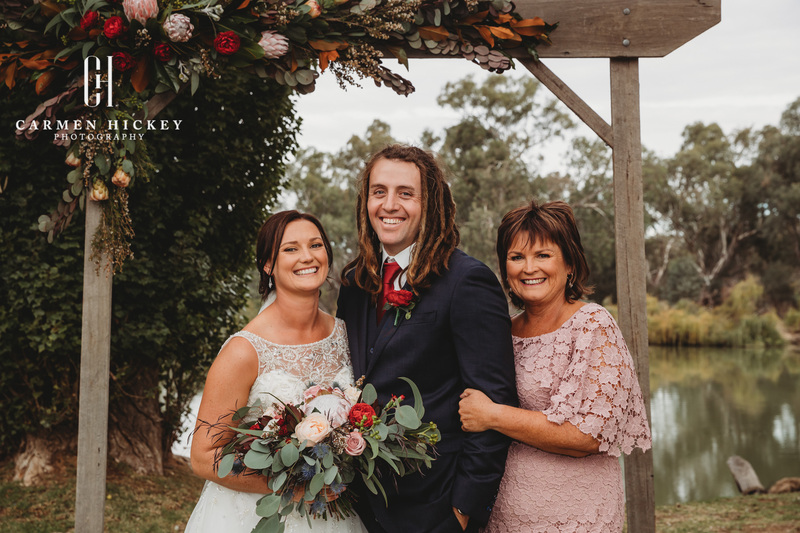 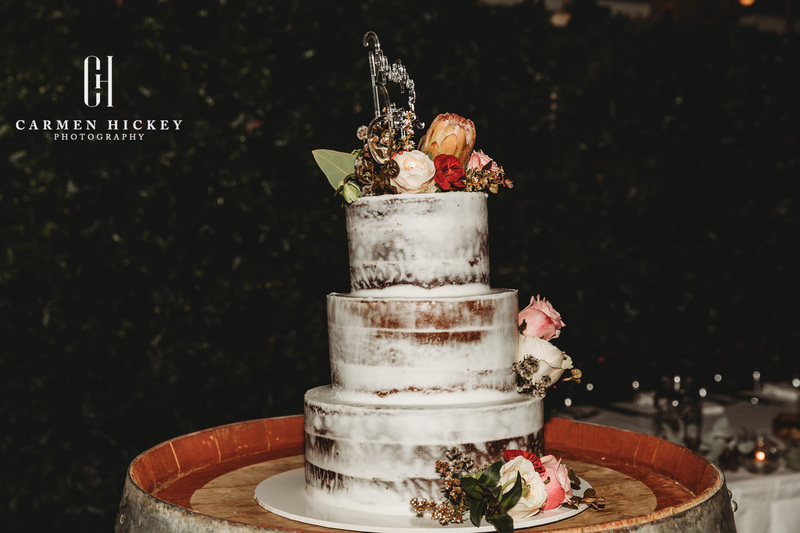 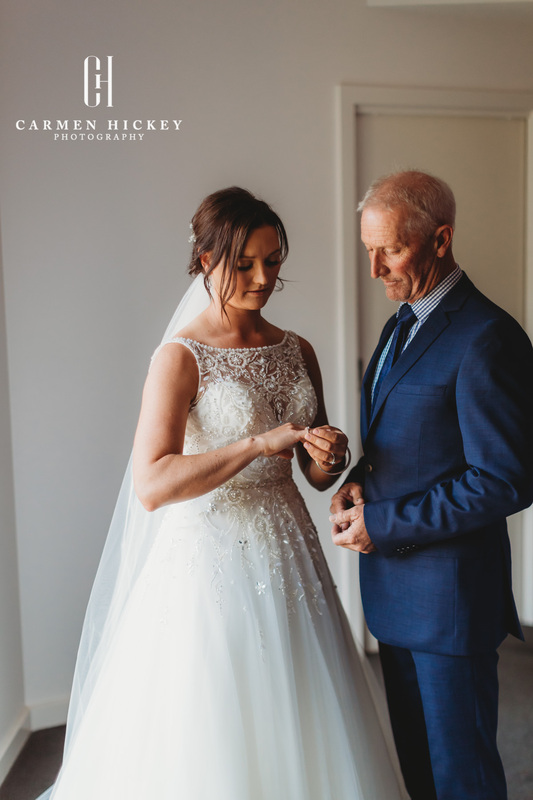 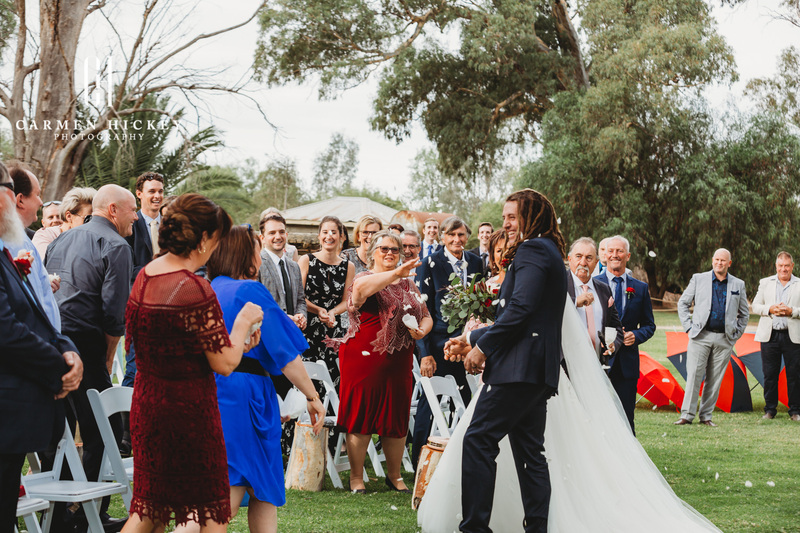 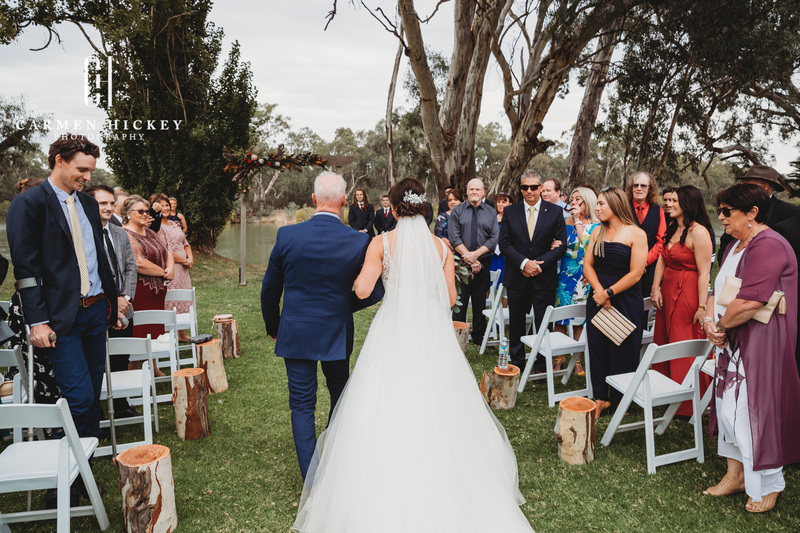 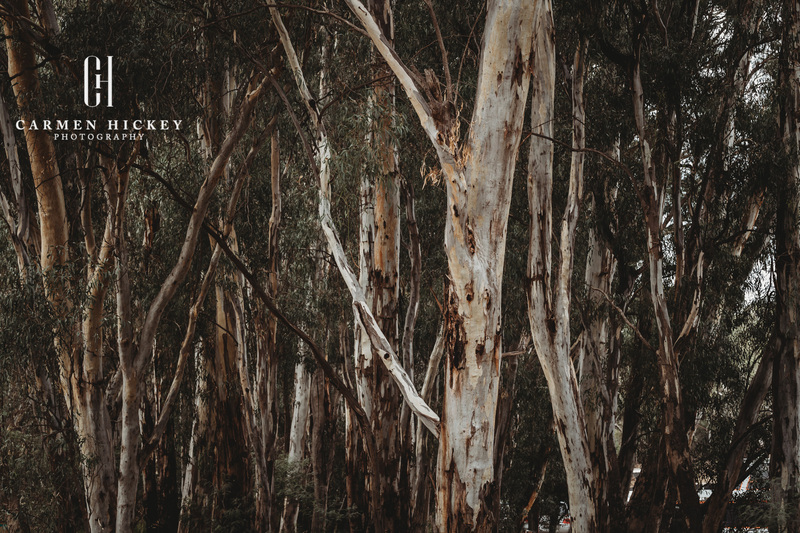 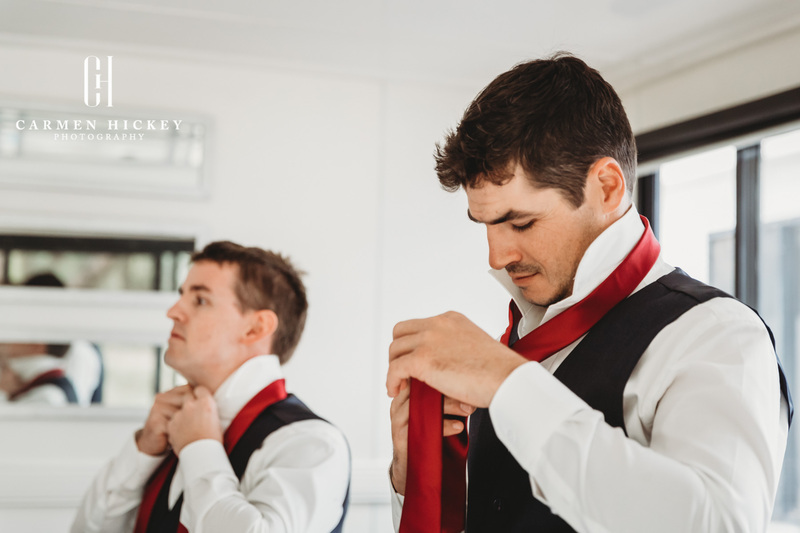 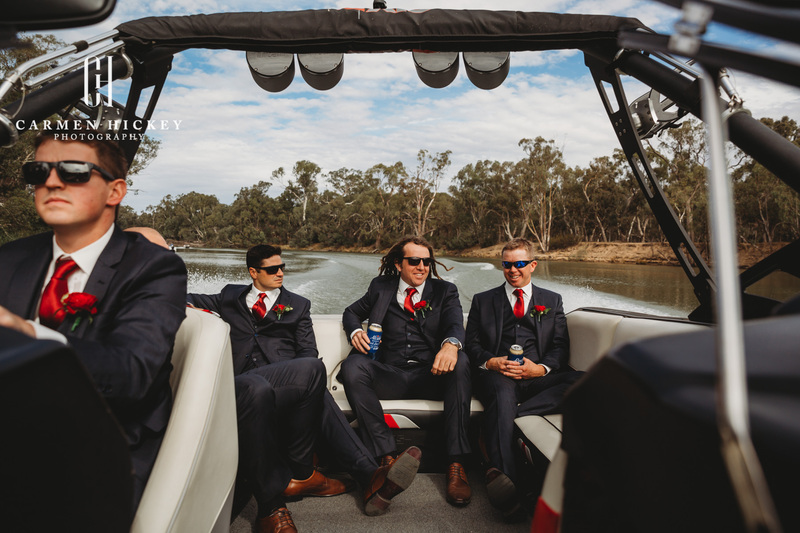 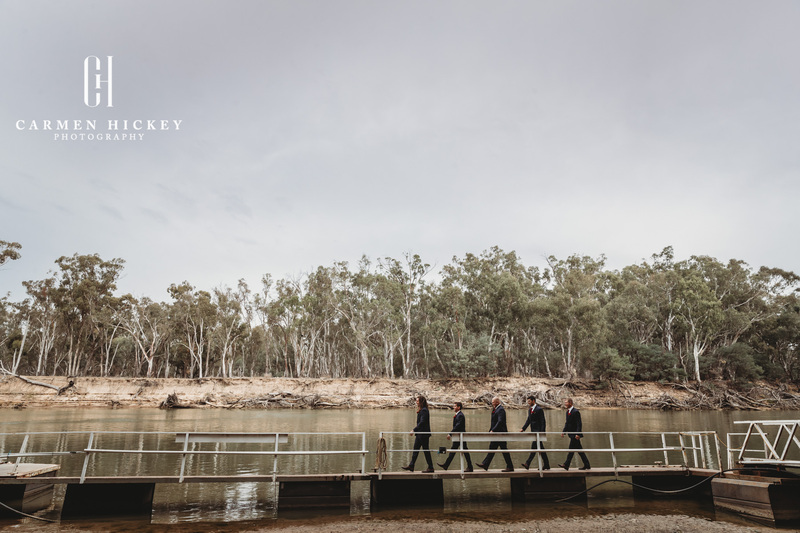 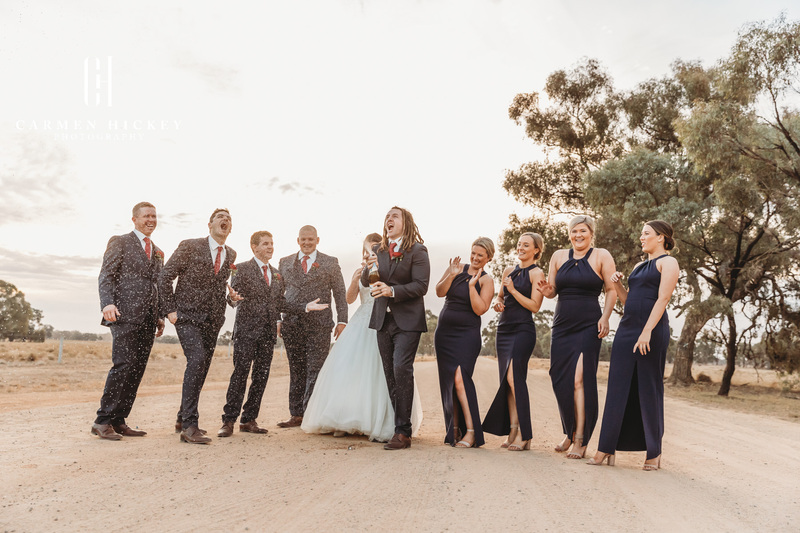 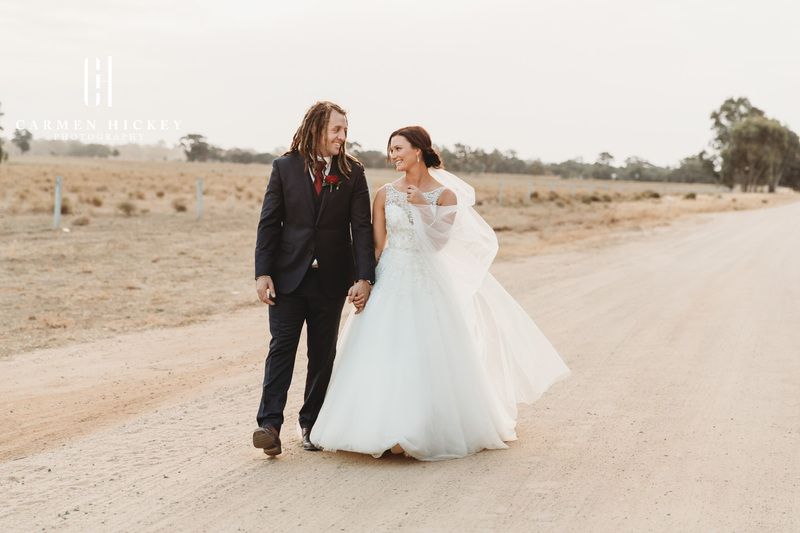 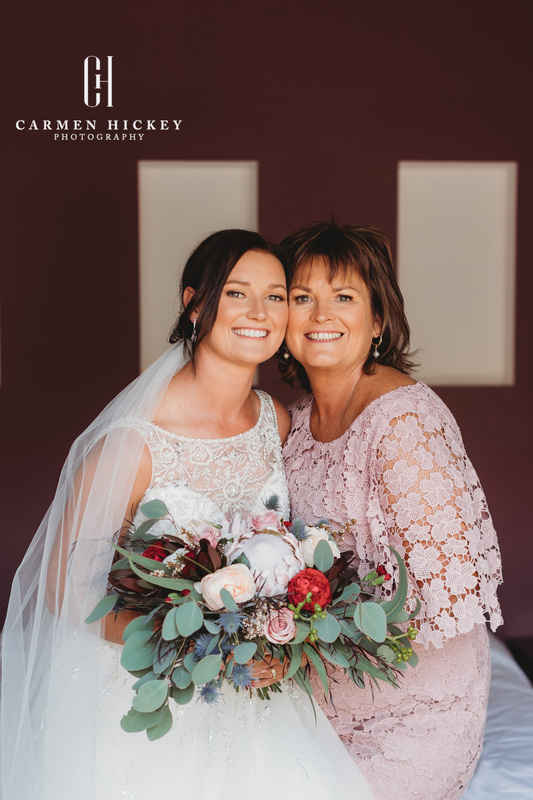 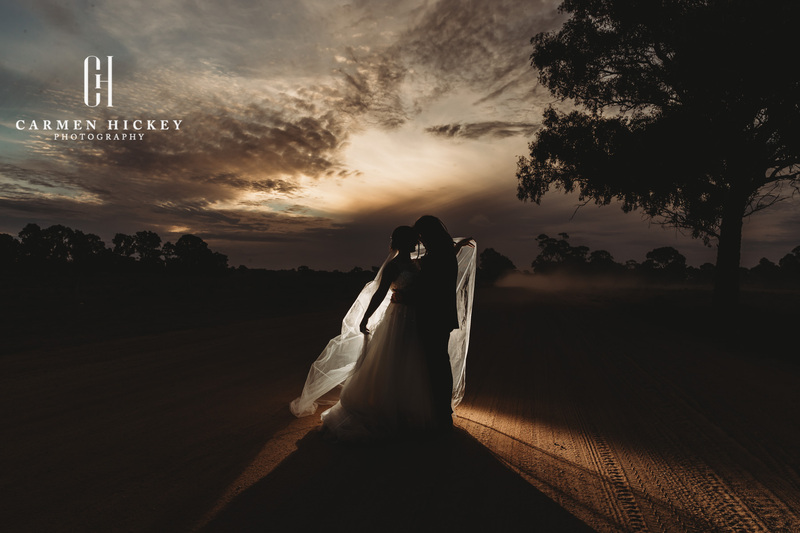 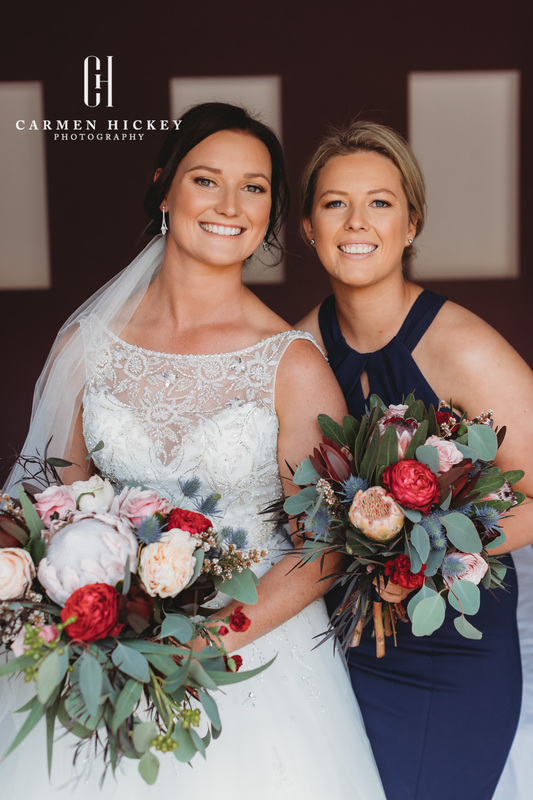 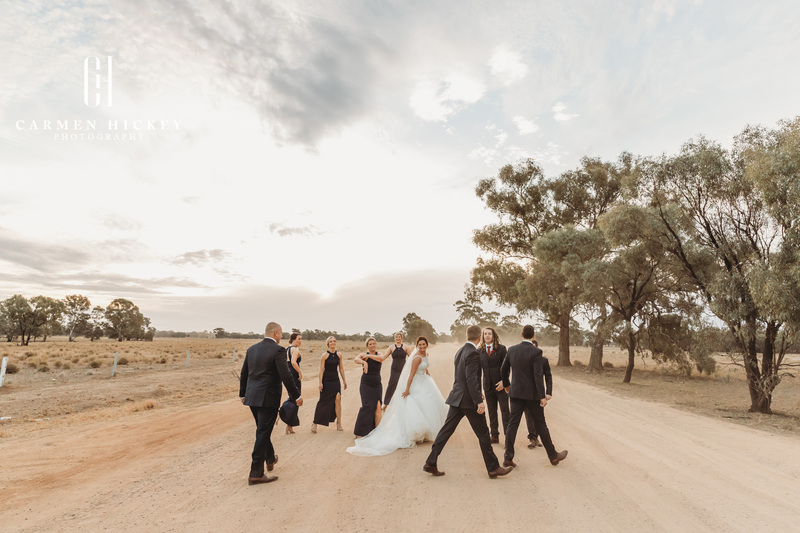 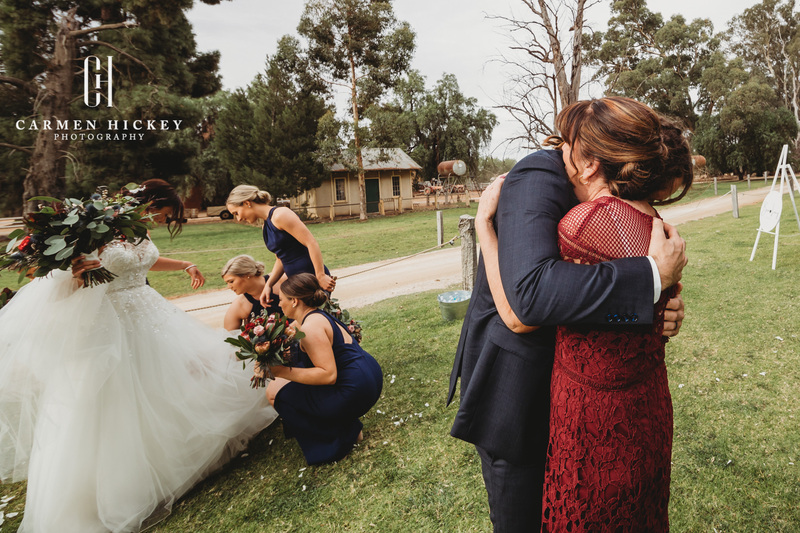 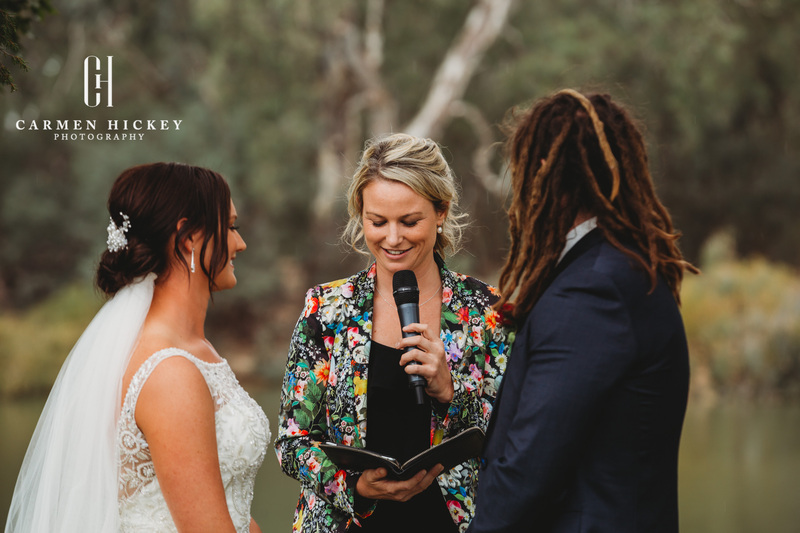 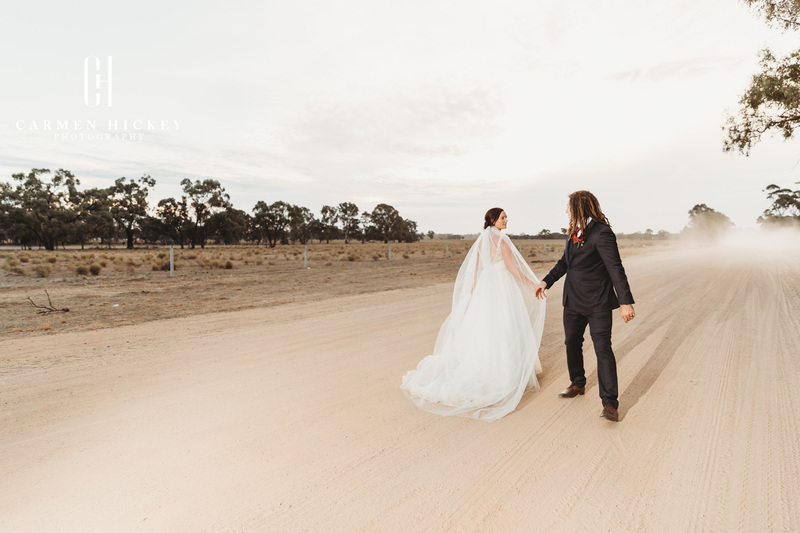 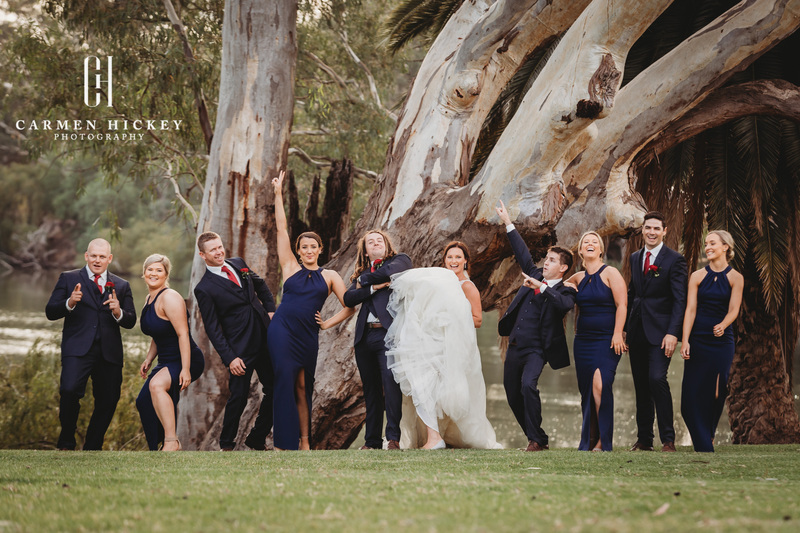 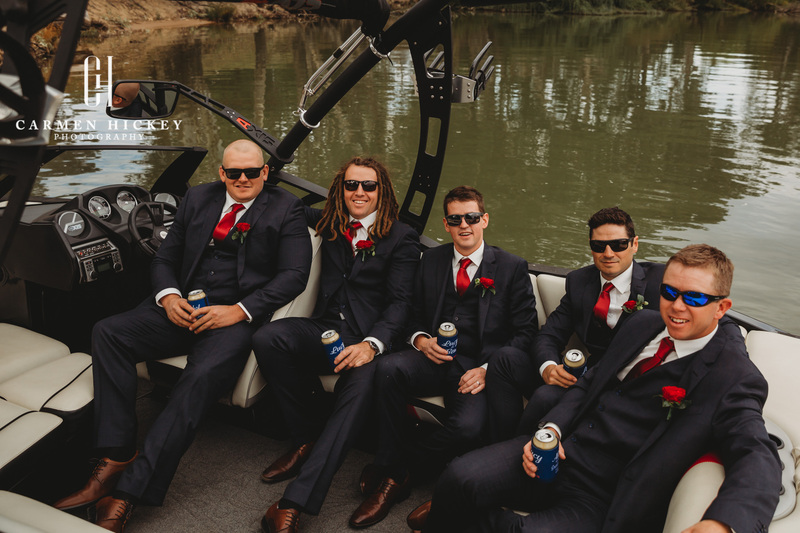 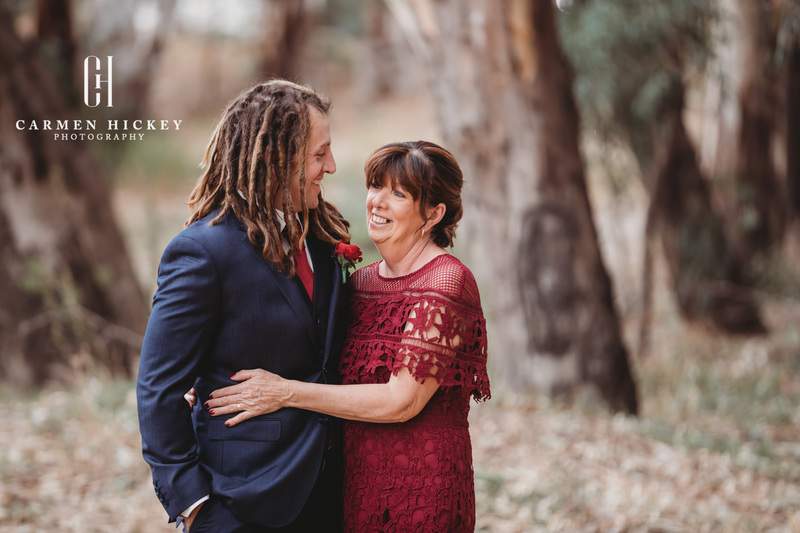 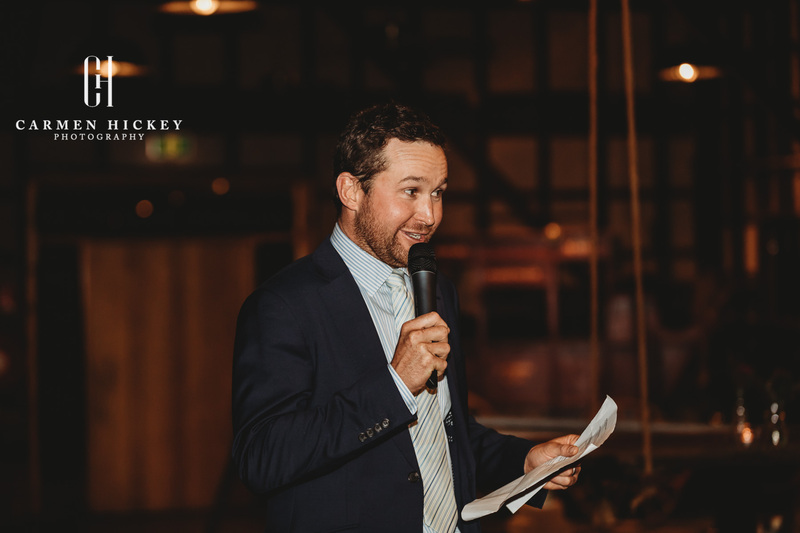 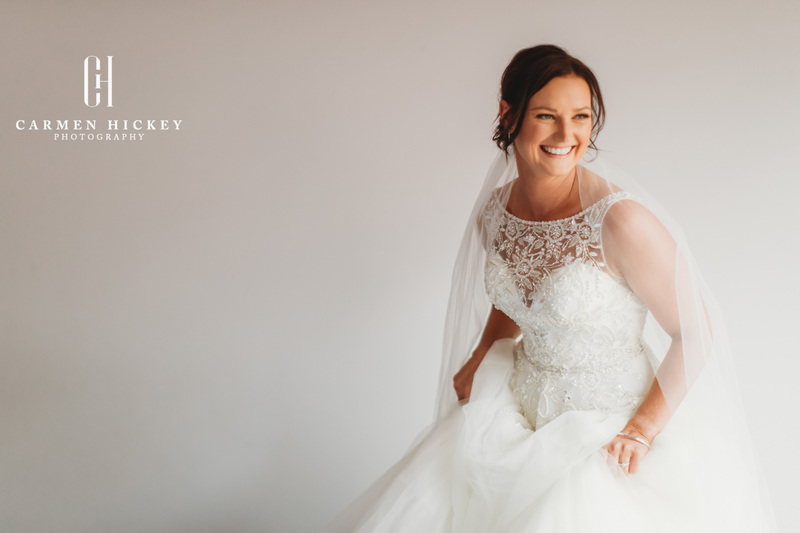 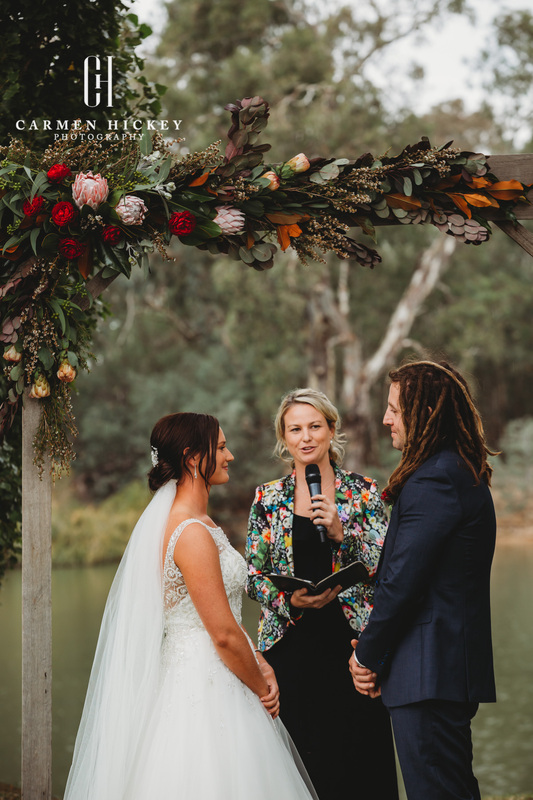 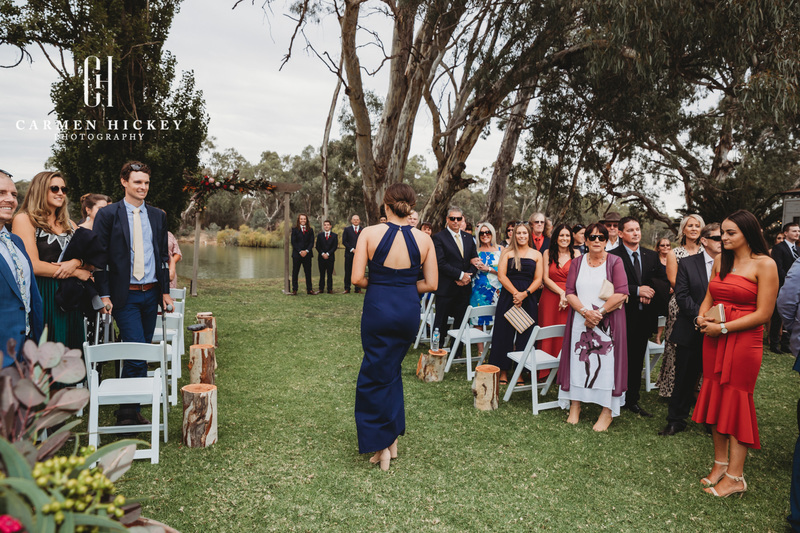 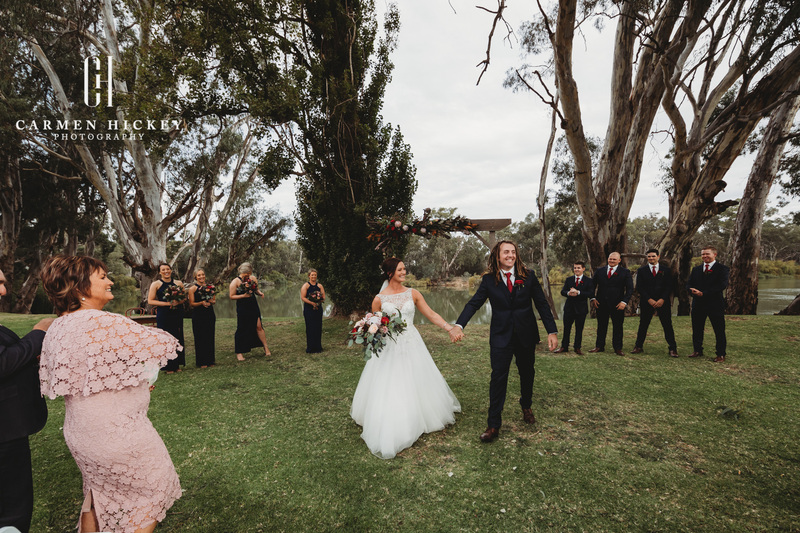 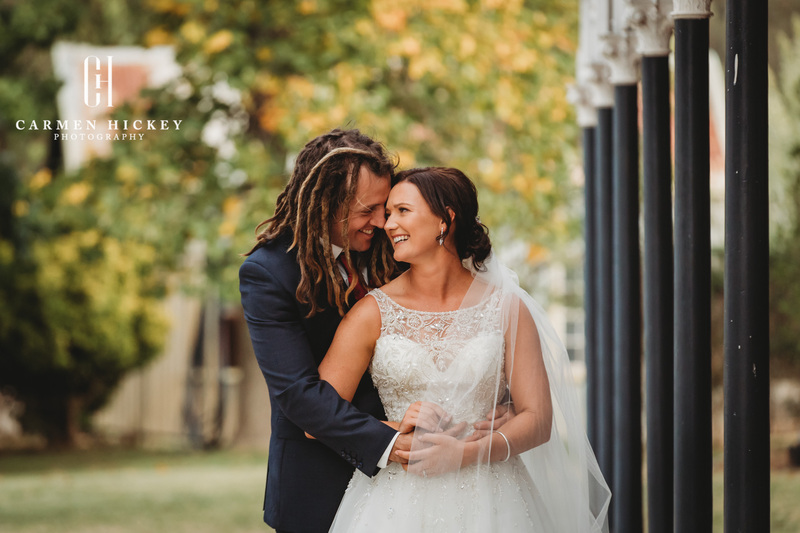 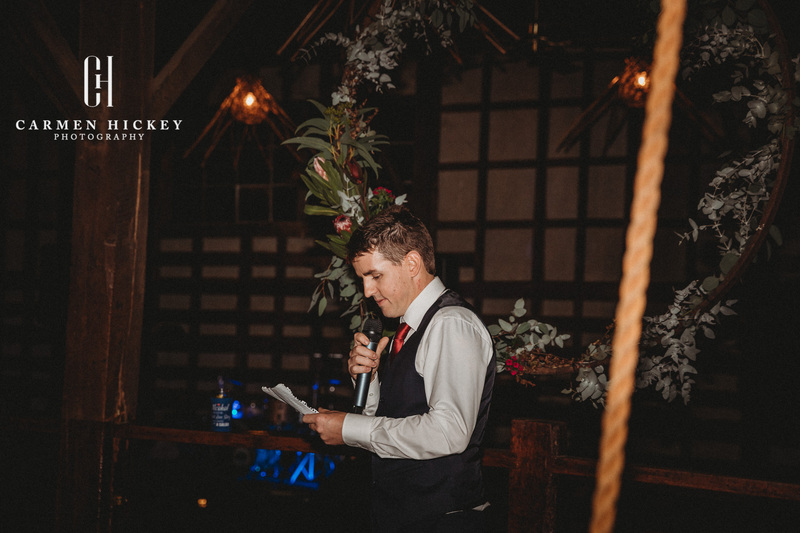 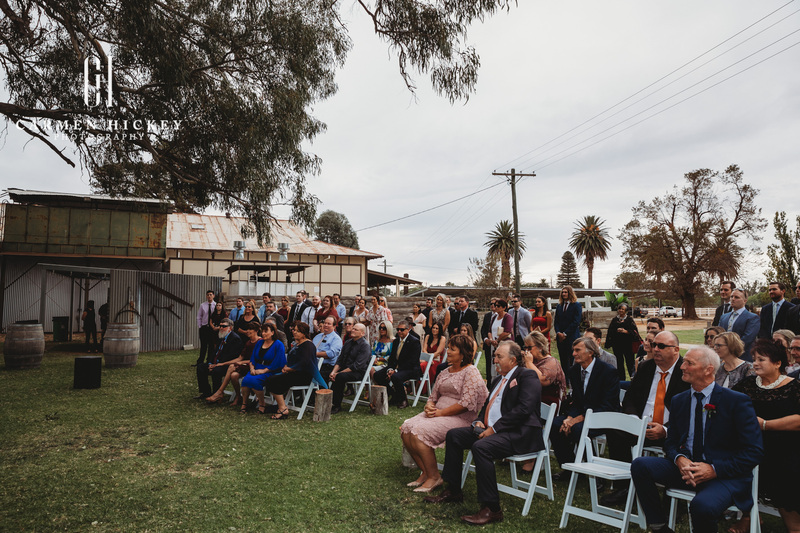 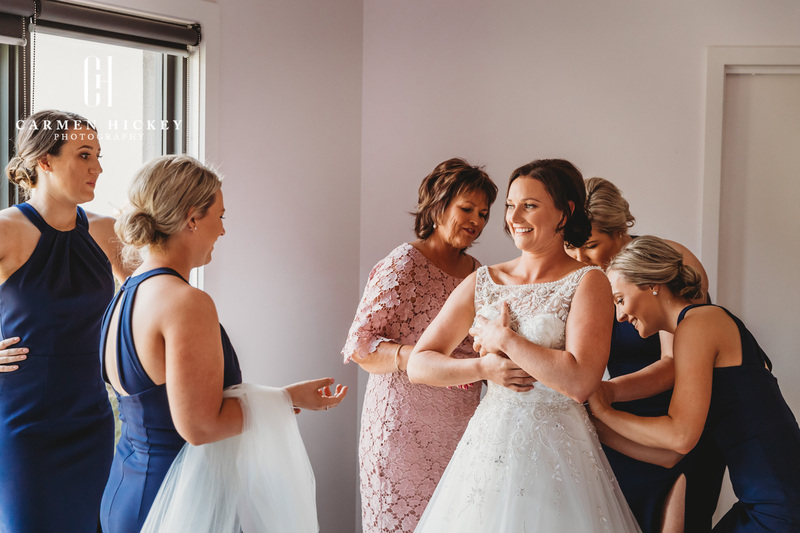 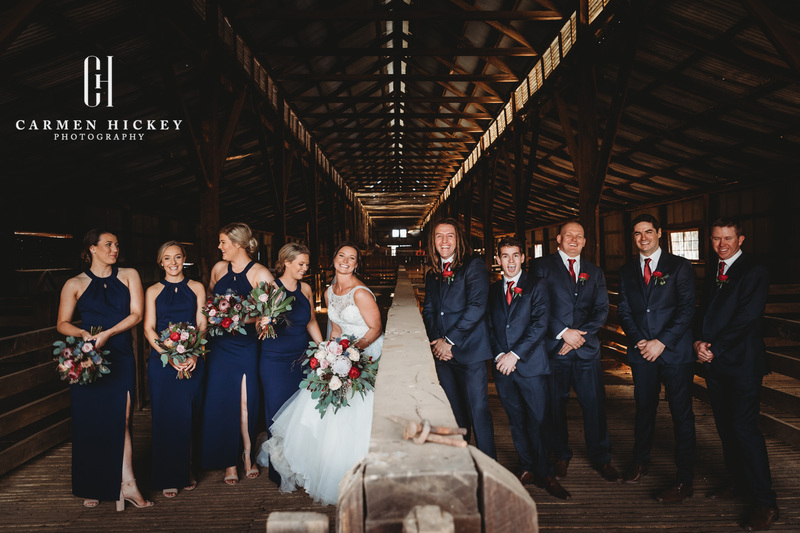 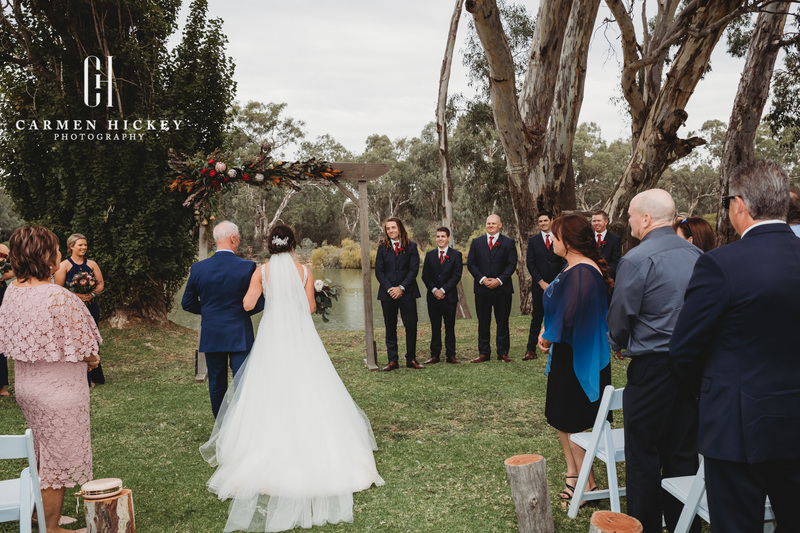 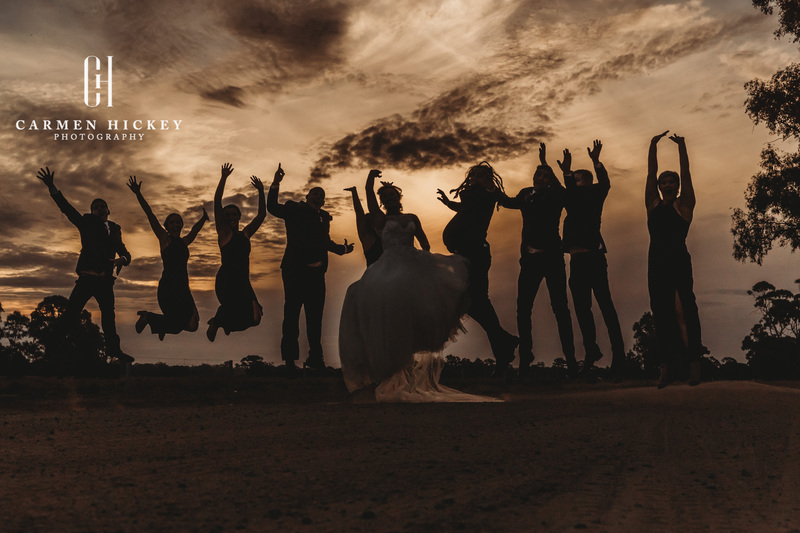 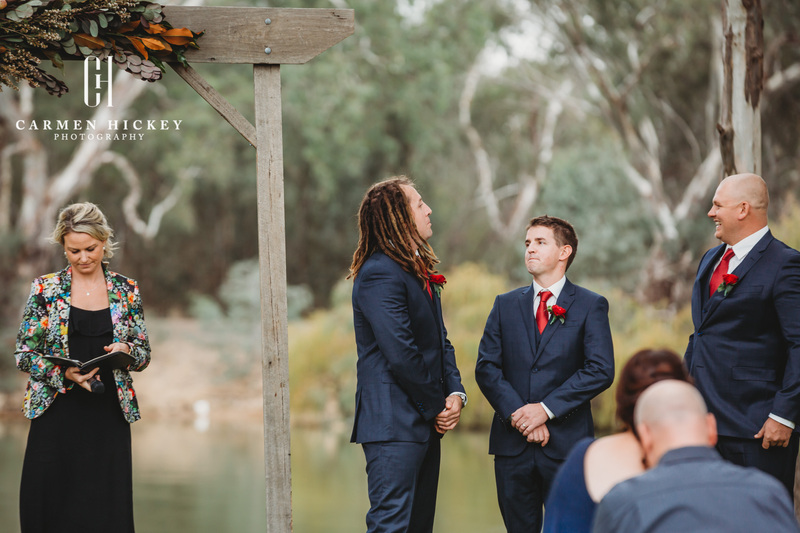 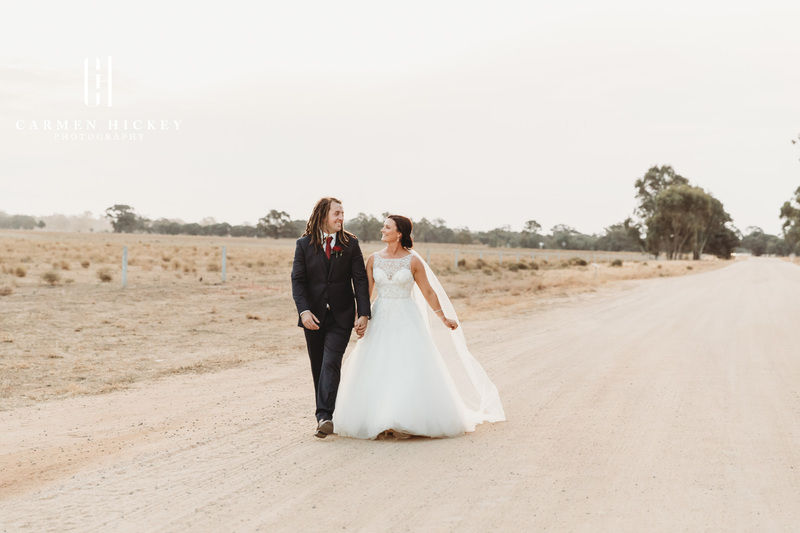 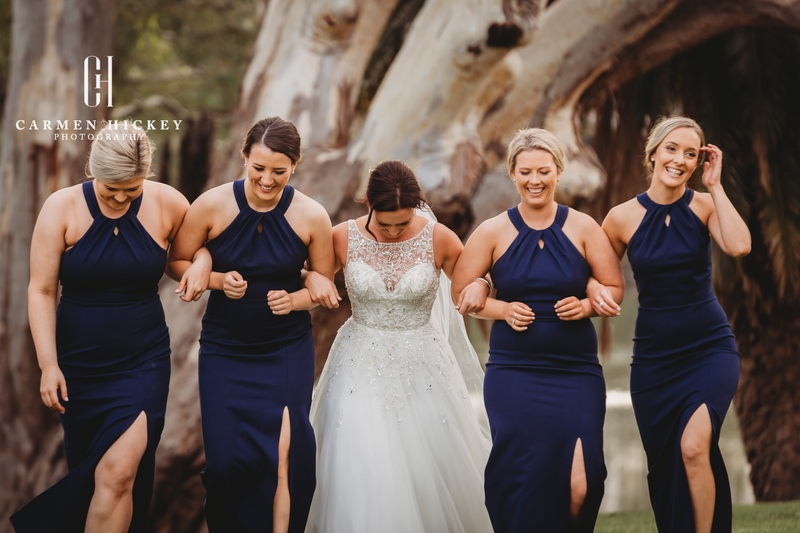 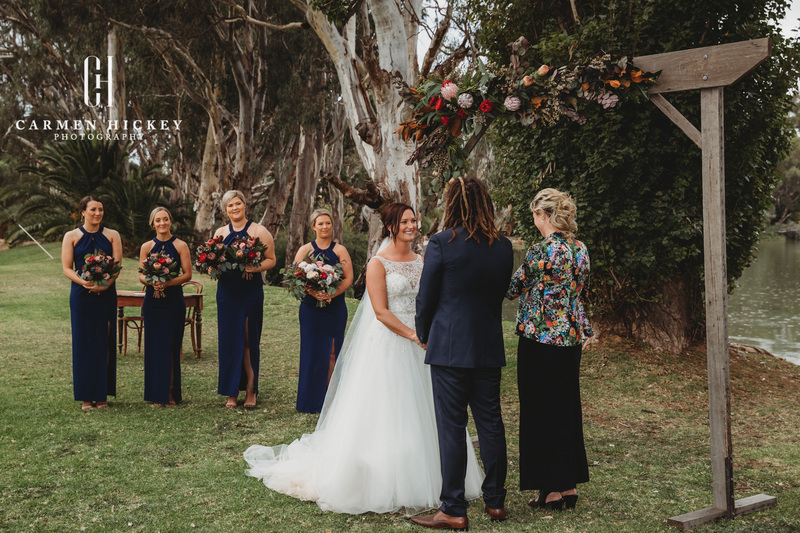 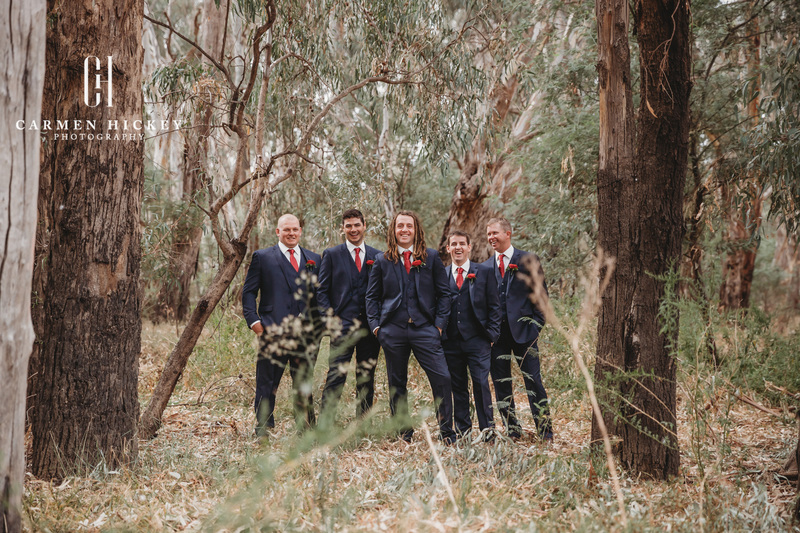 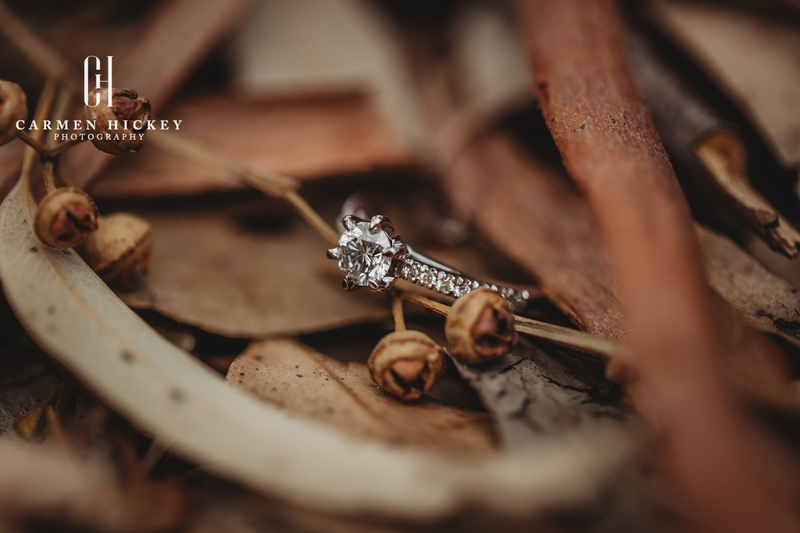 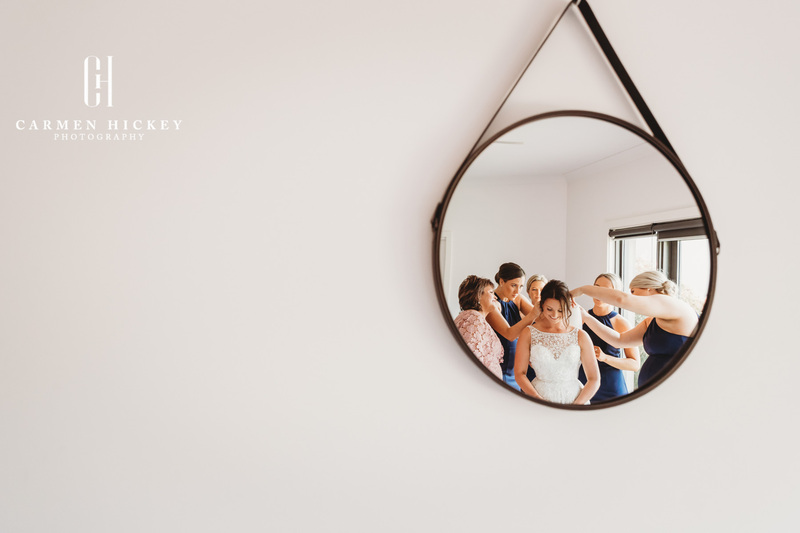 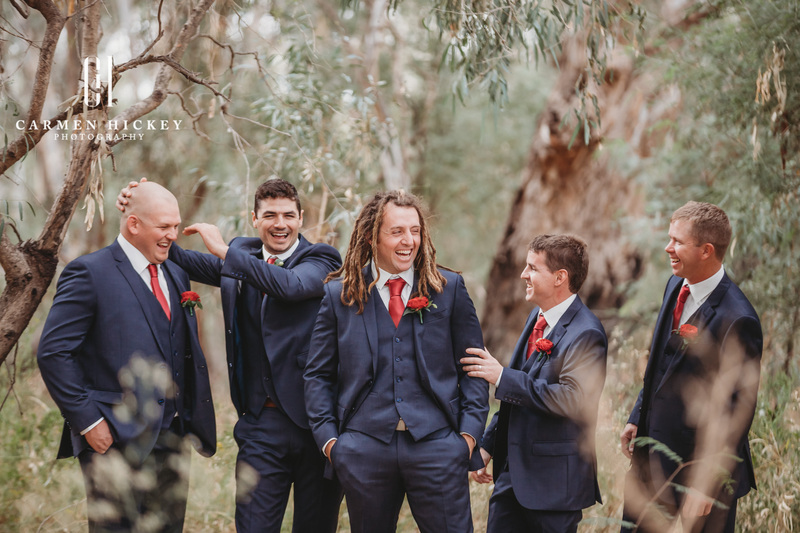 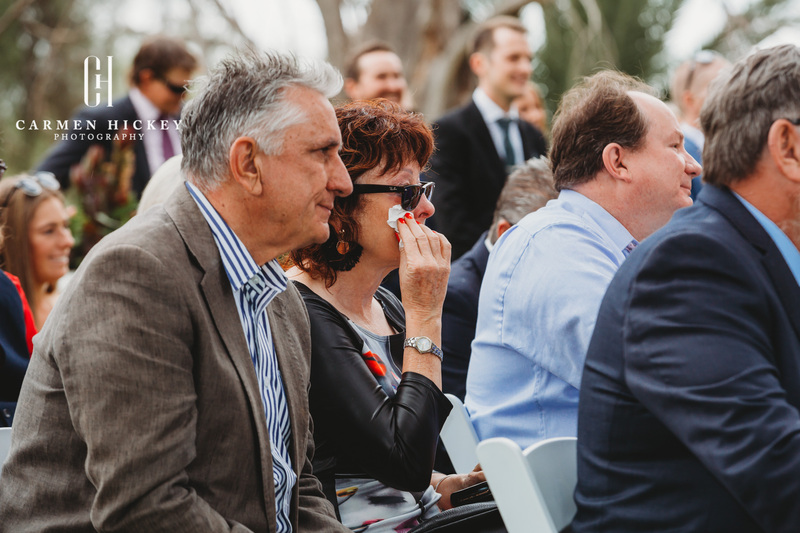 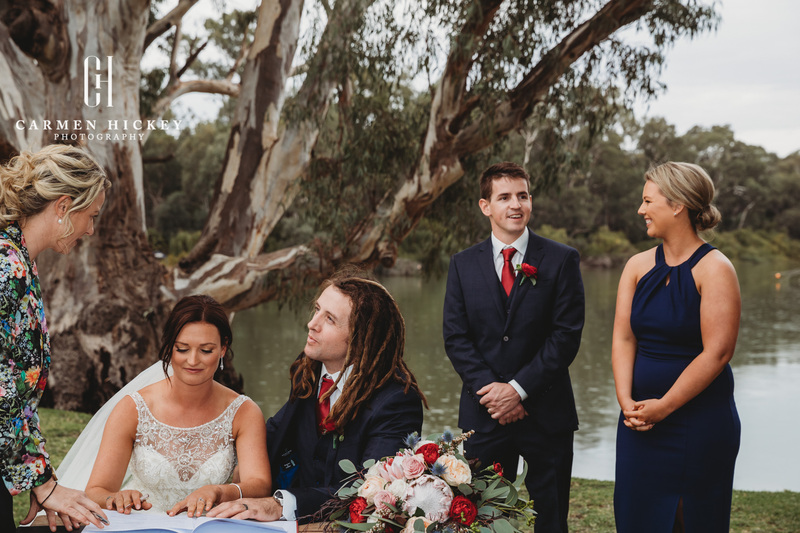 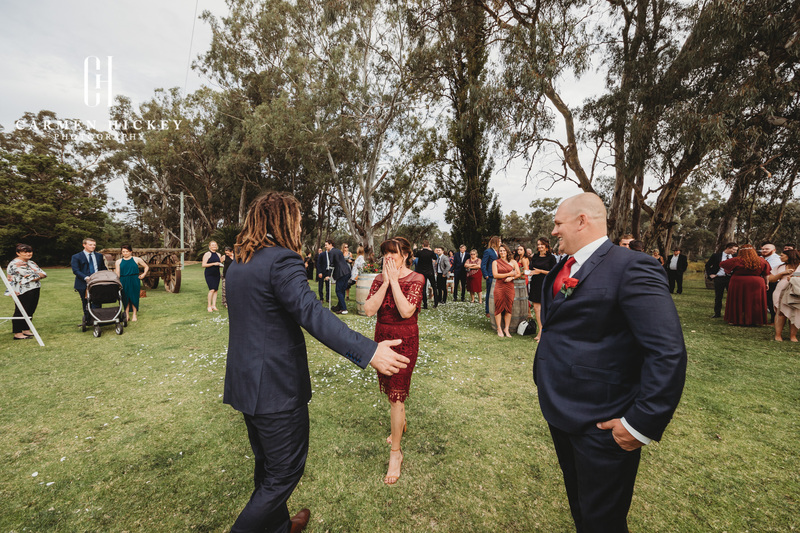 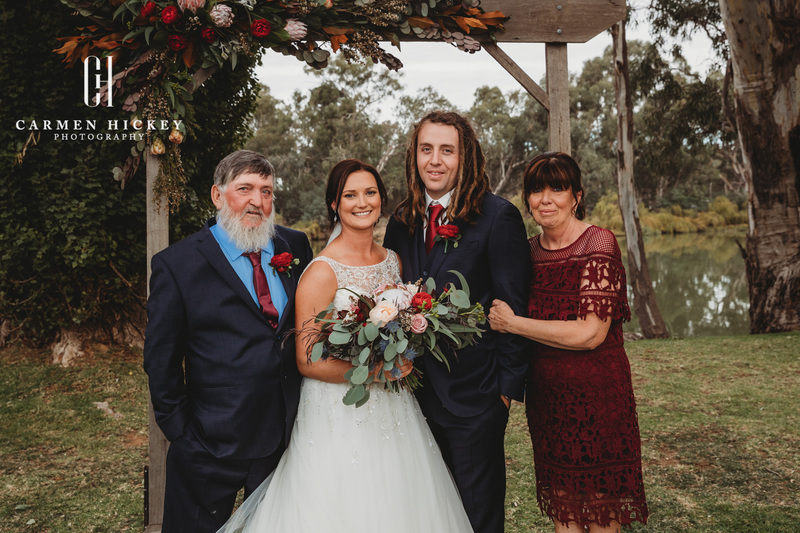 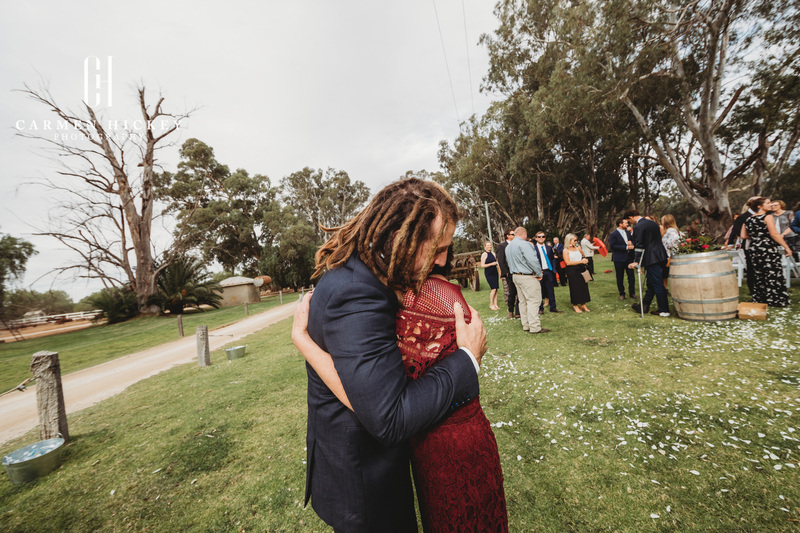 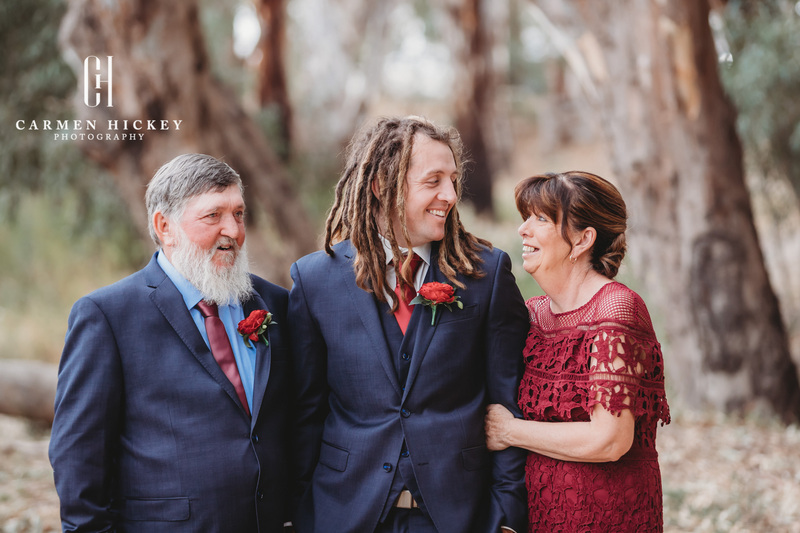 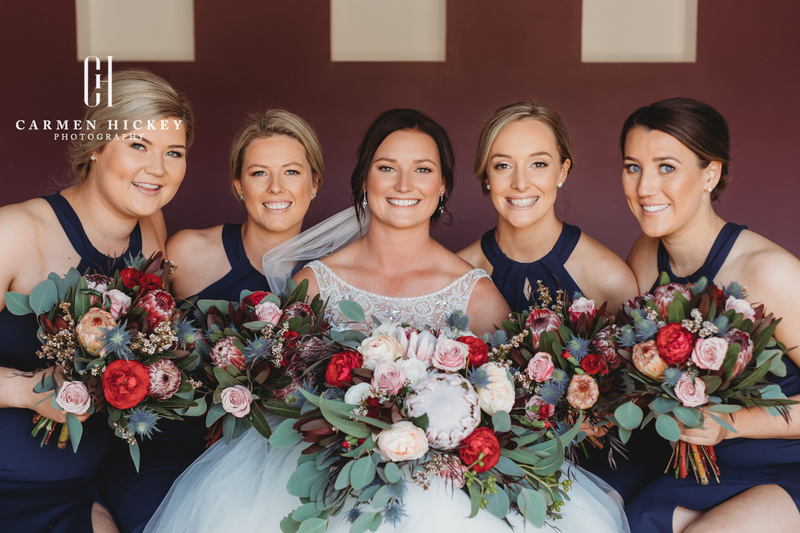 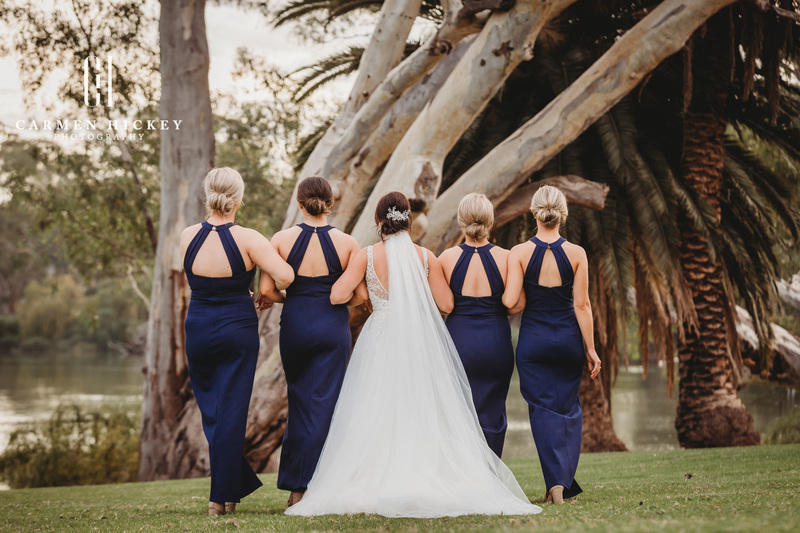 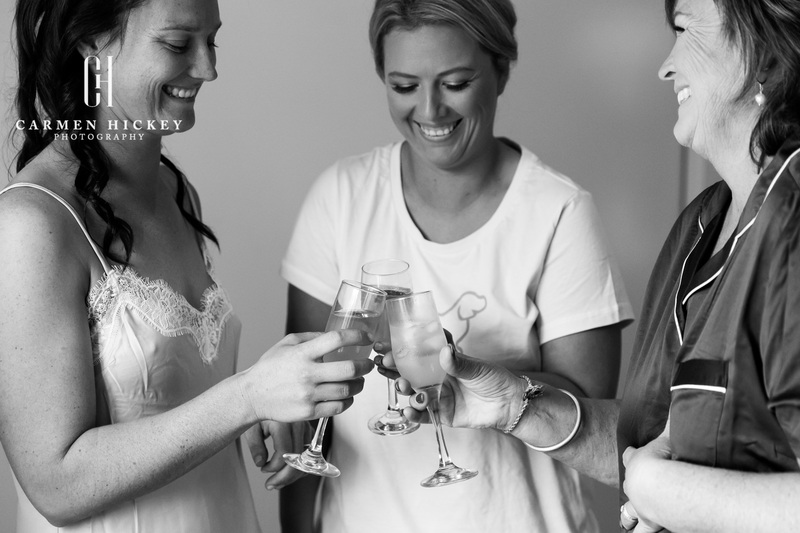 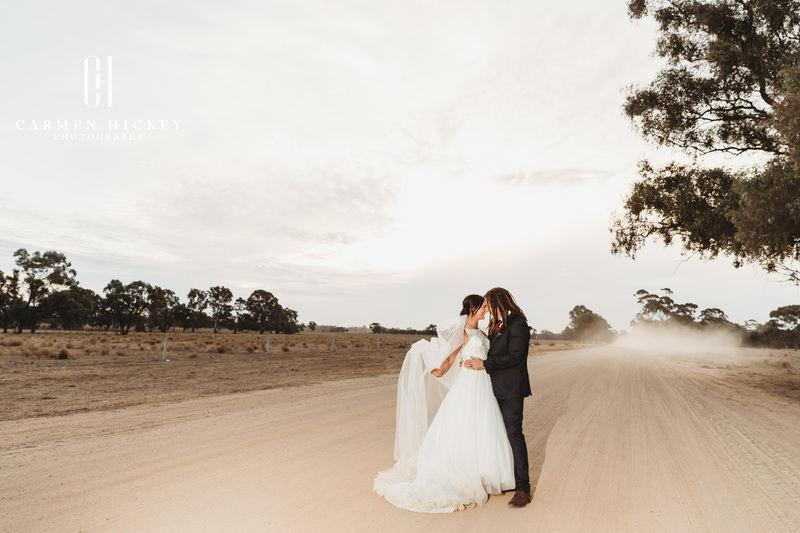 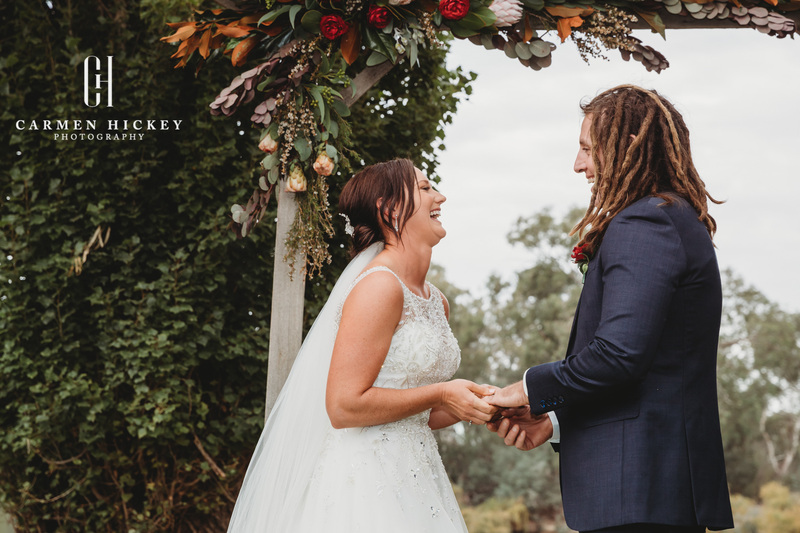 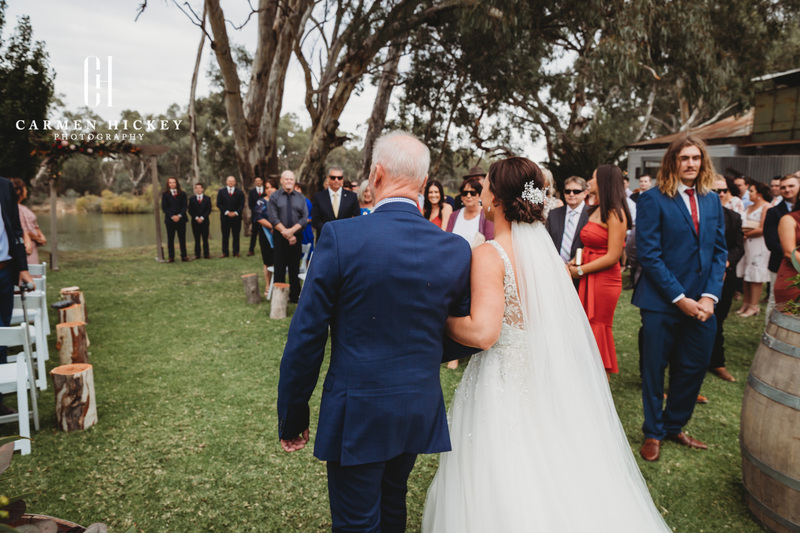 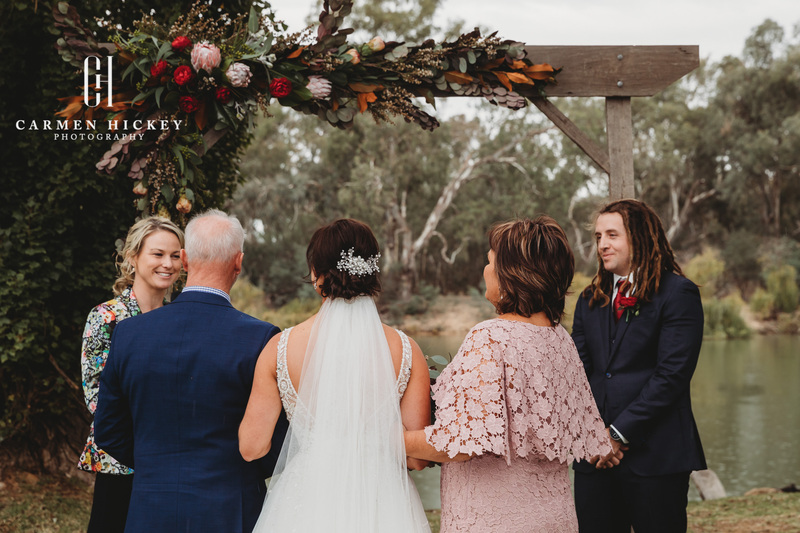 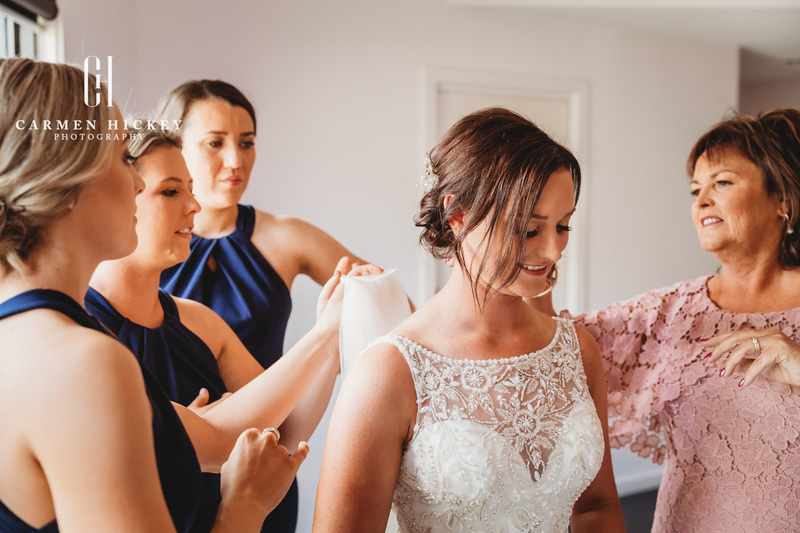 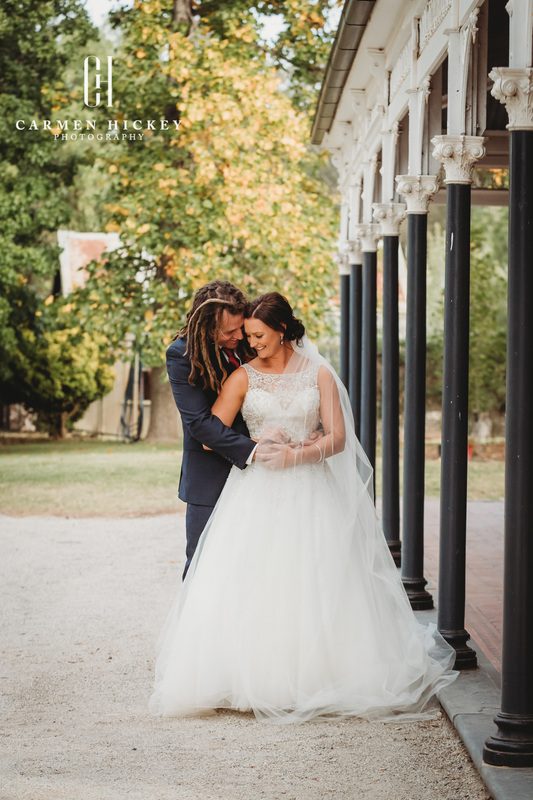 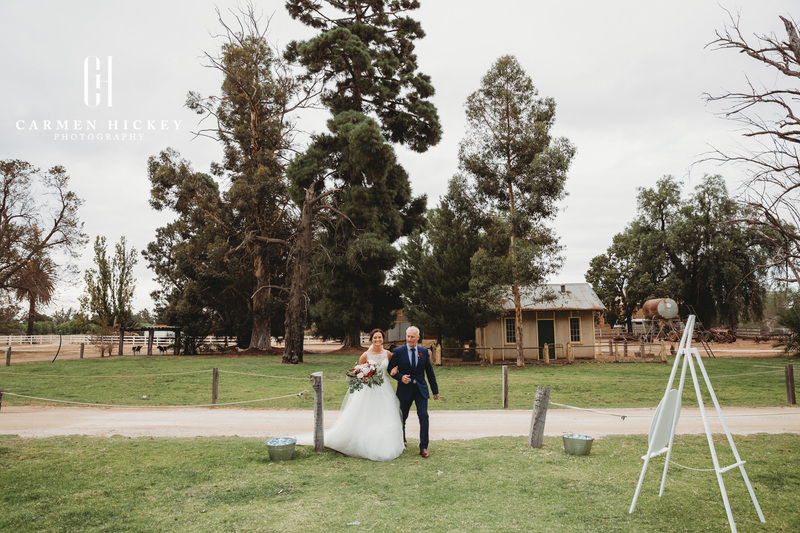 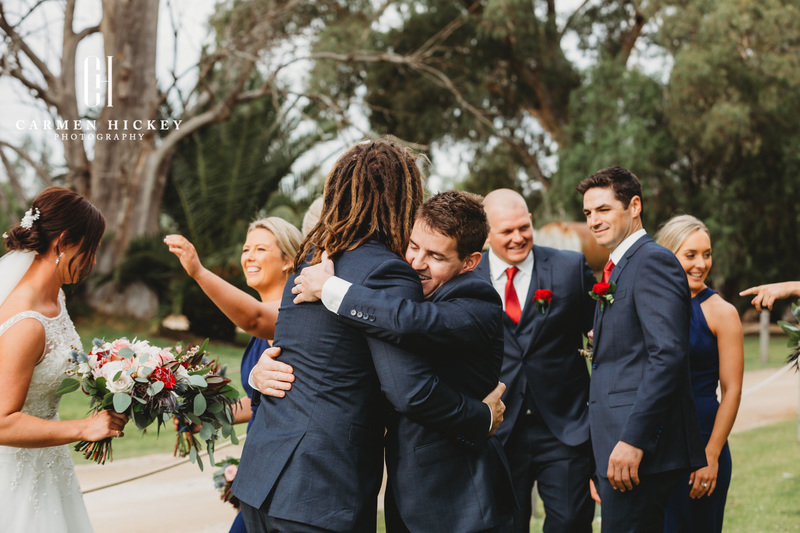 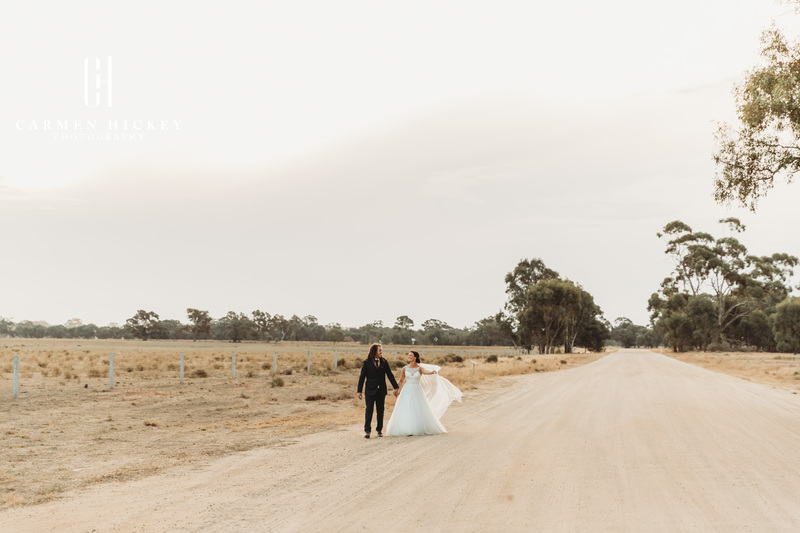 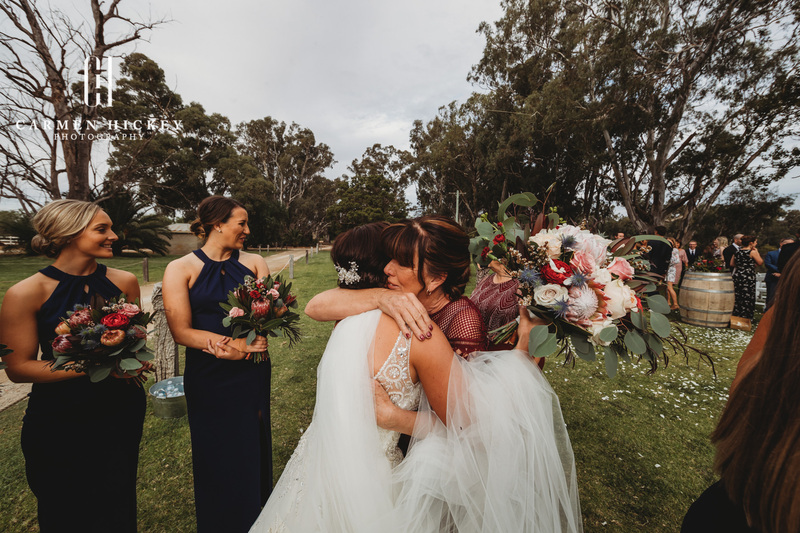 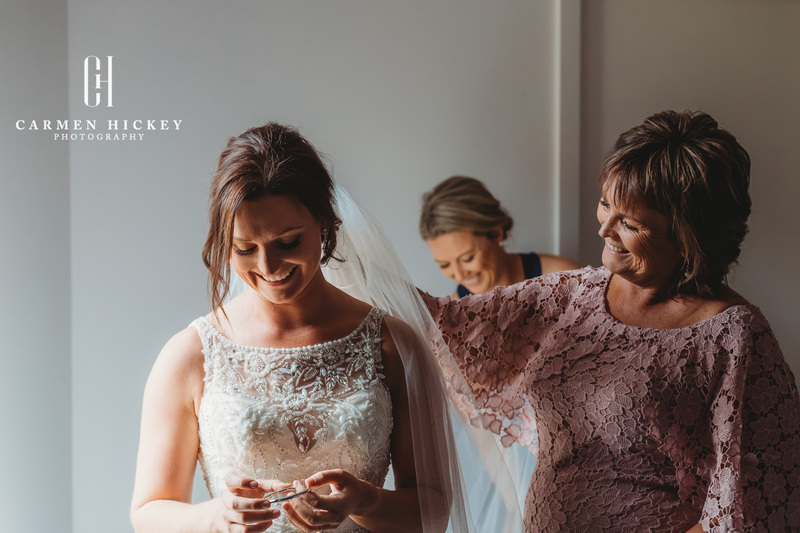 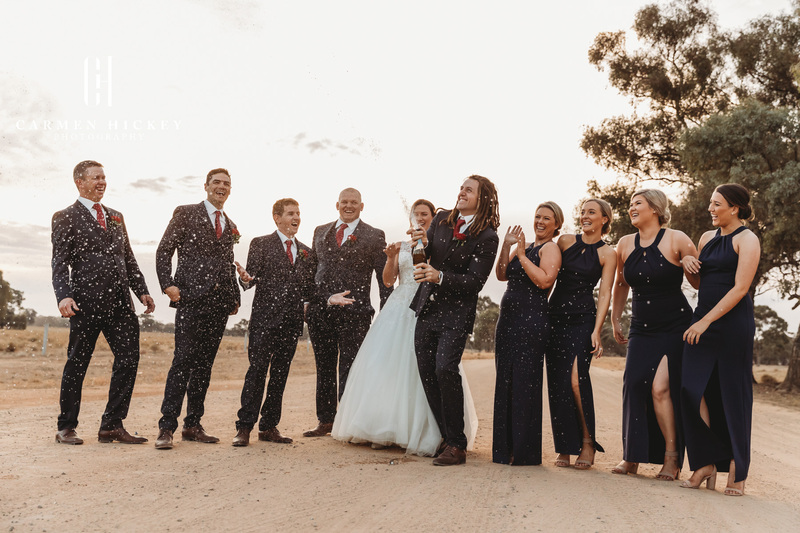 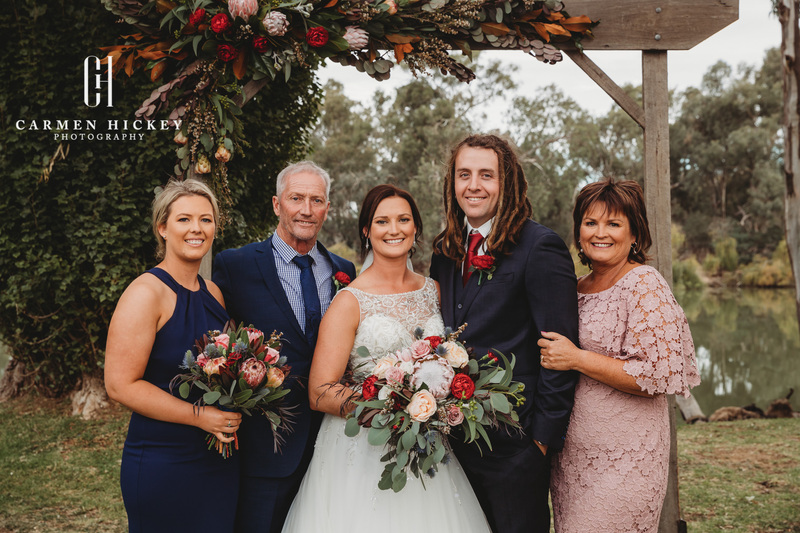 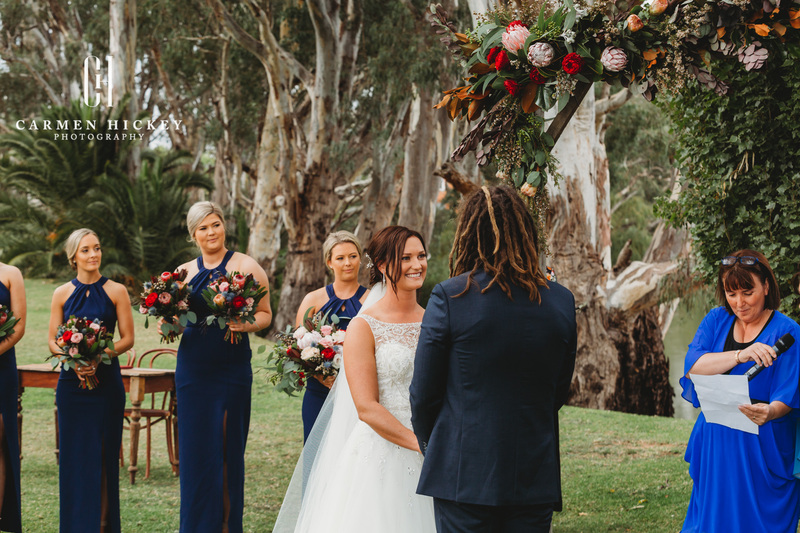 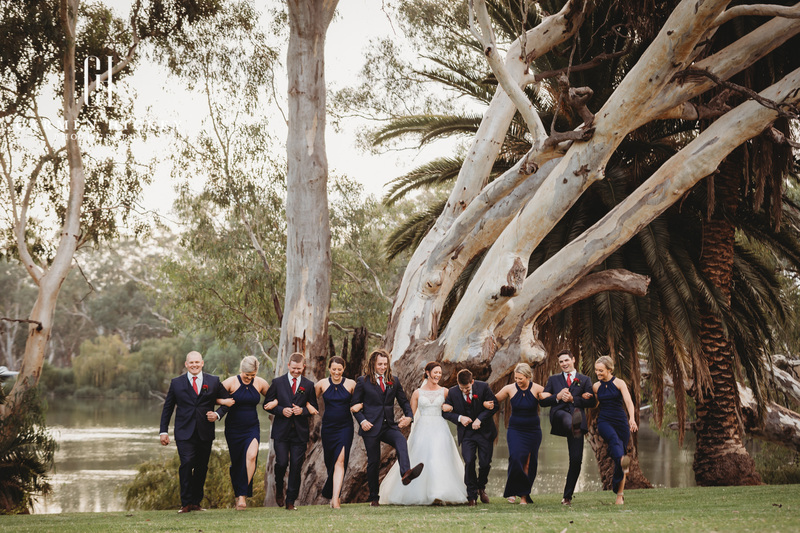 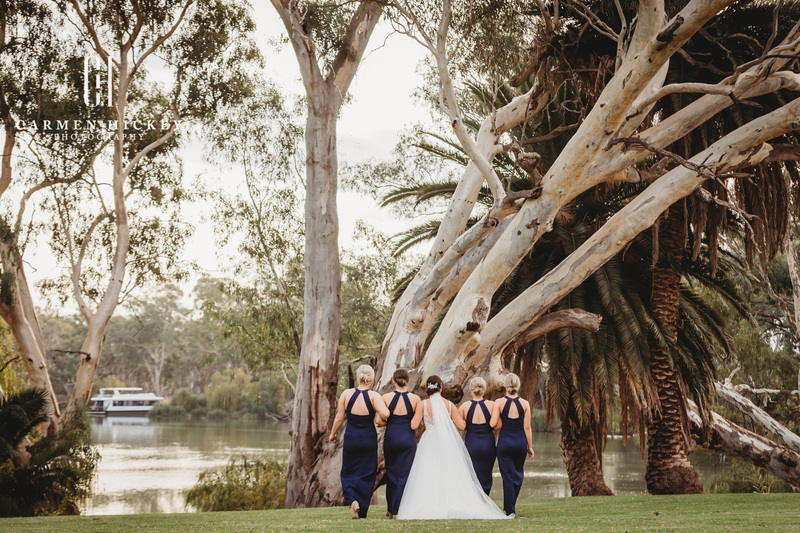 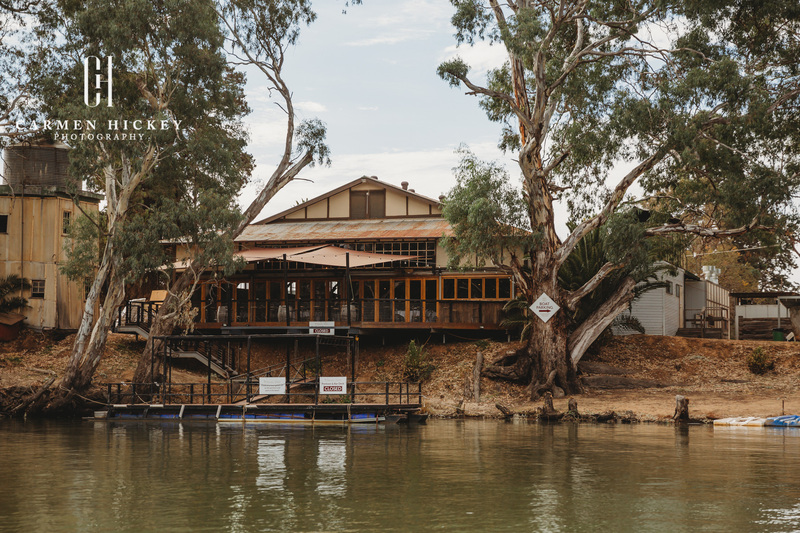 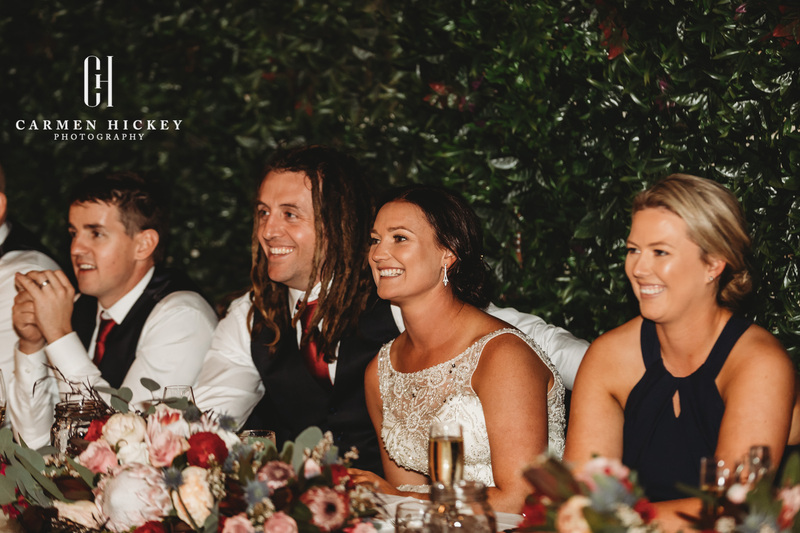 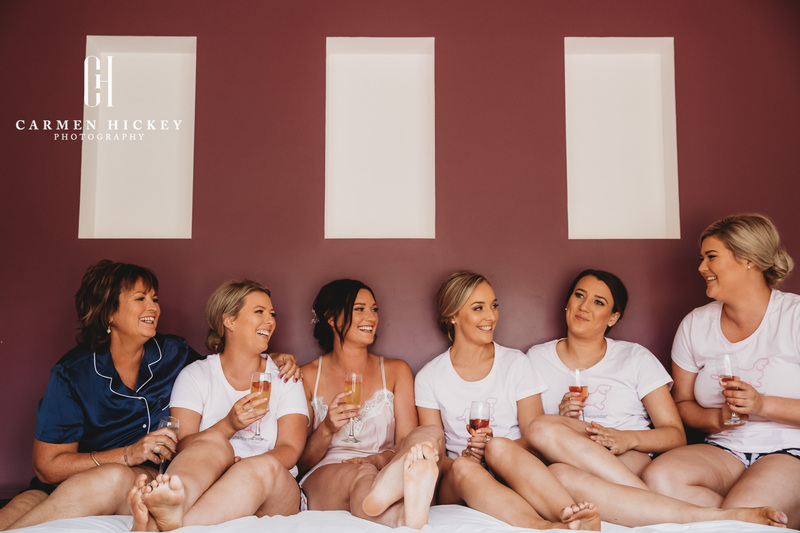 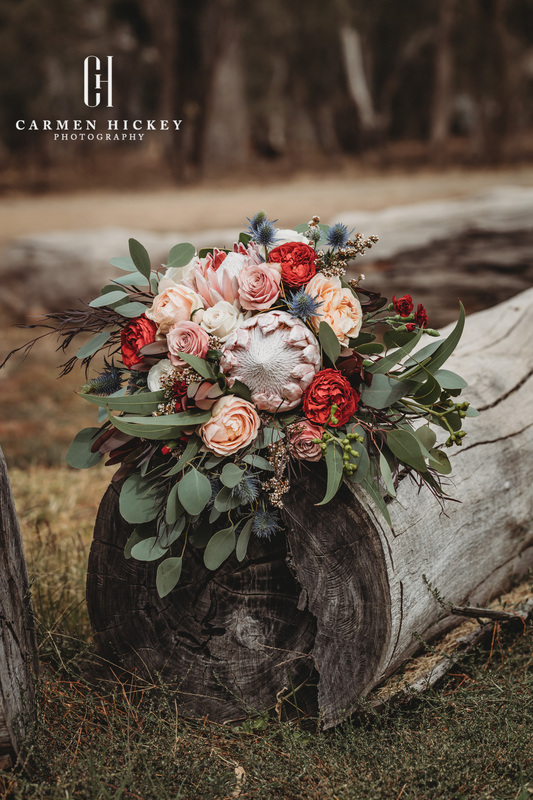 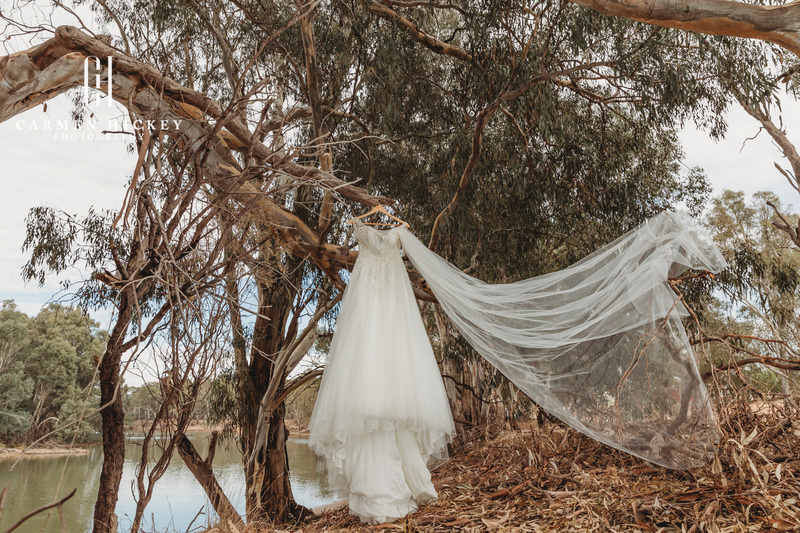 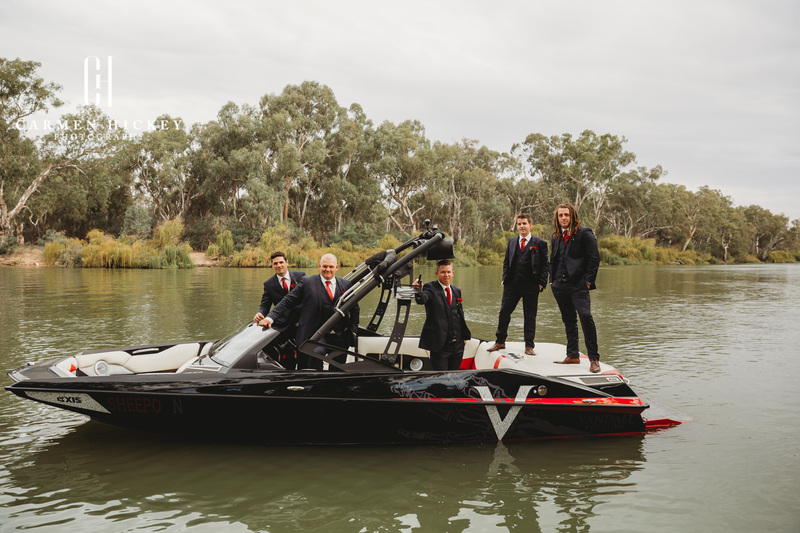 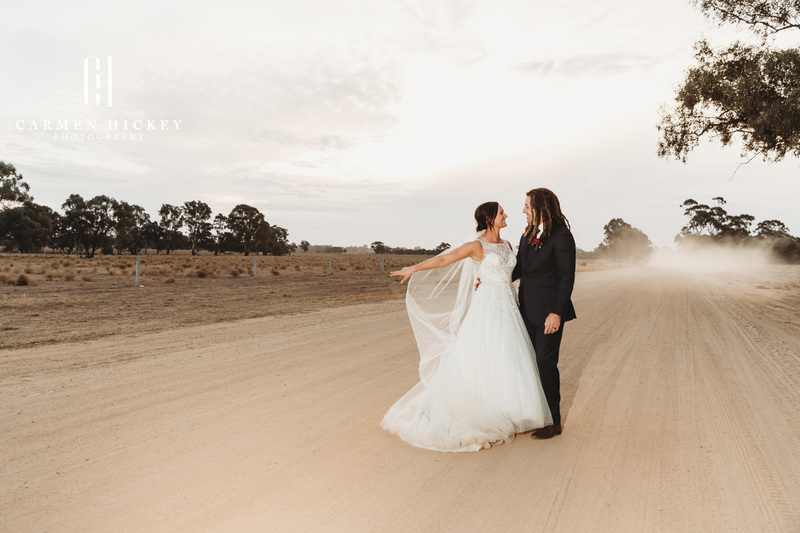 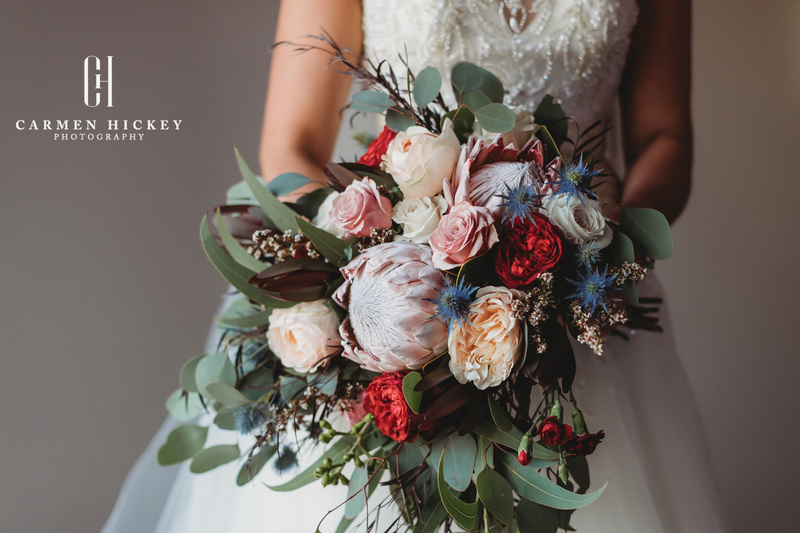 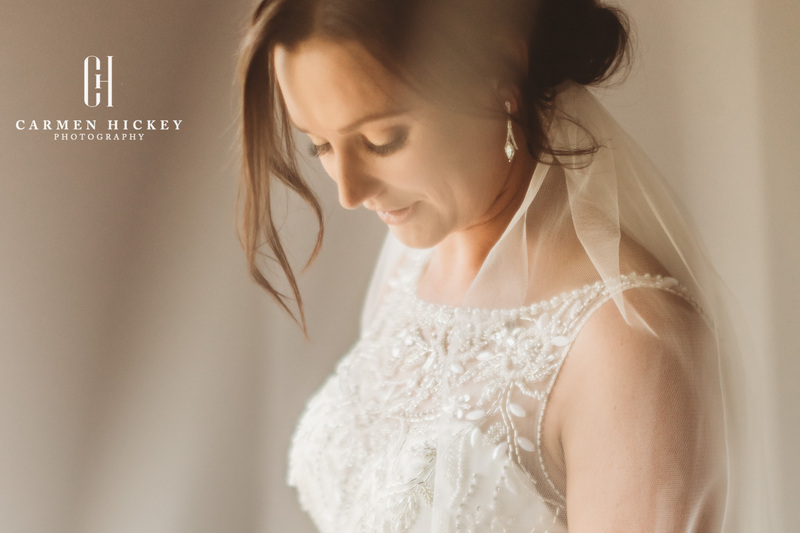 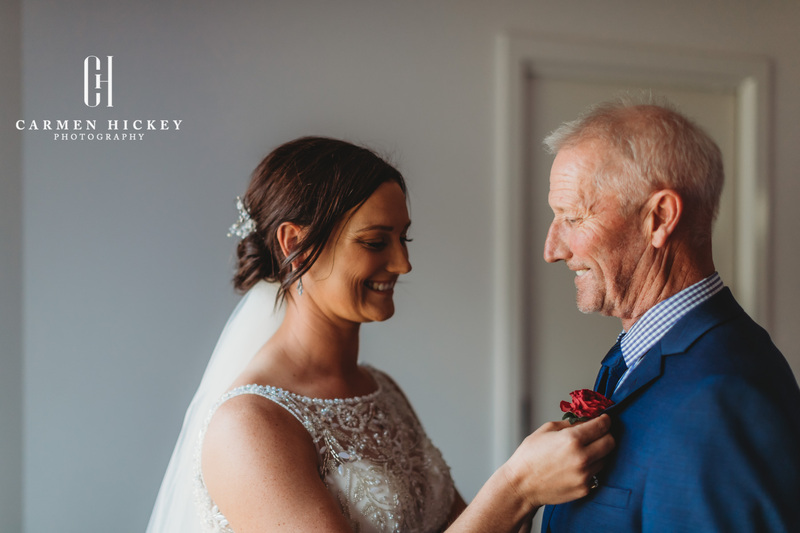 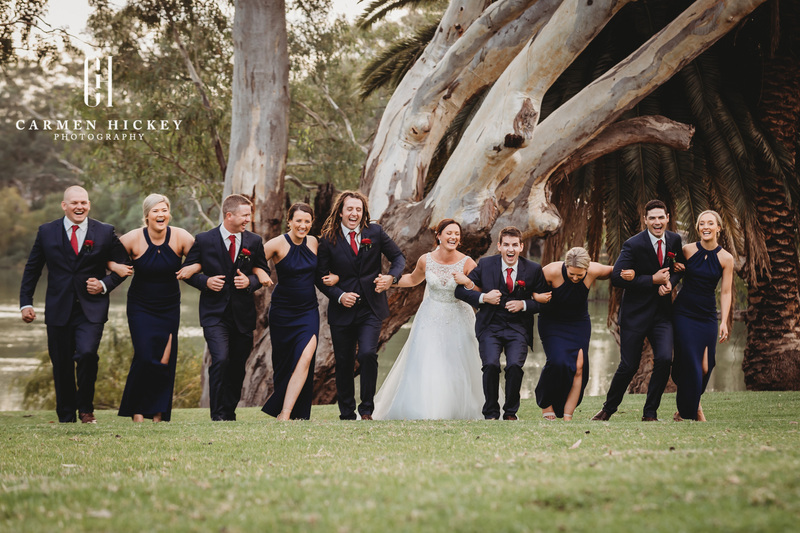 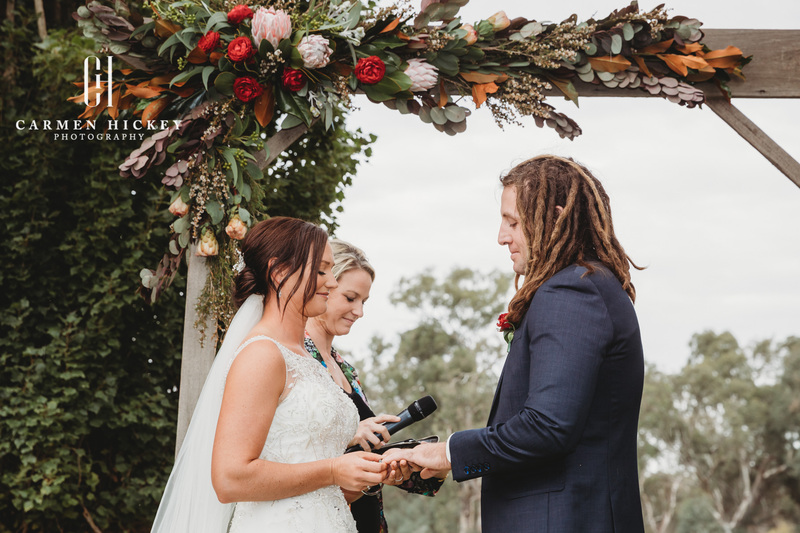 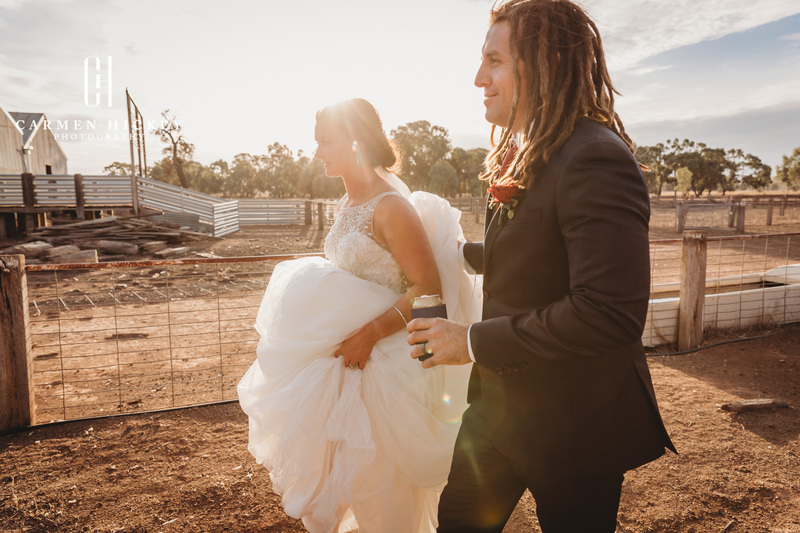 It was a wedding to remember, and I am in absolute awe of this amazing couple – Ben & Lucy who wed on Saturday at Perricoota Station (Echuca / Moama) on the banks of the incredible Murray River. 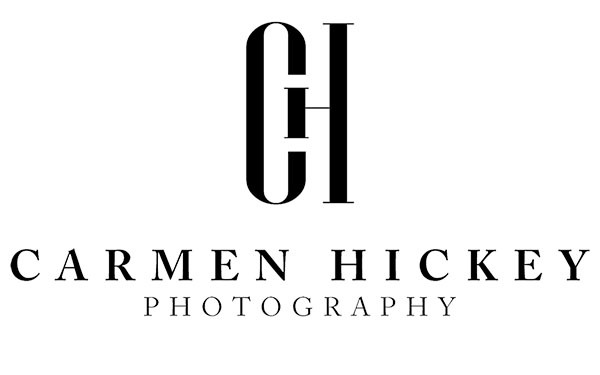 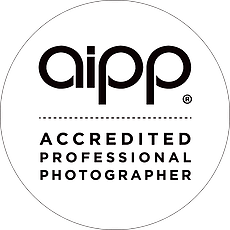 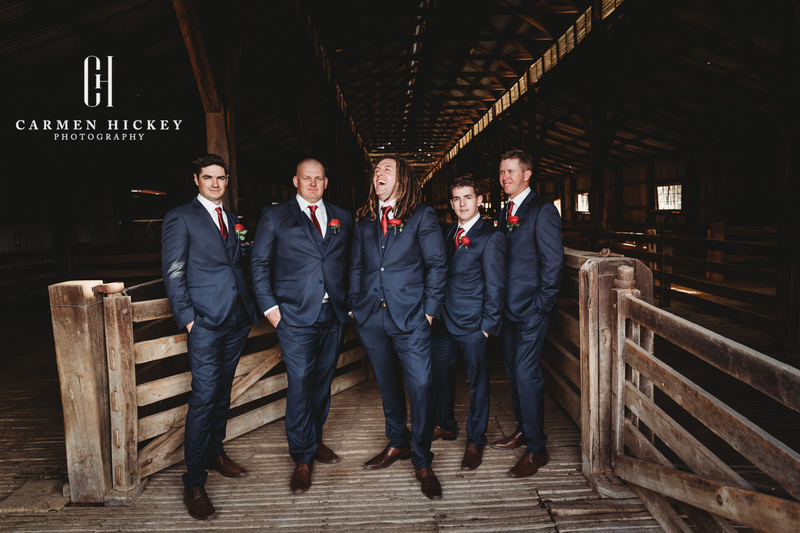 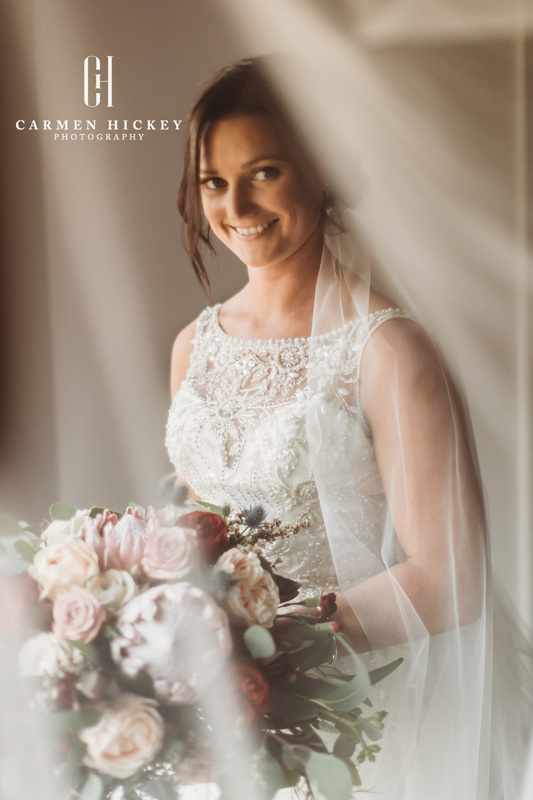 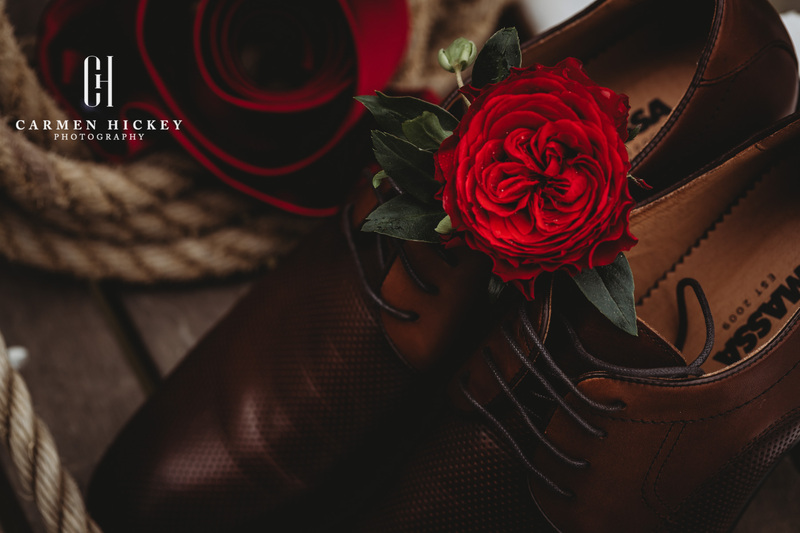 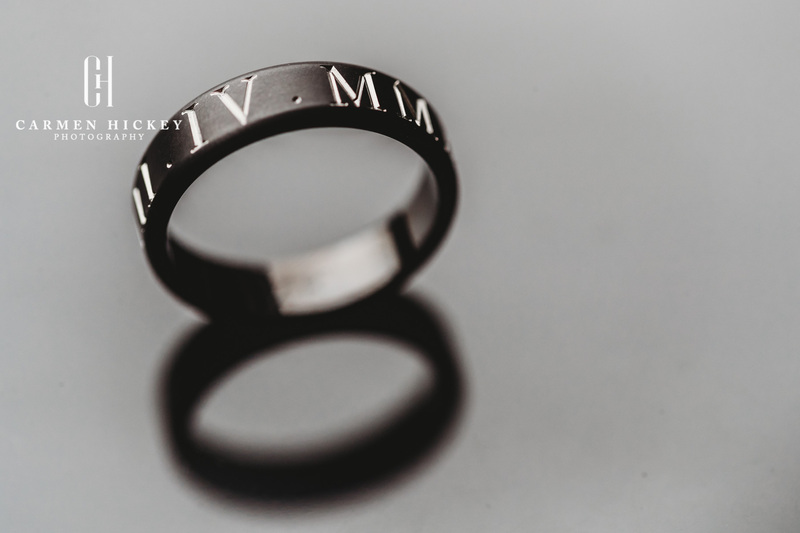 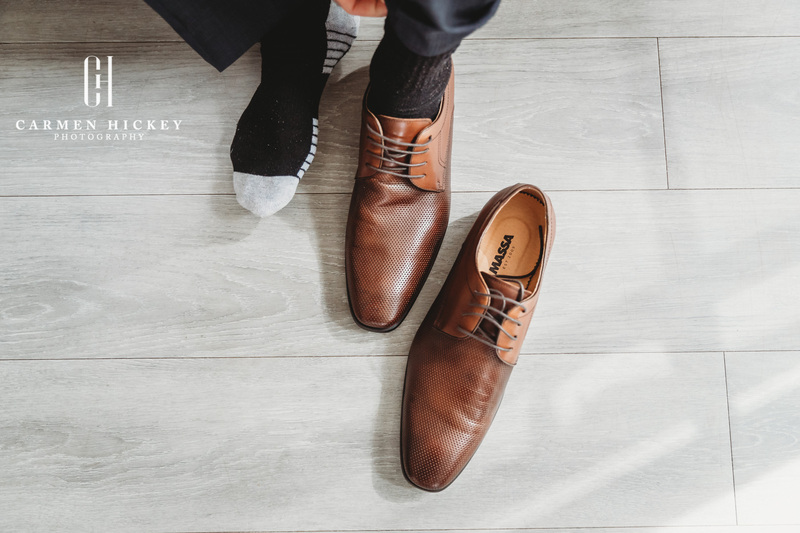 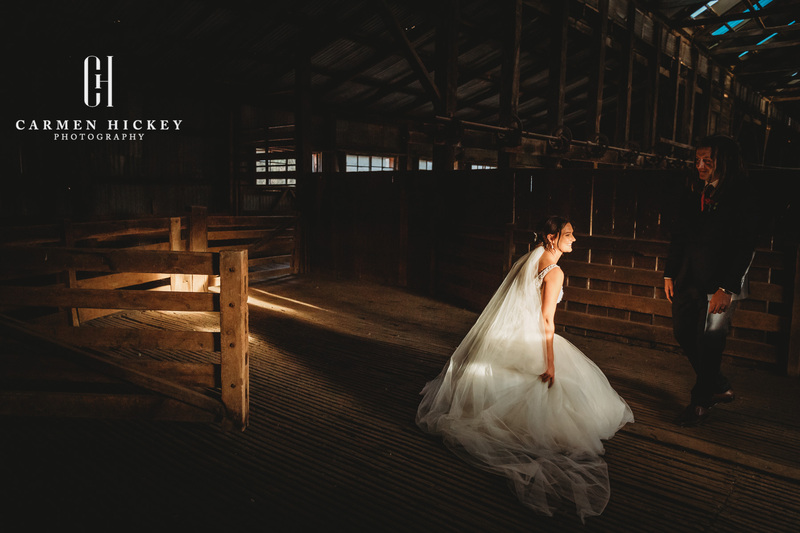 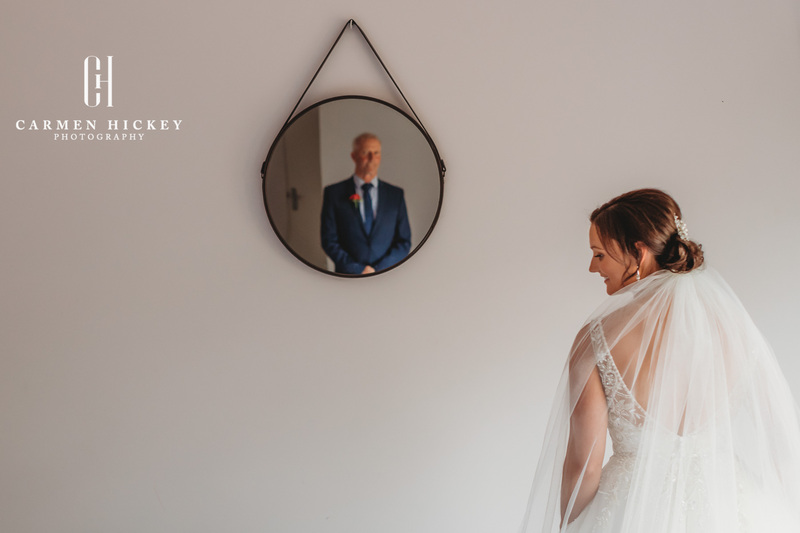 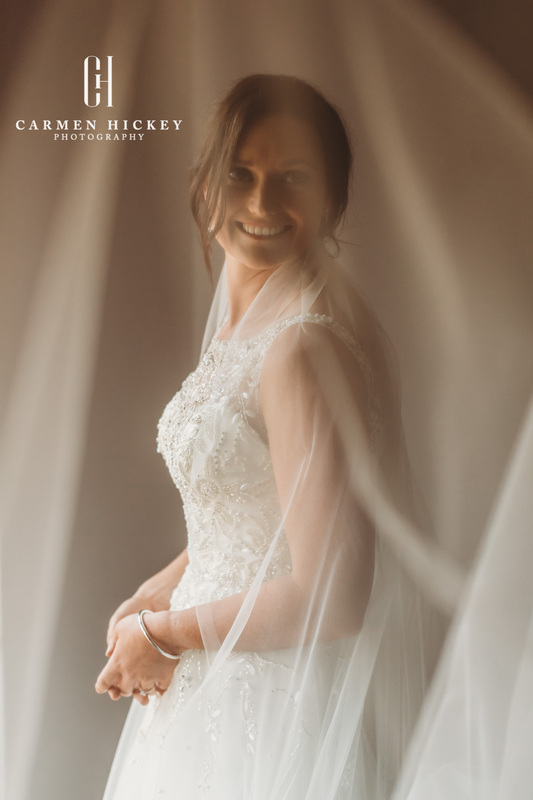 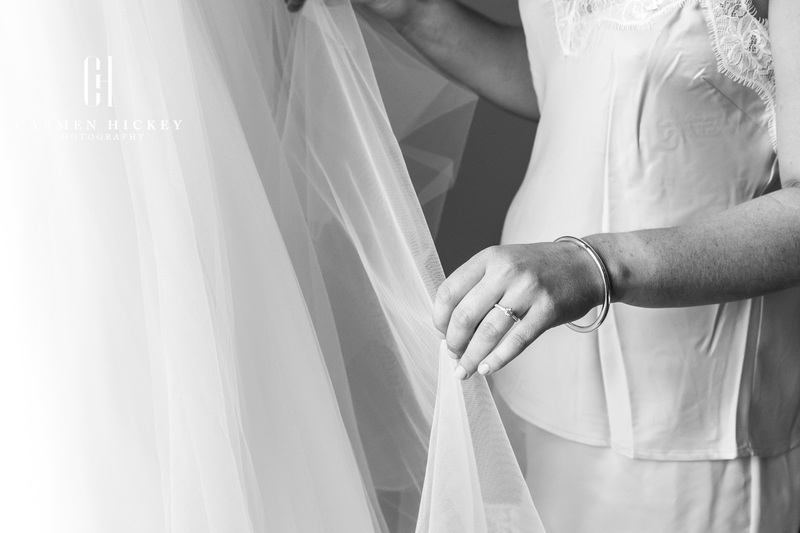 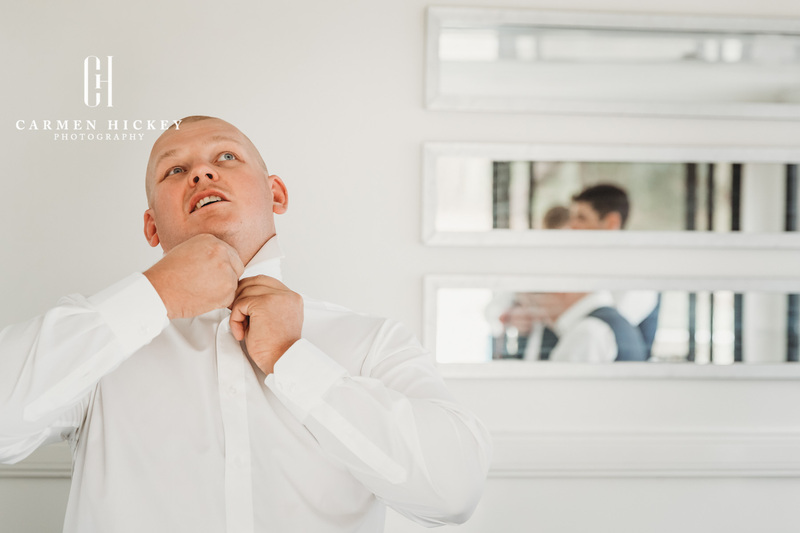 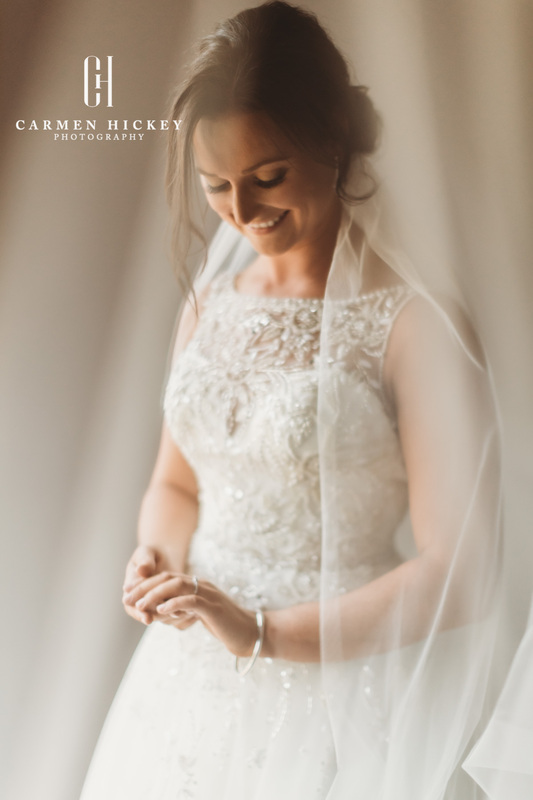 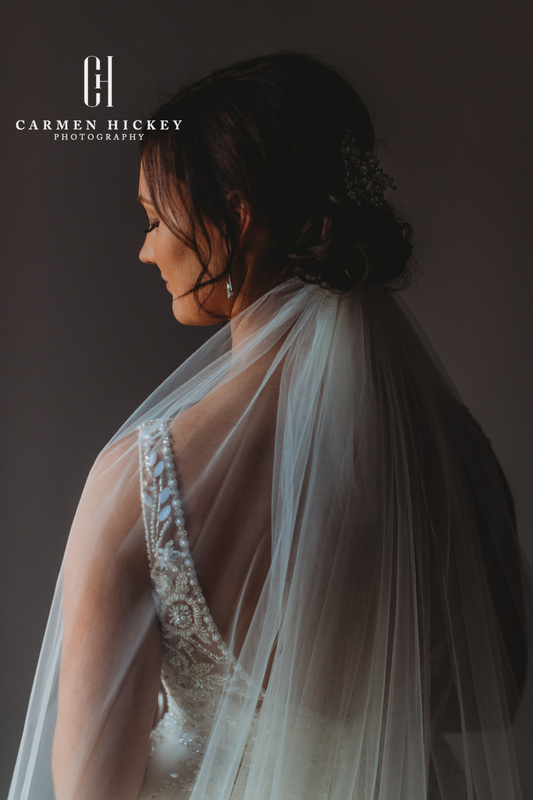 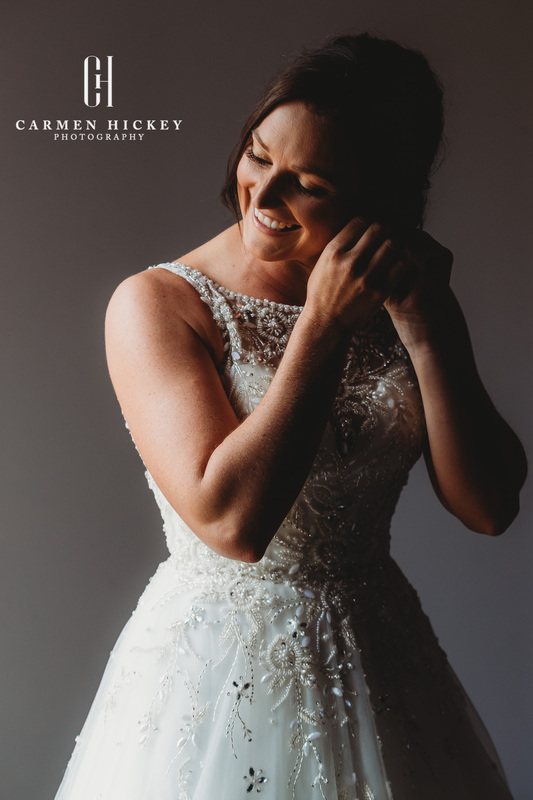 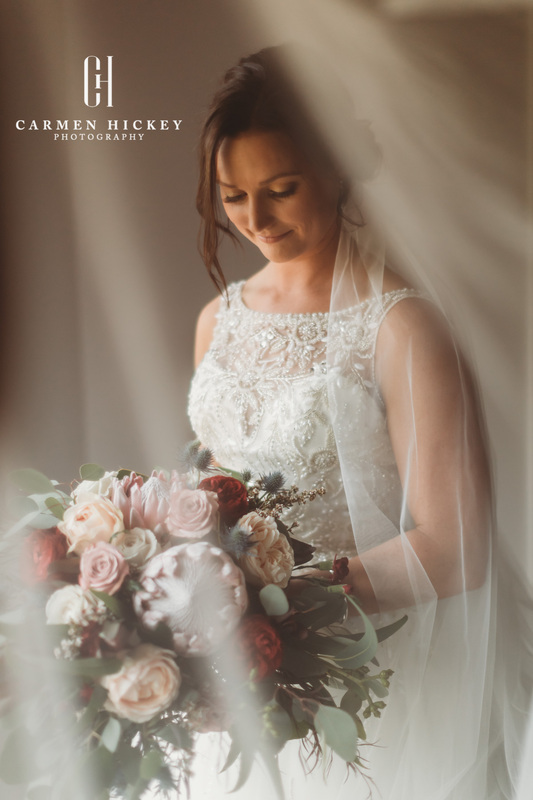 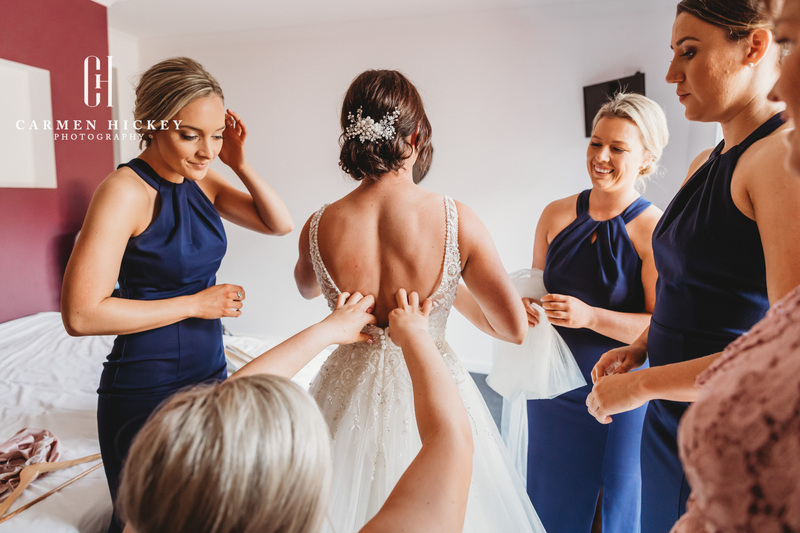 We all knew it was going to be an emotional day, and words cant describe the absolute fun and passion we had photographing for such a fabulous couple. 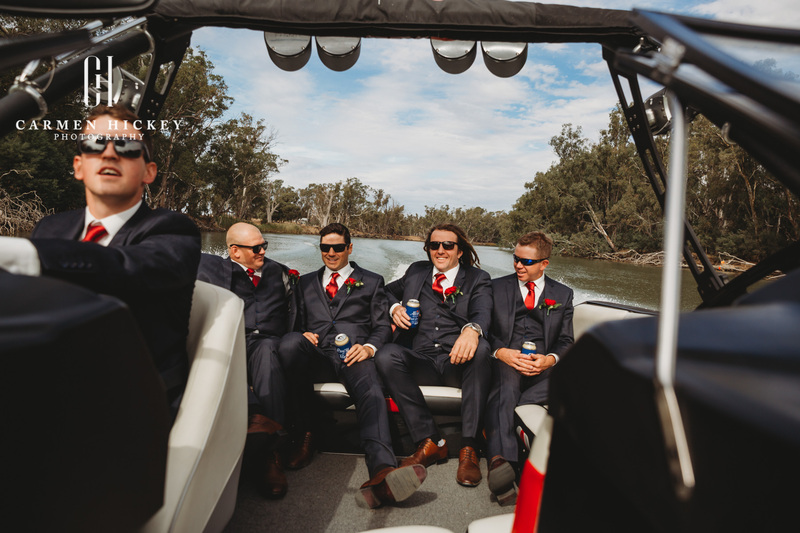 Both Bride and Groom and their respective parties got ready in close proximity, with Lucy and her maids enjoying the splendid Luxury on the Murray Guest House, whilst Ben and the Gents, caused many a laugh docked on the bank on one of the famous Murray River House boats, before jumping in his famous ski boat to cruise the River in style and arrive at his ceremony in a one of a kind entrance. 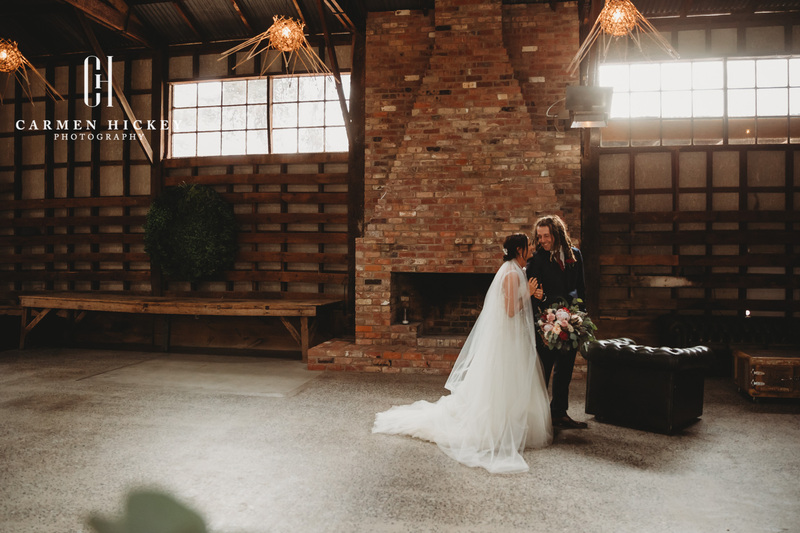 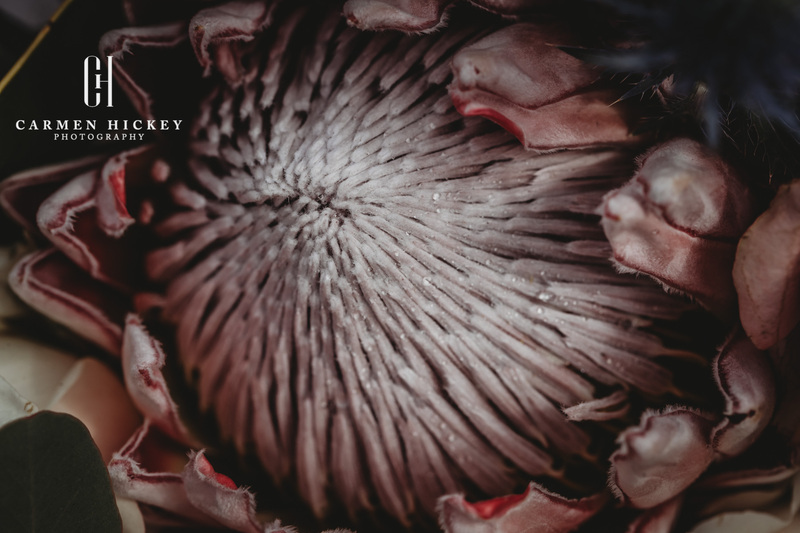 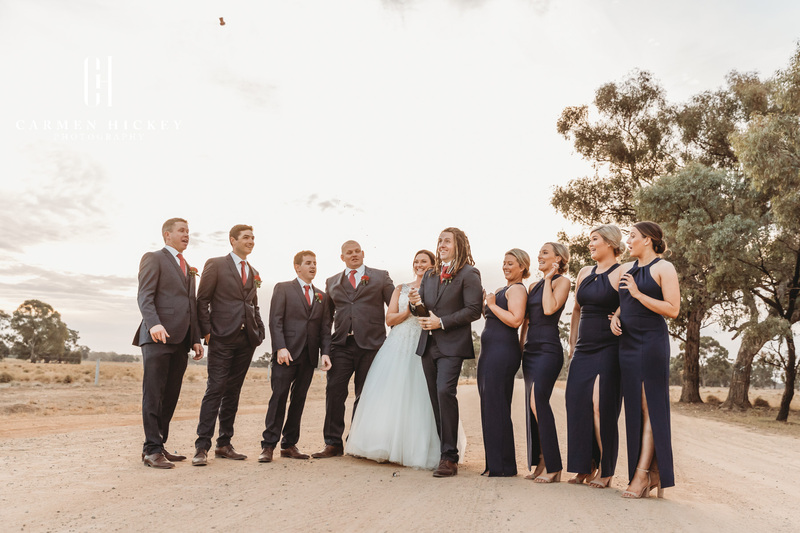 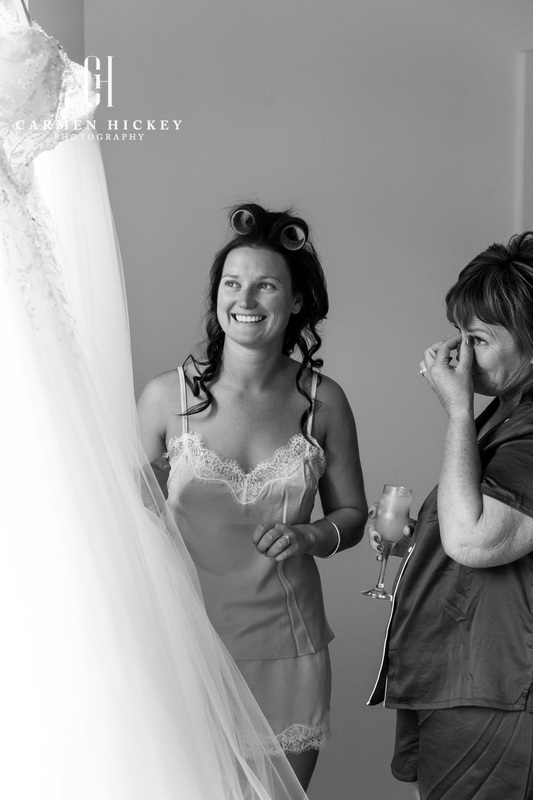 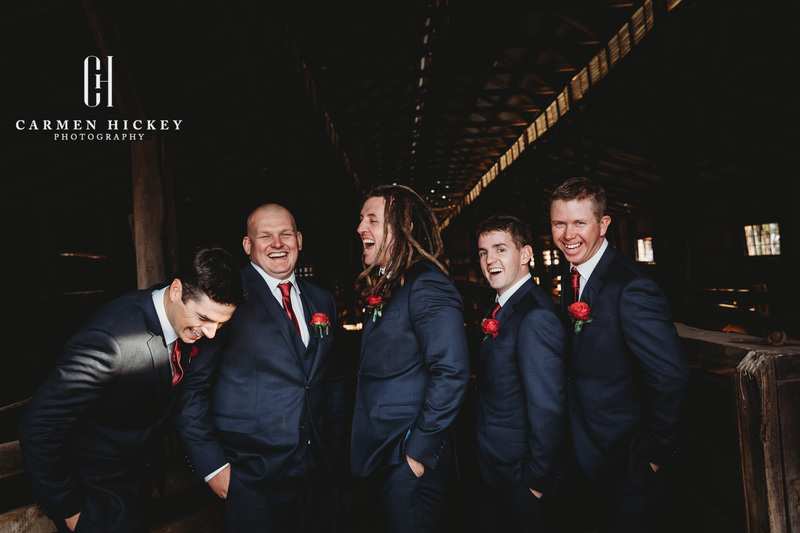 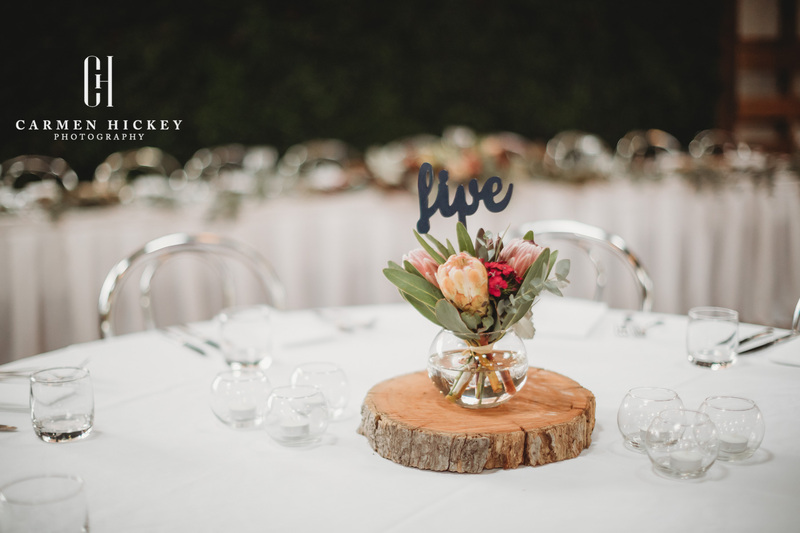 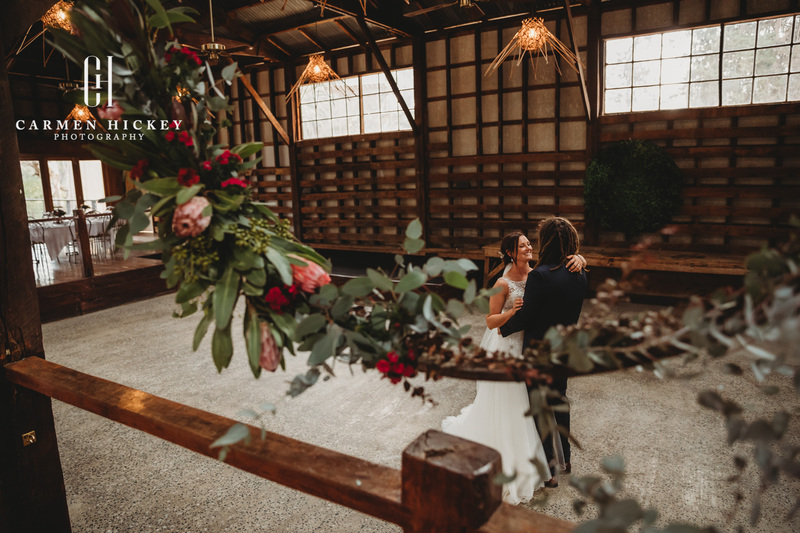 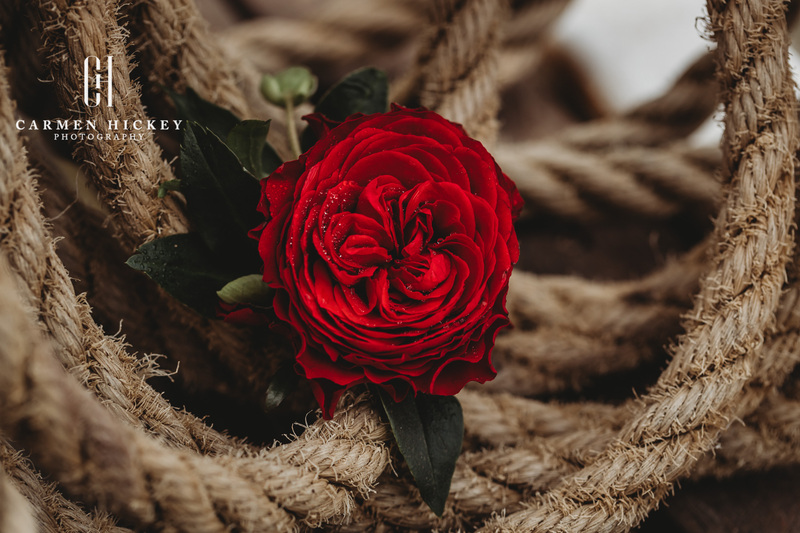 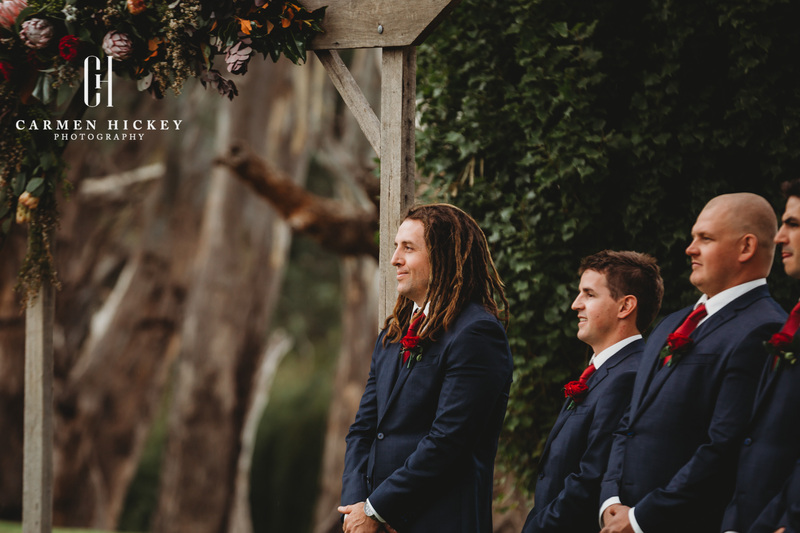 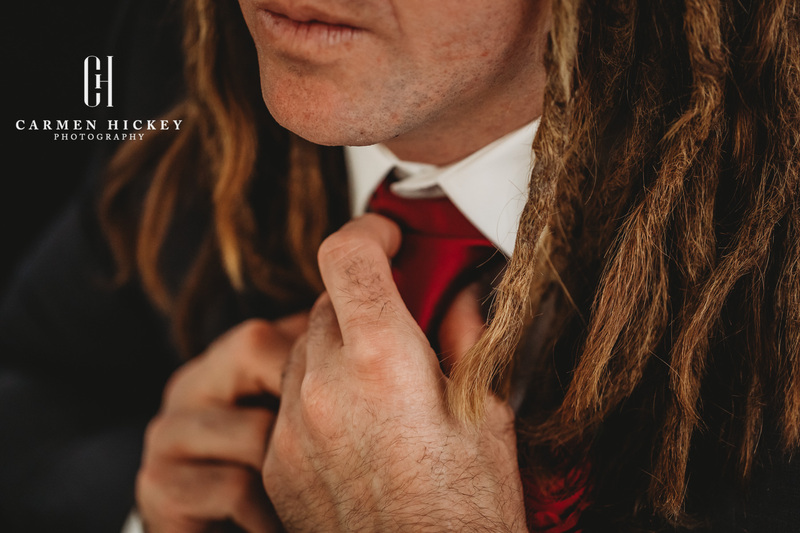 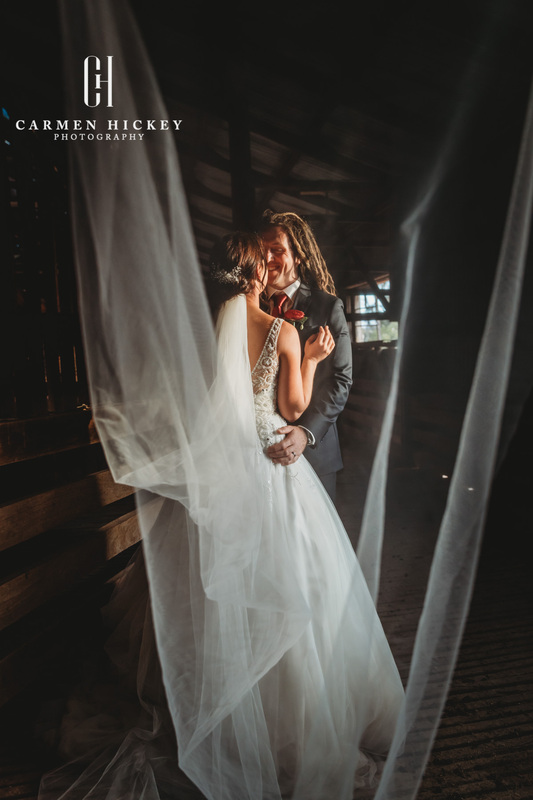 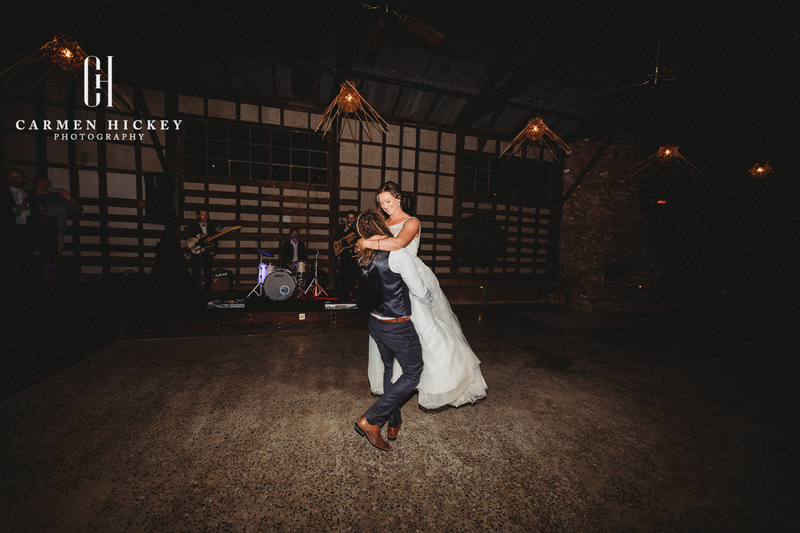 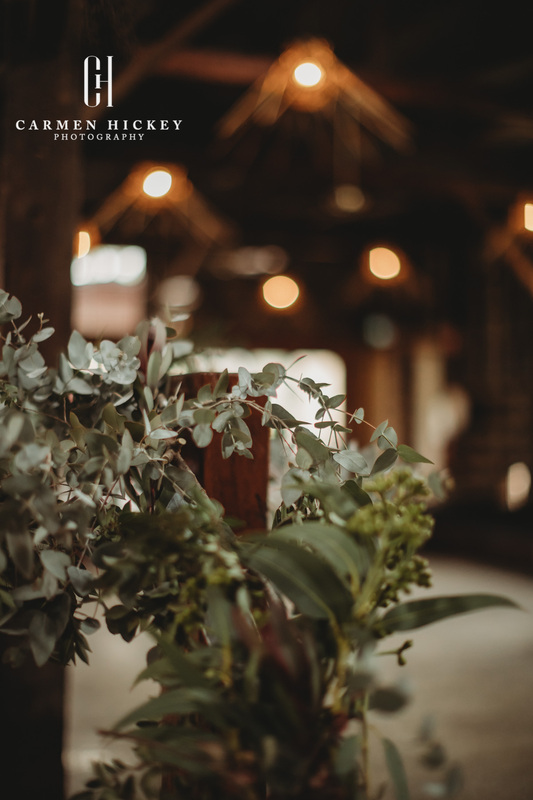 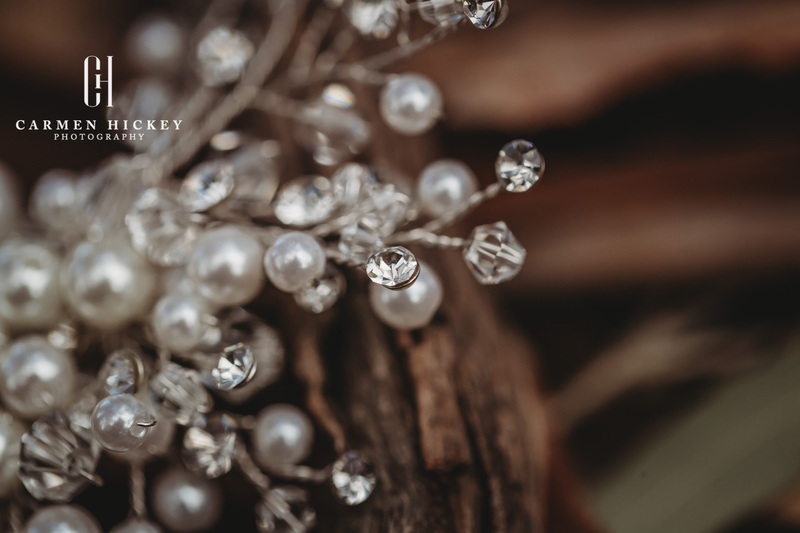 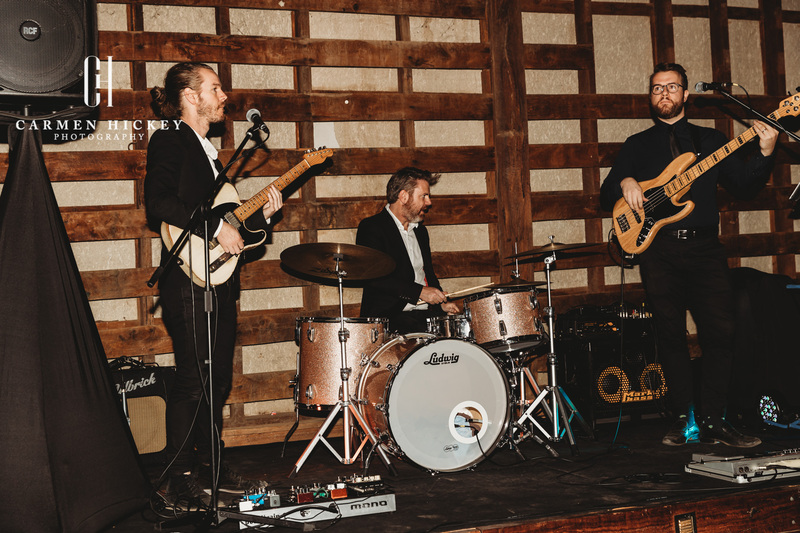 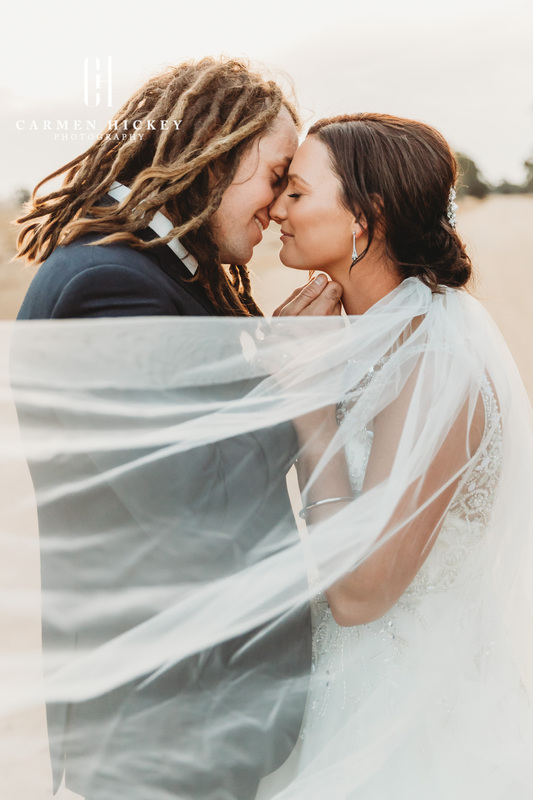 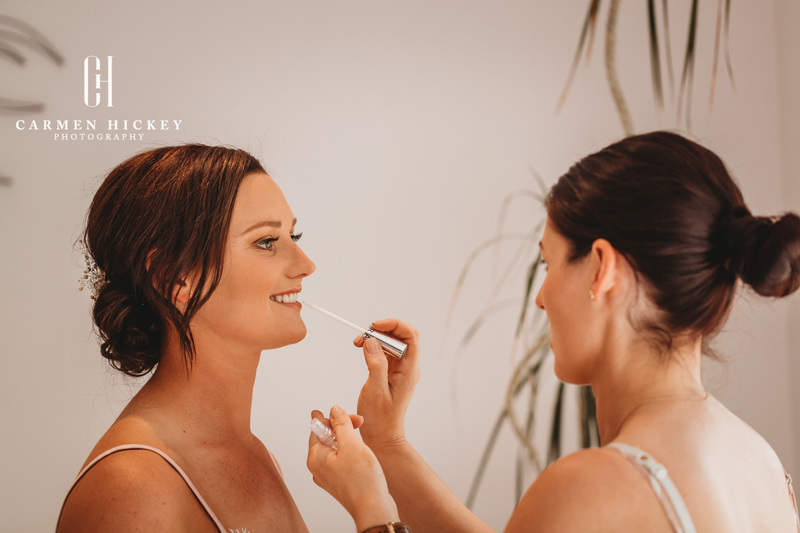 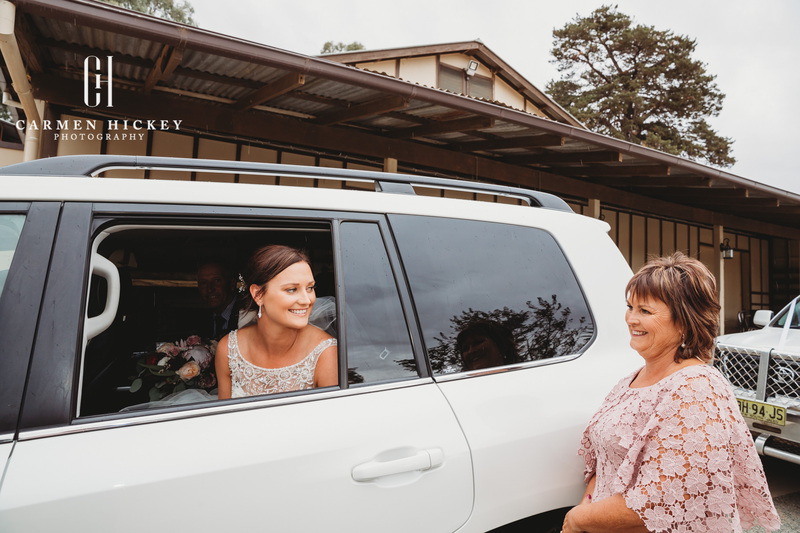 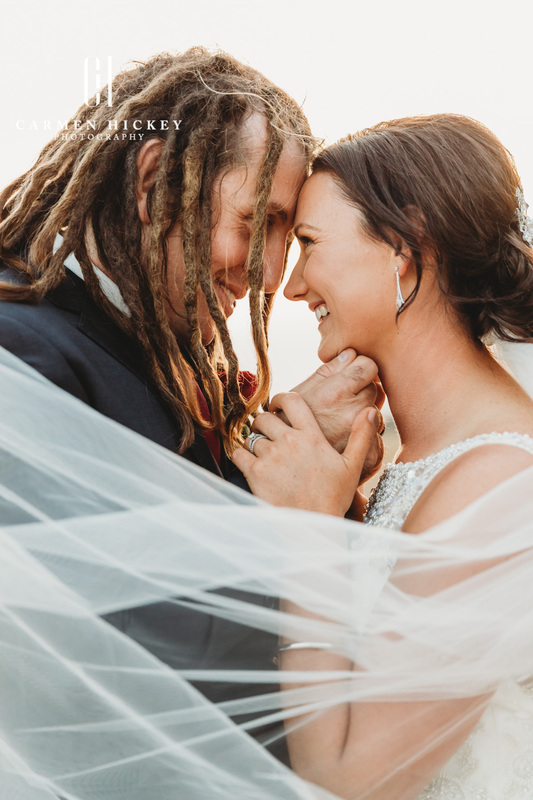 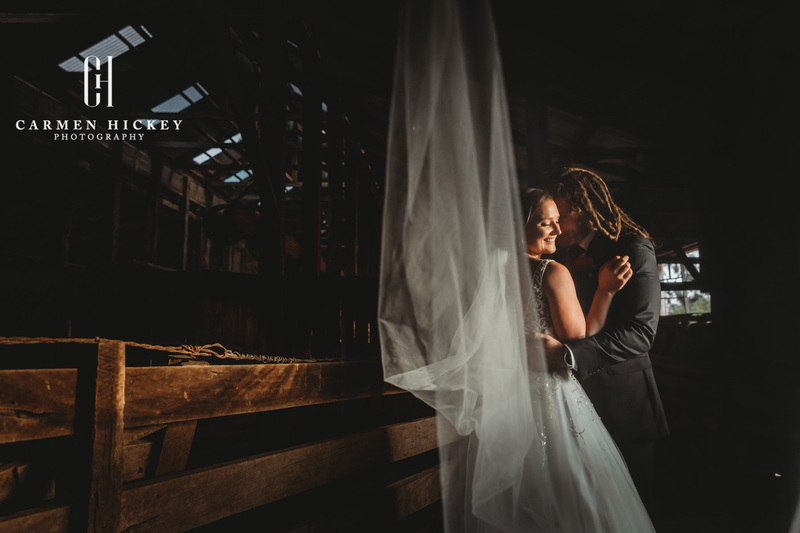 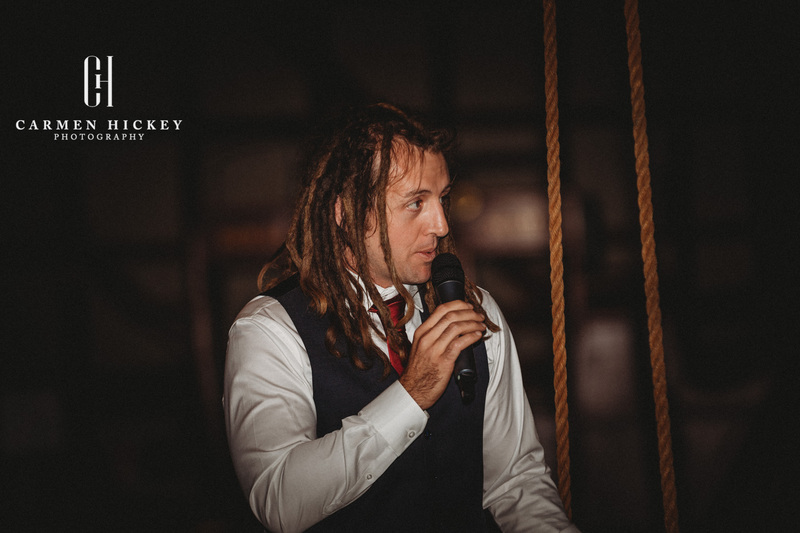 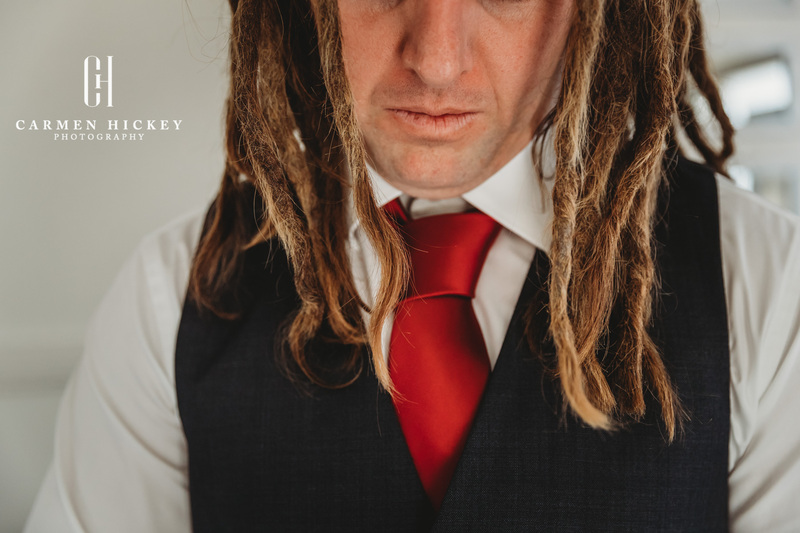 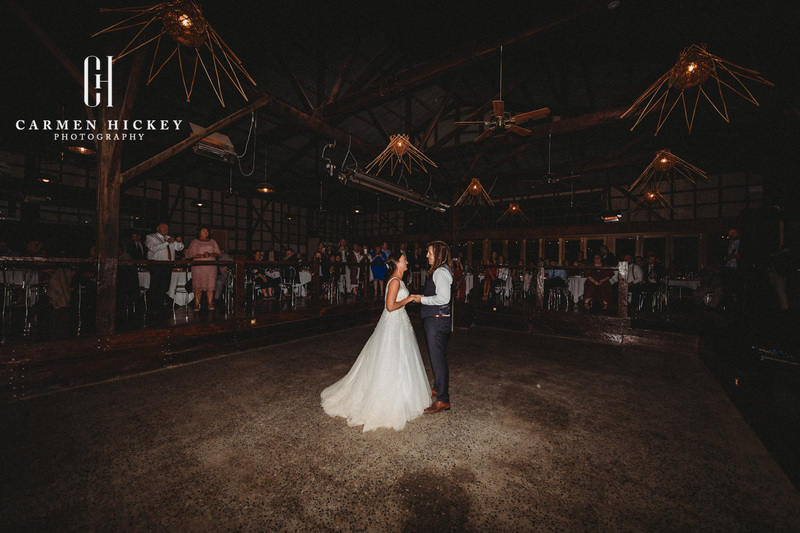 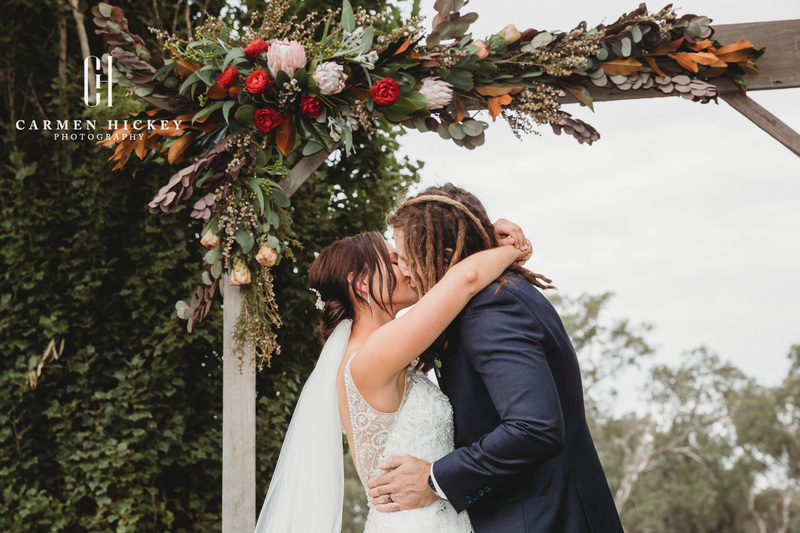 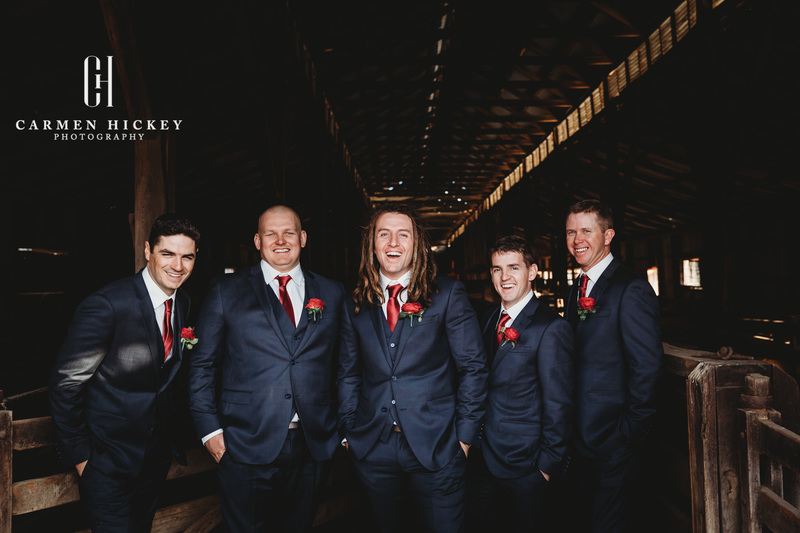 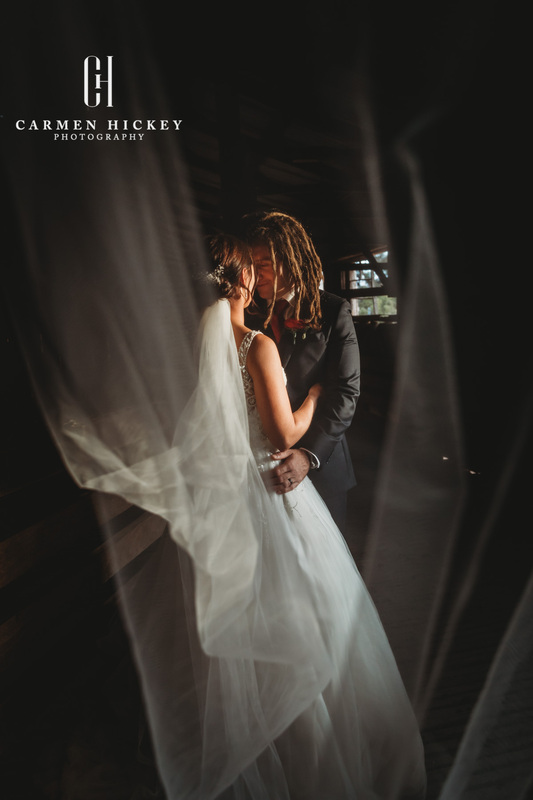 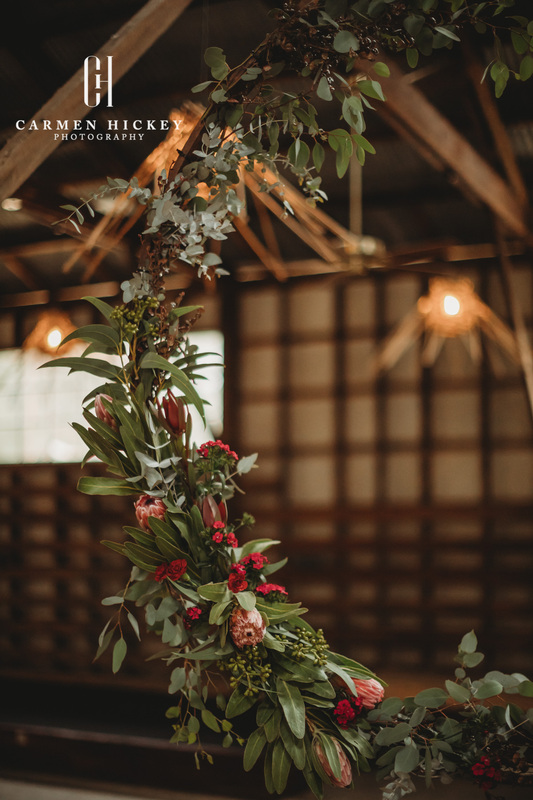 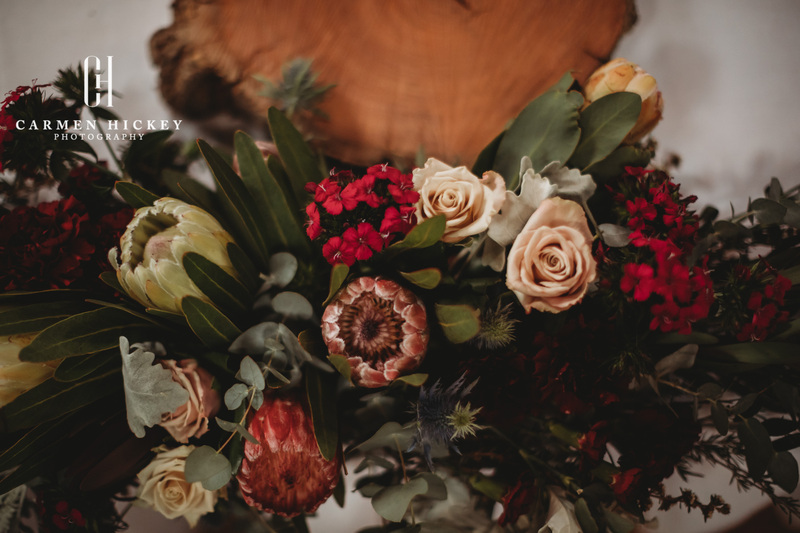 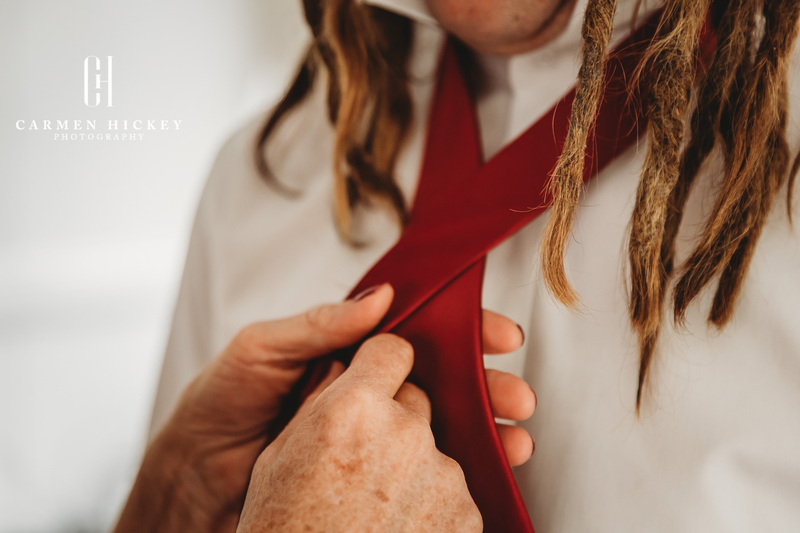 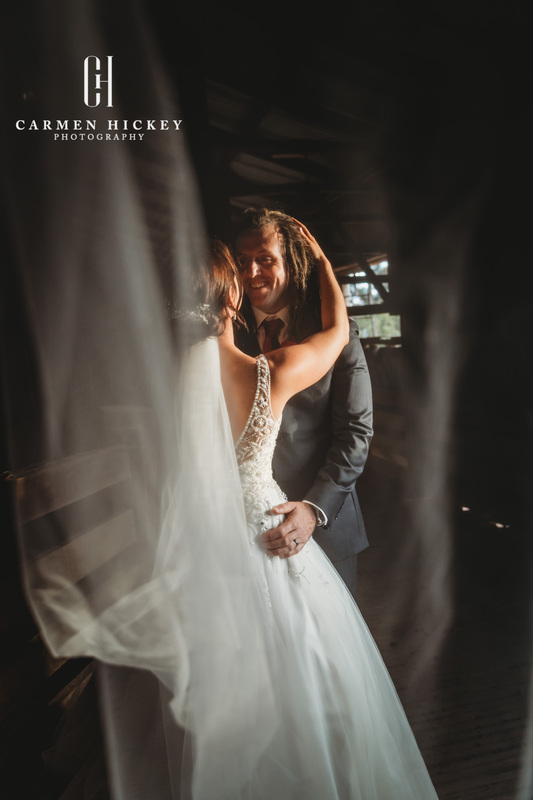 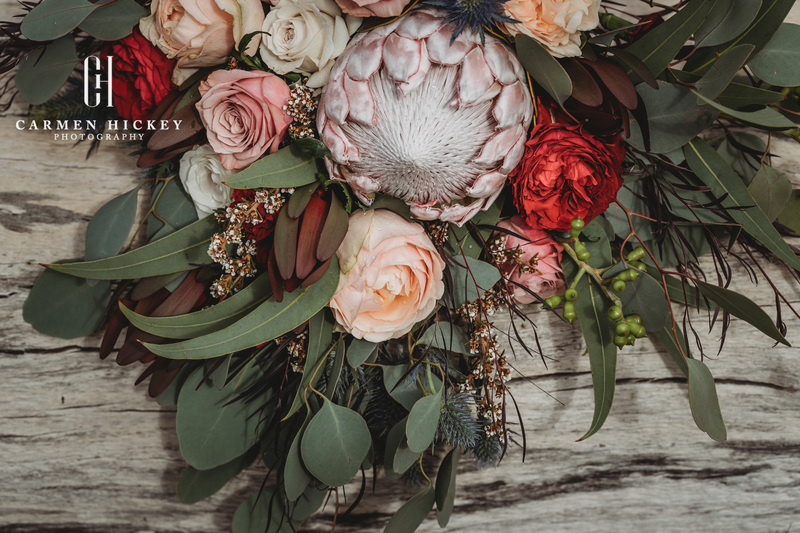 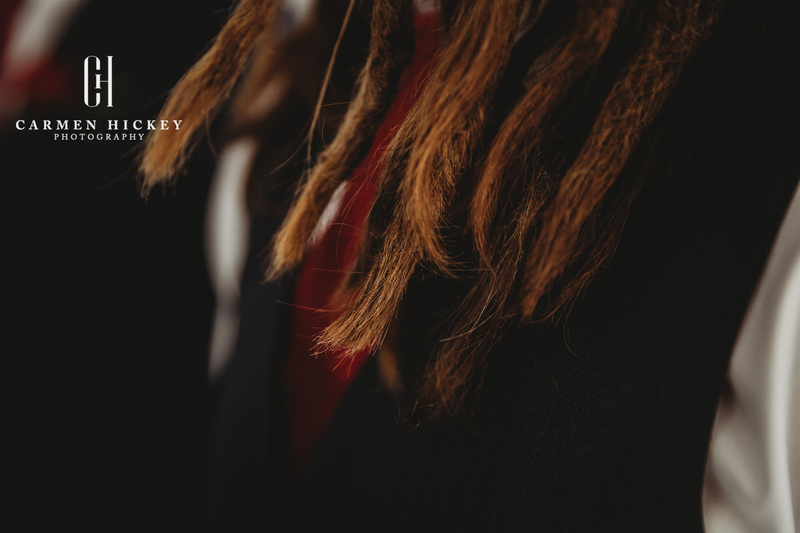 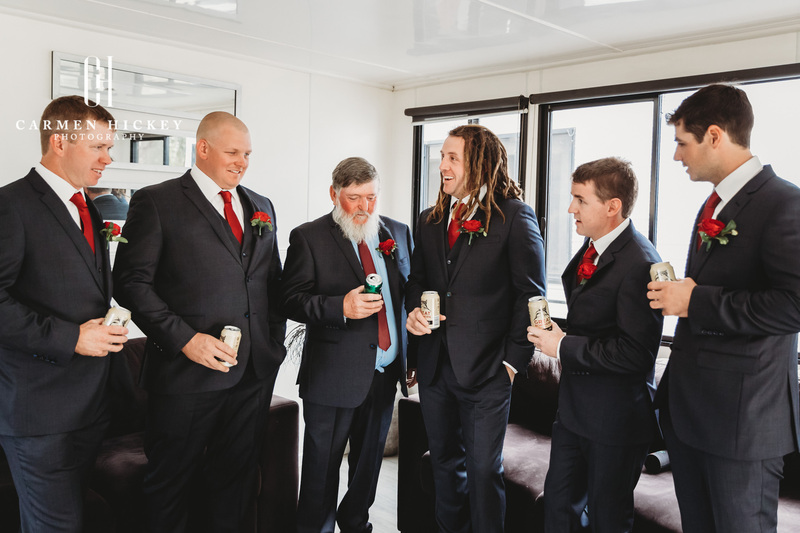 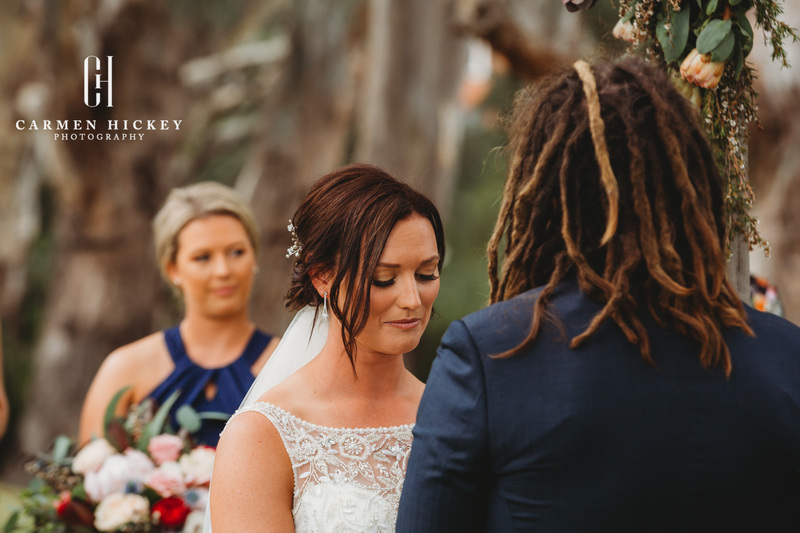 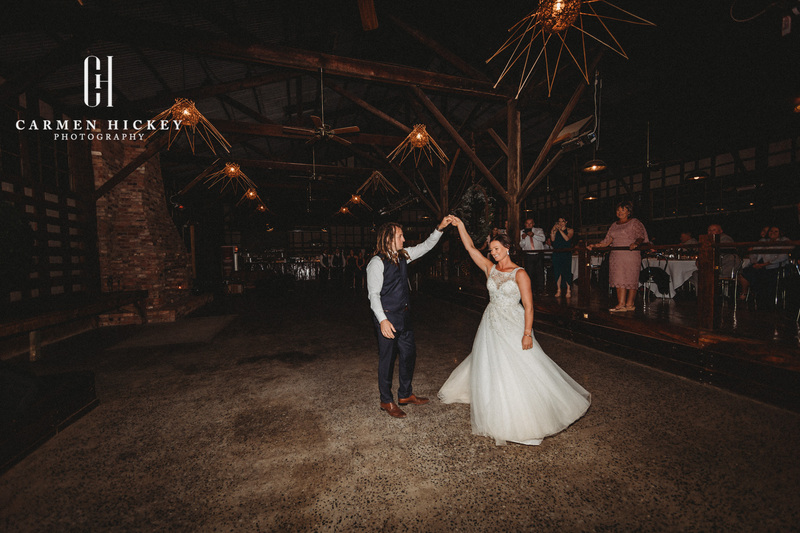 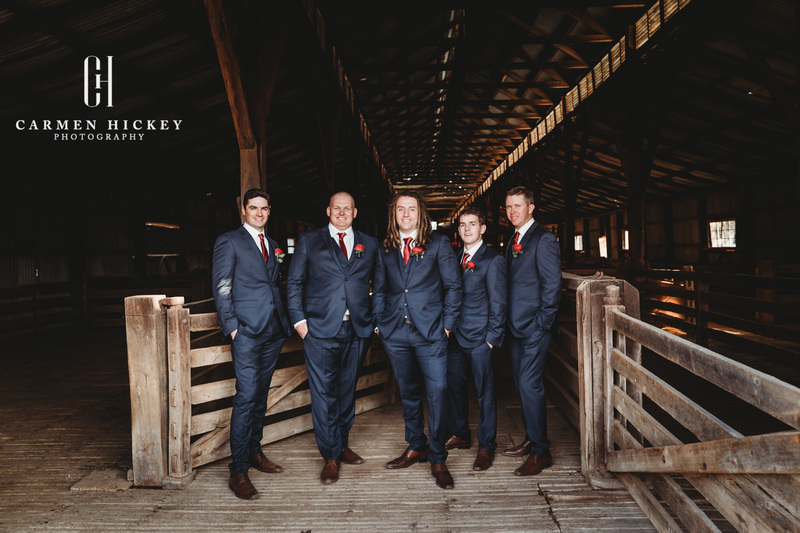 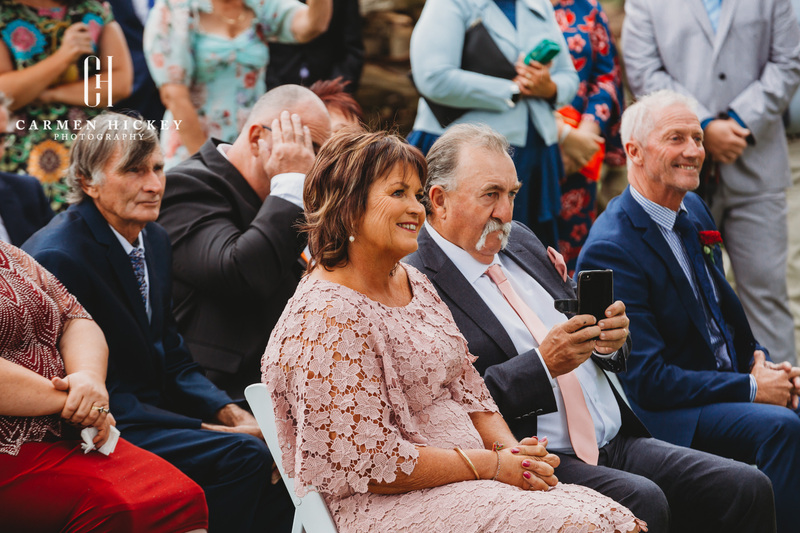 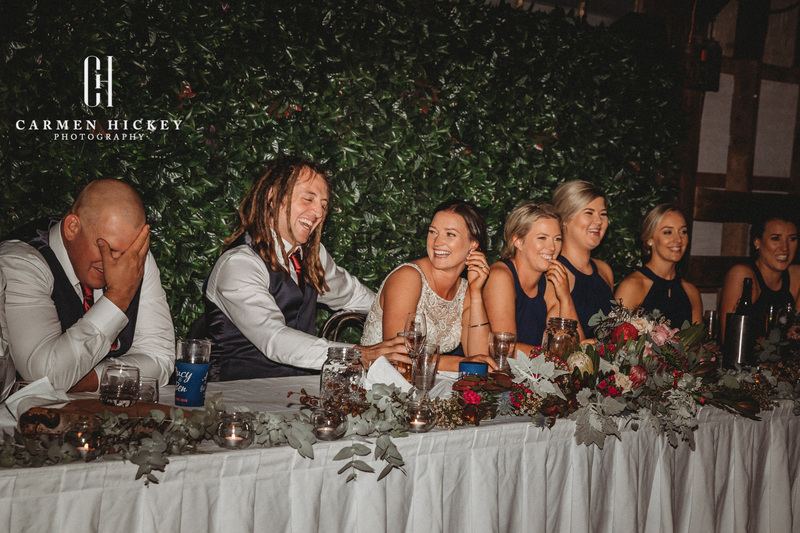 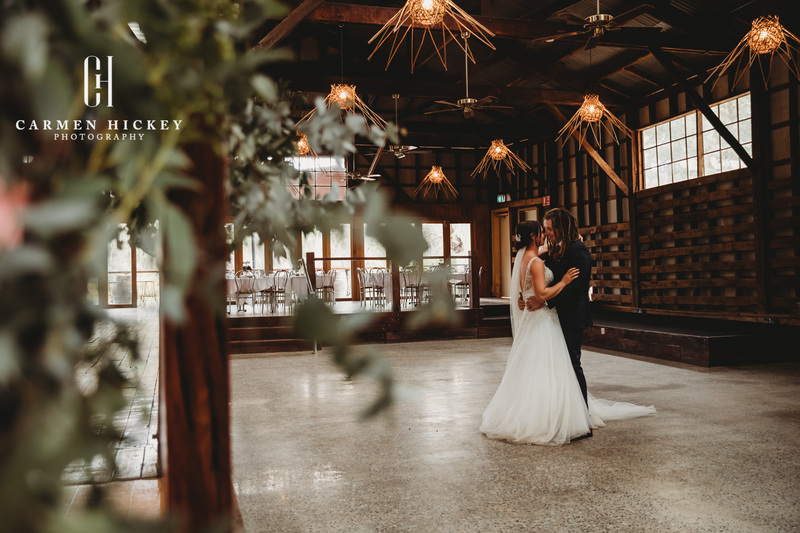 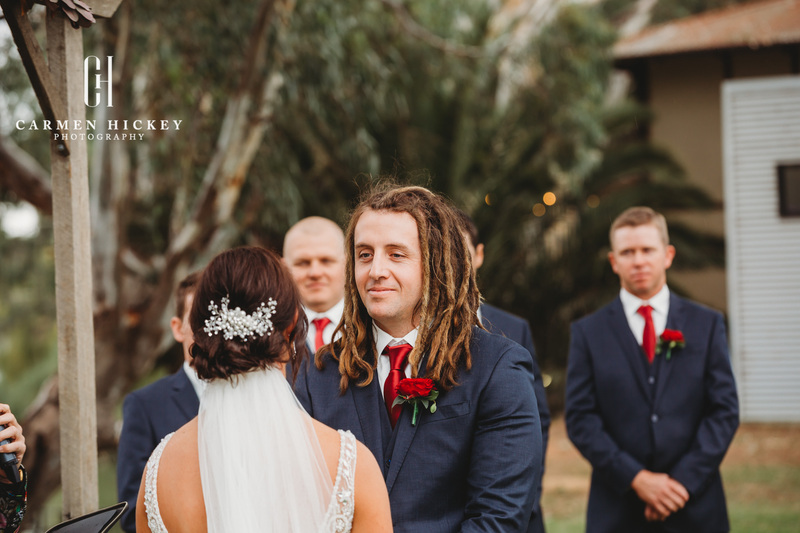 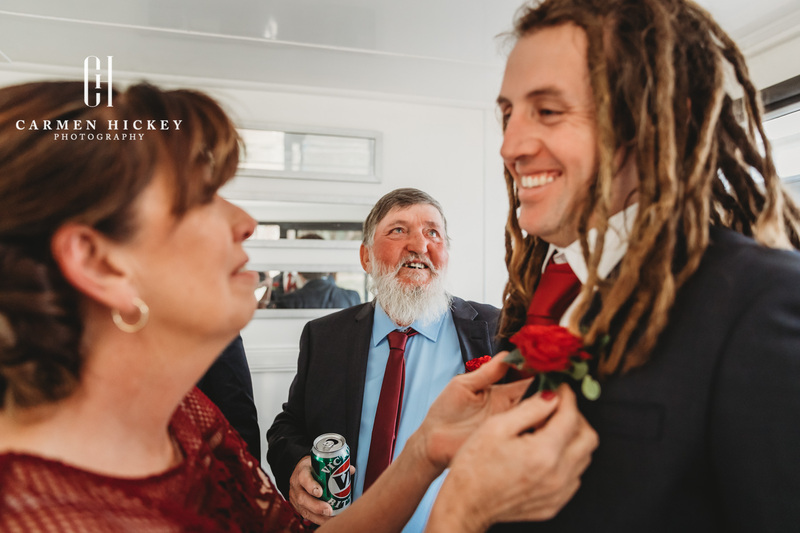 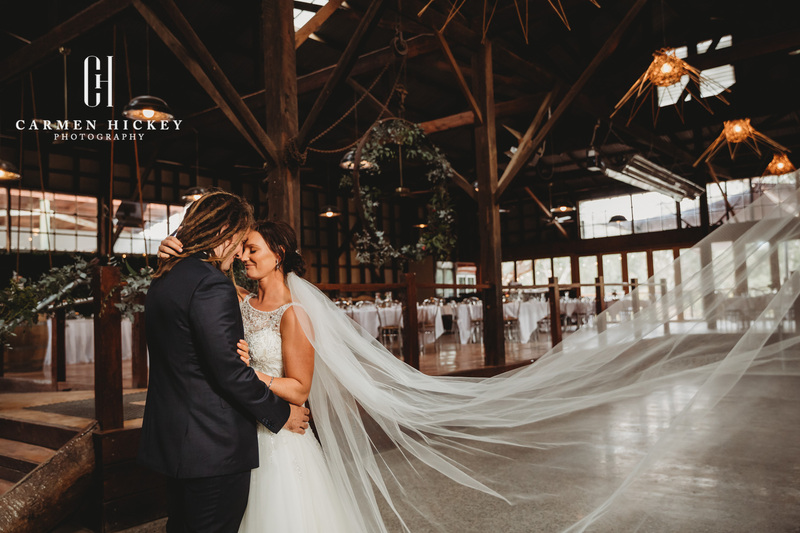 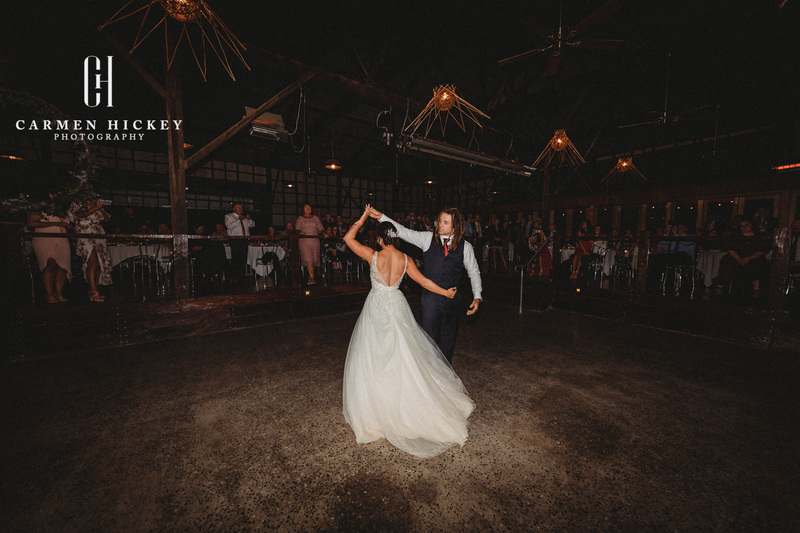 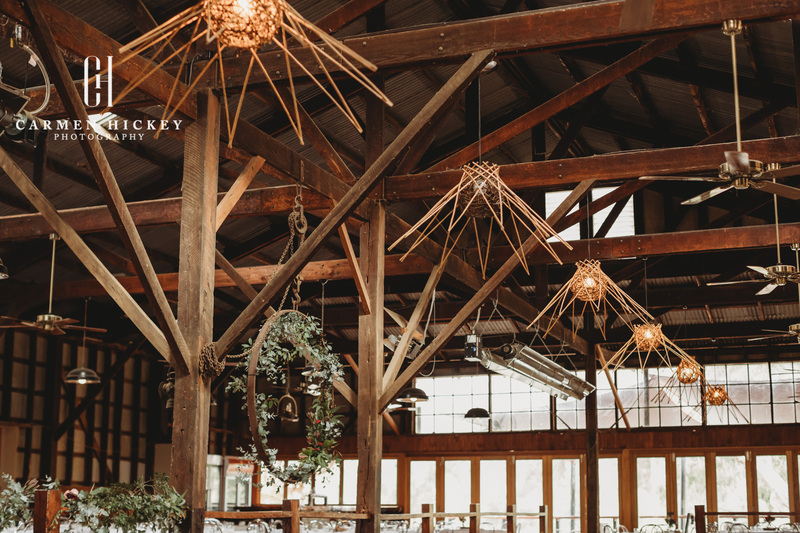 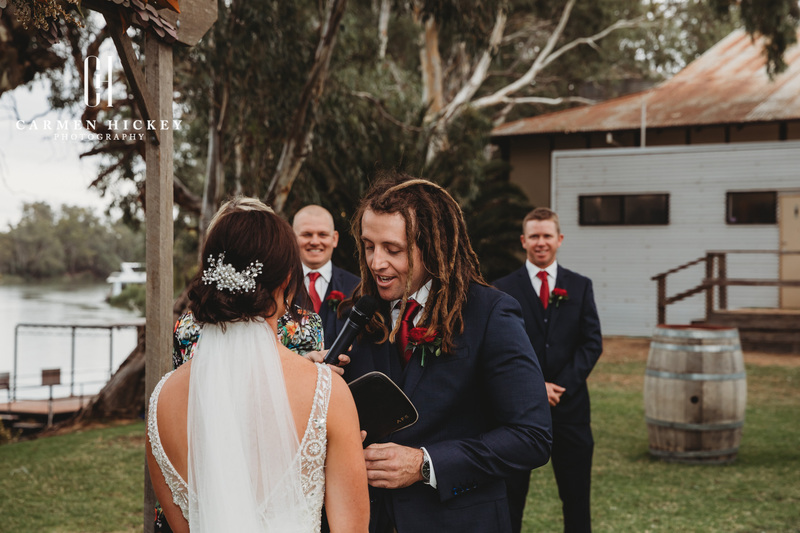 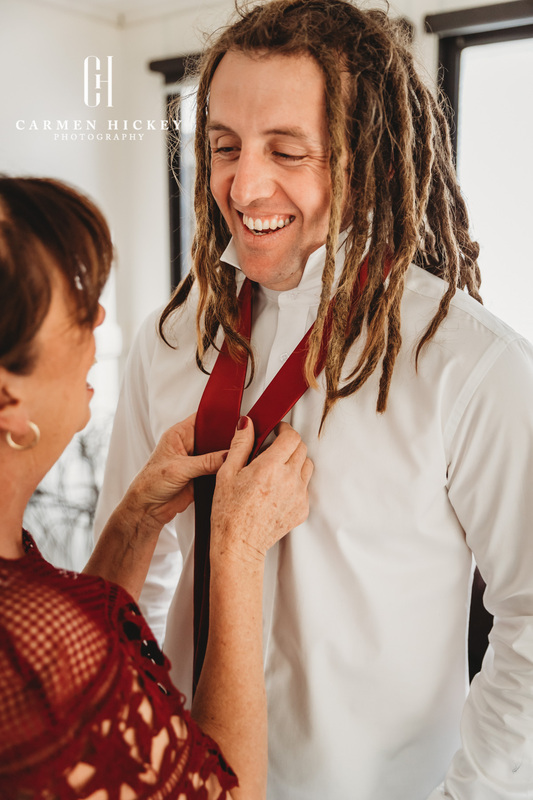 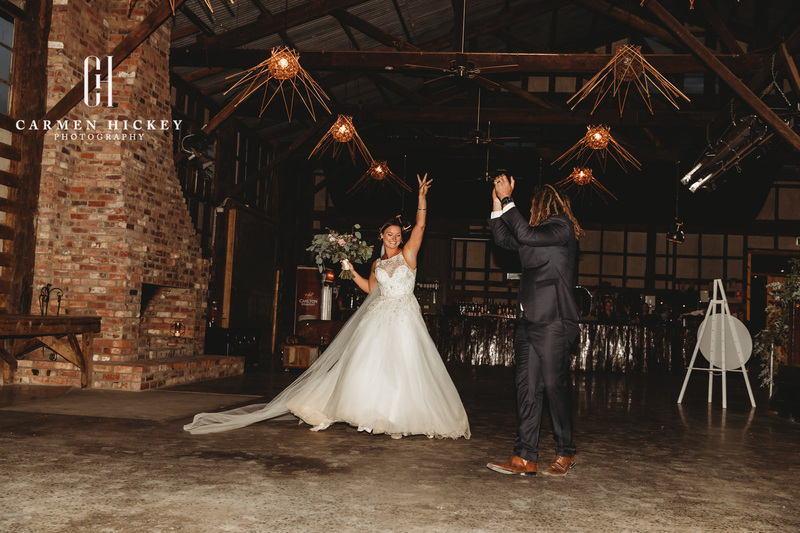 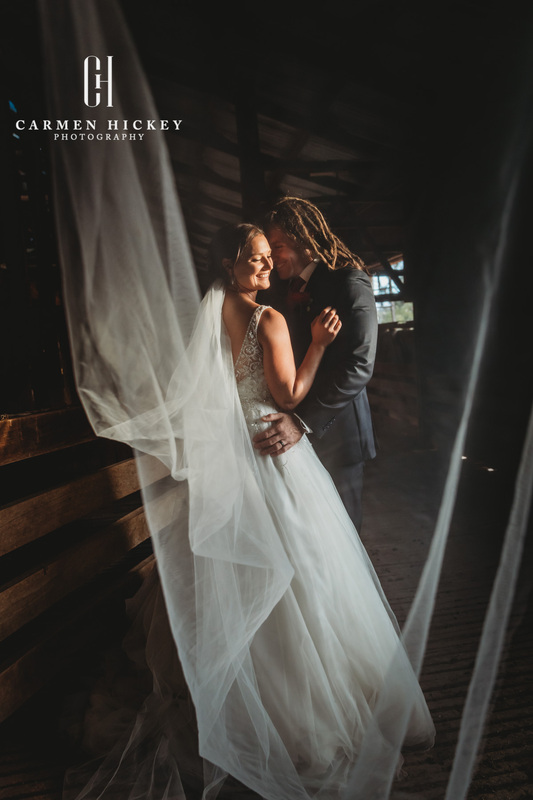 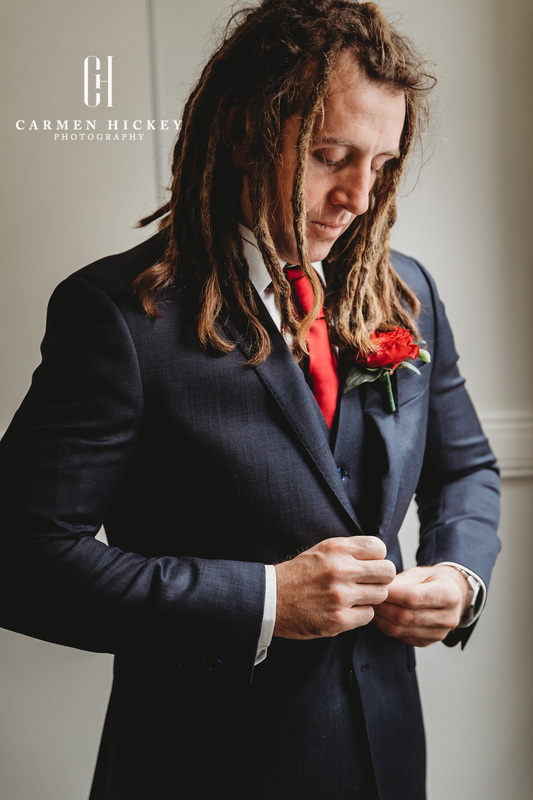 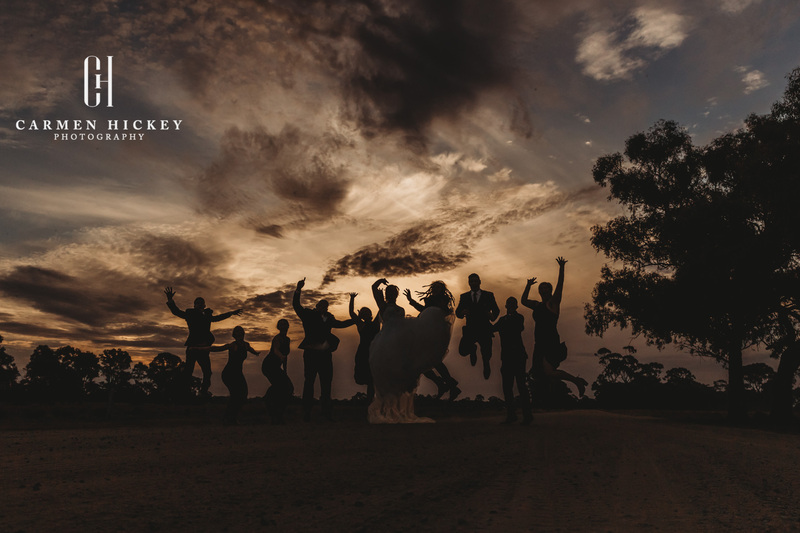 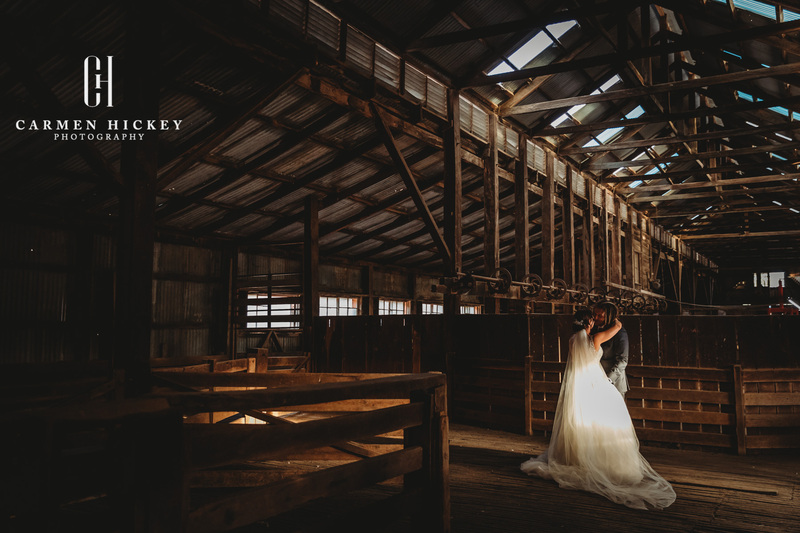 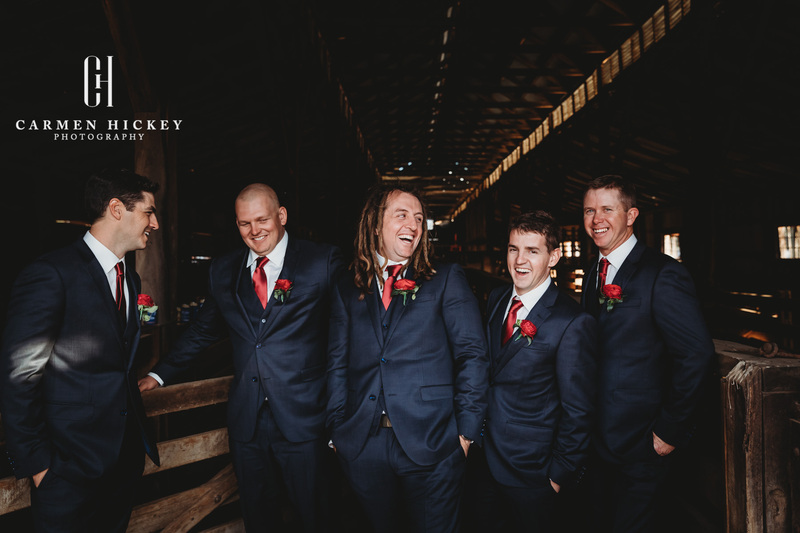 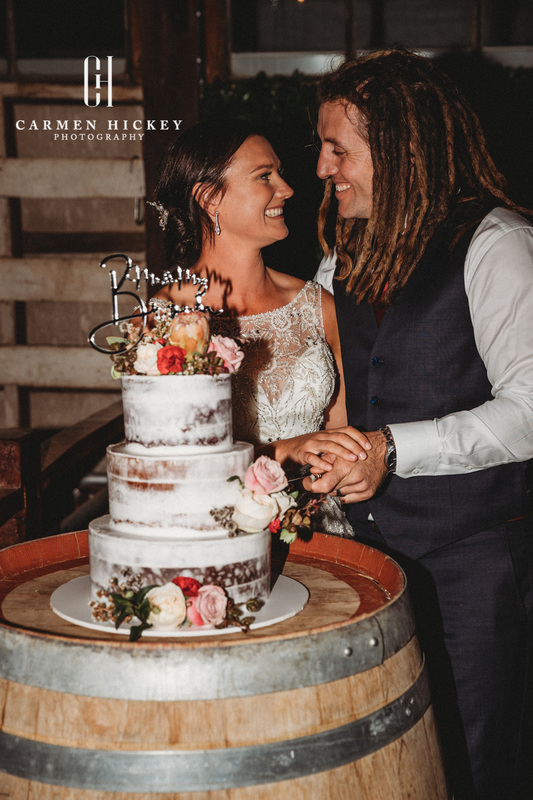 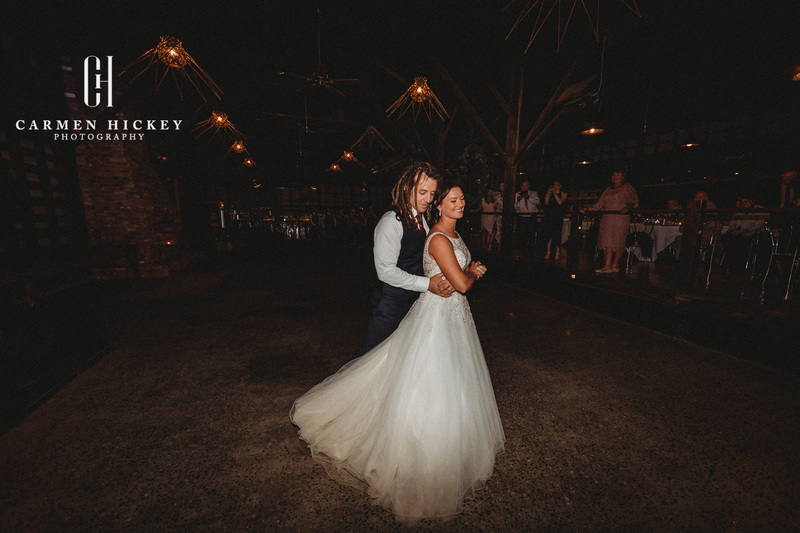 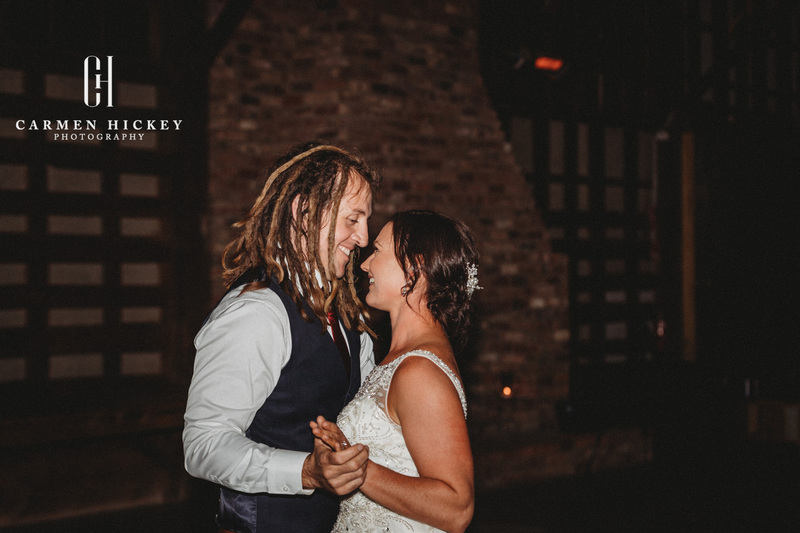 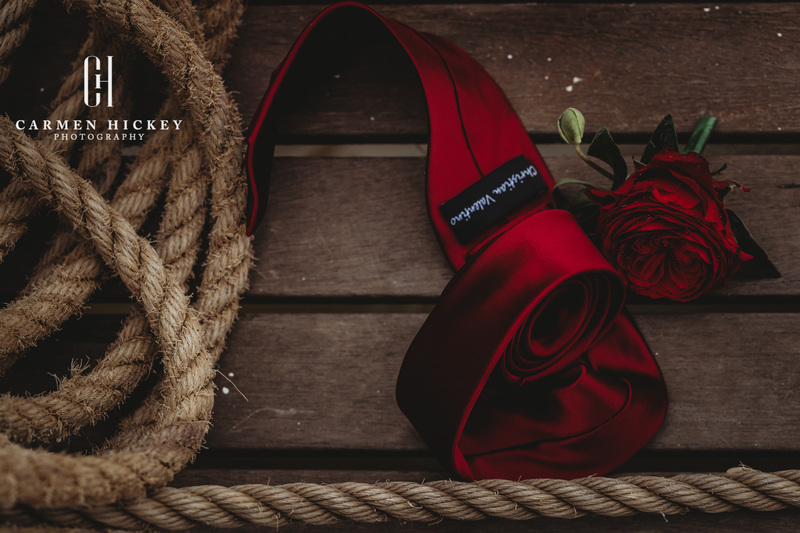 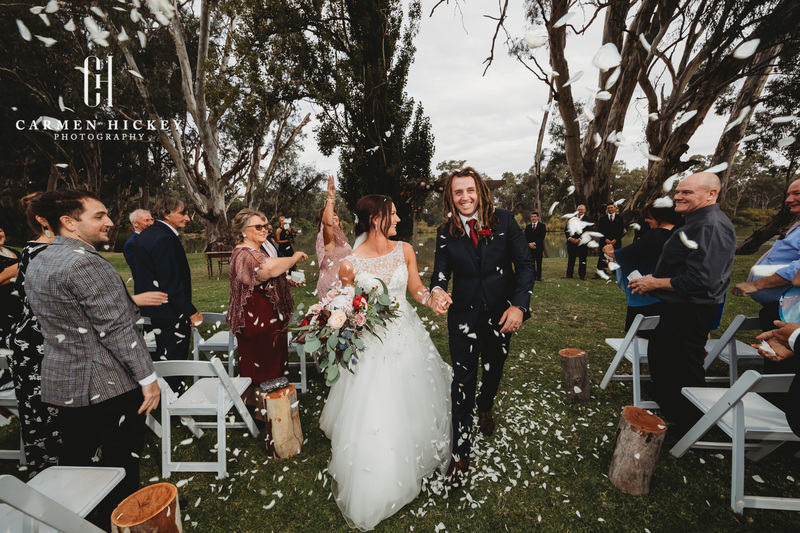 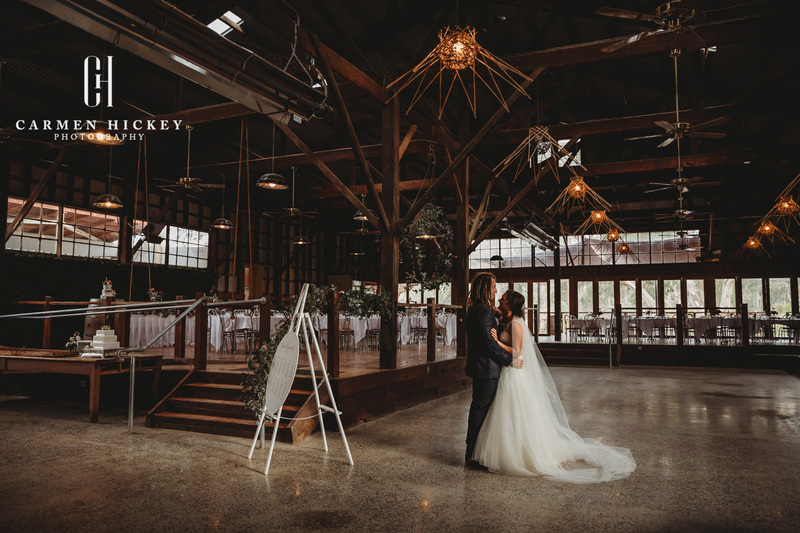 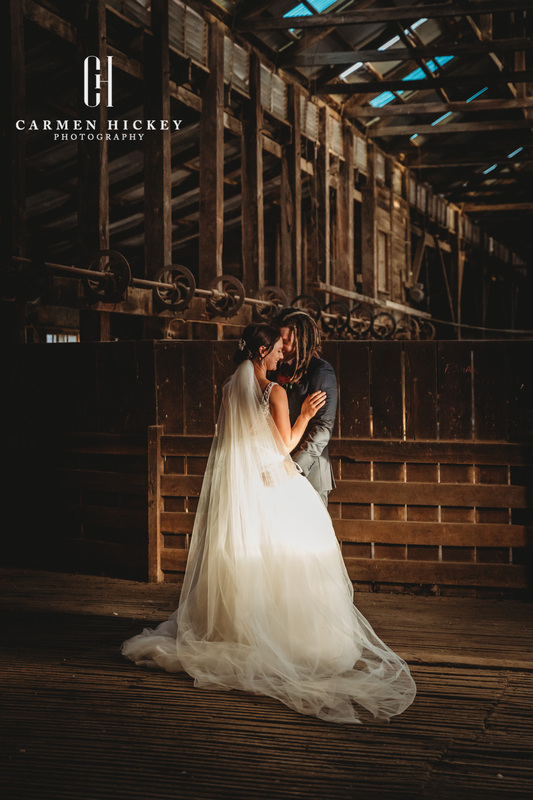 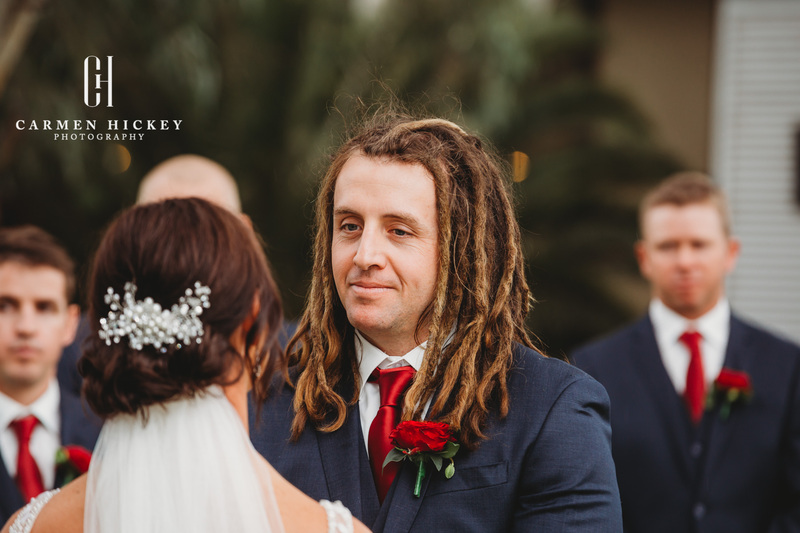 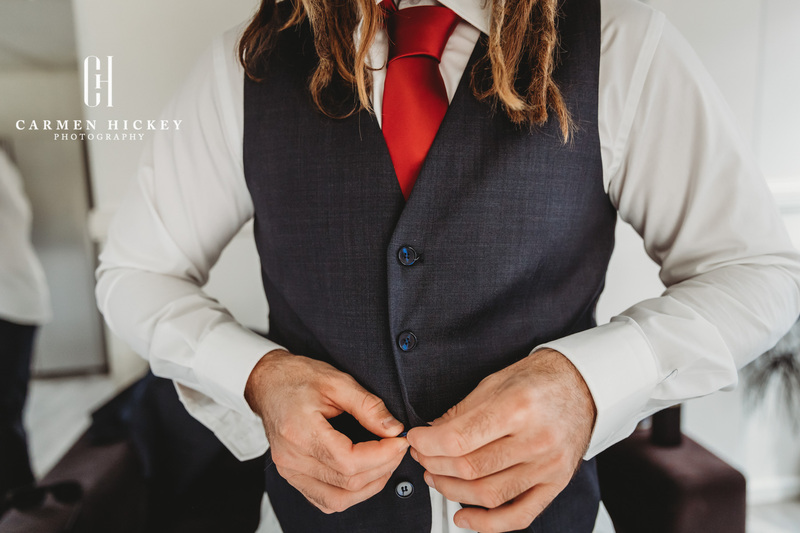 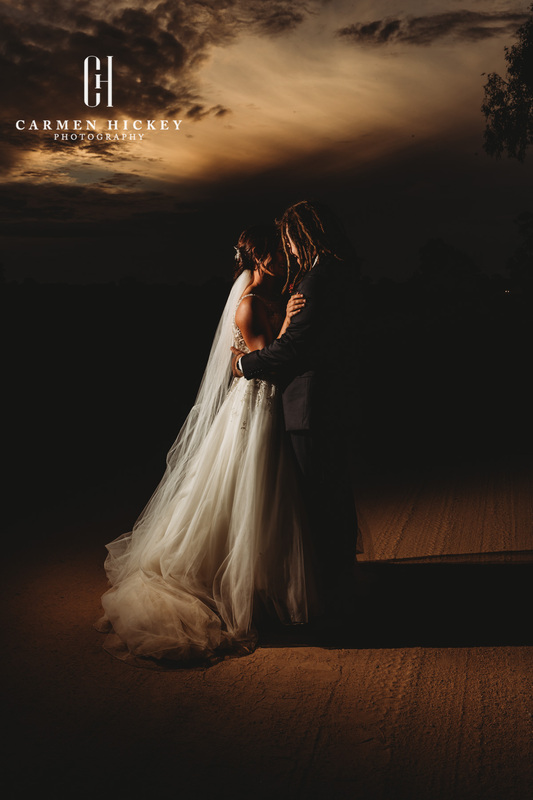 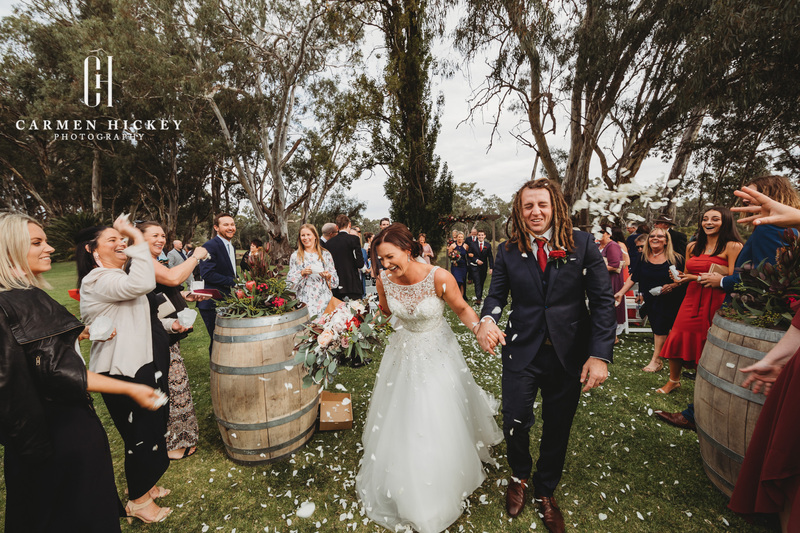 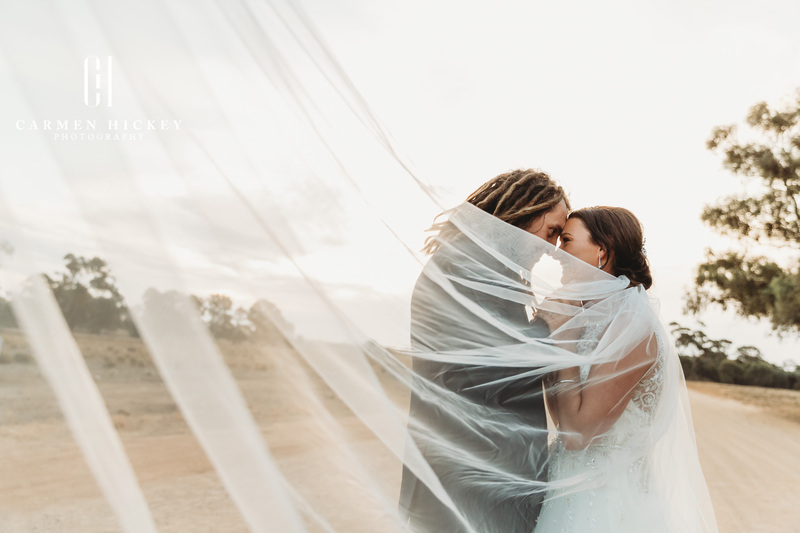 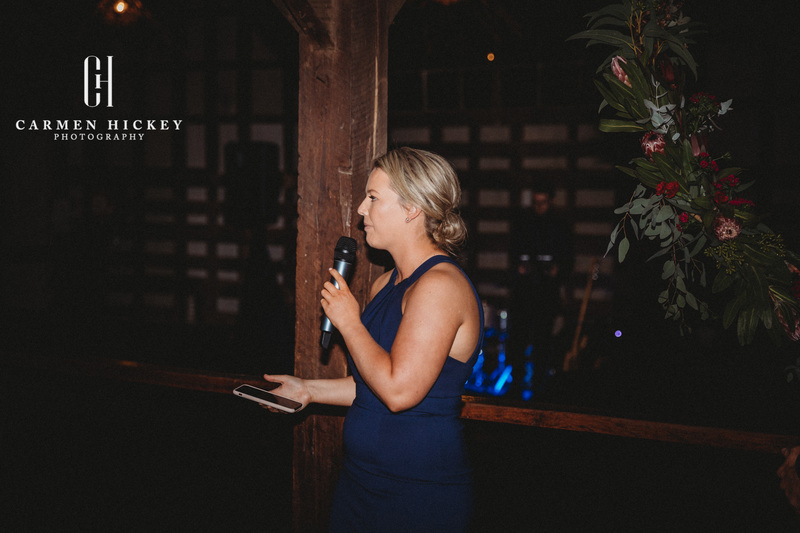 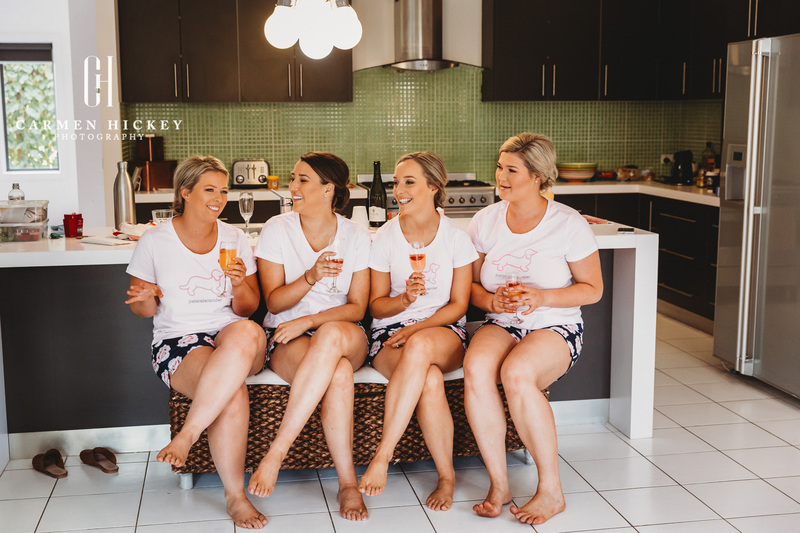 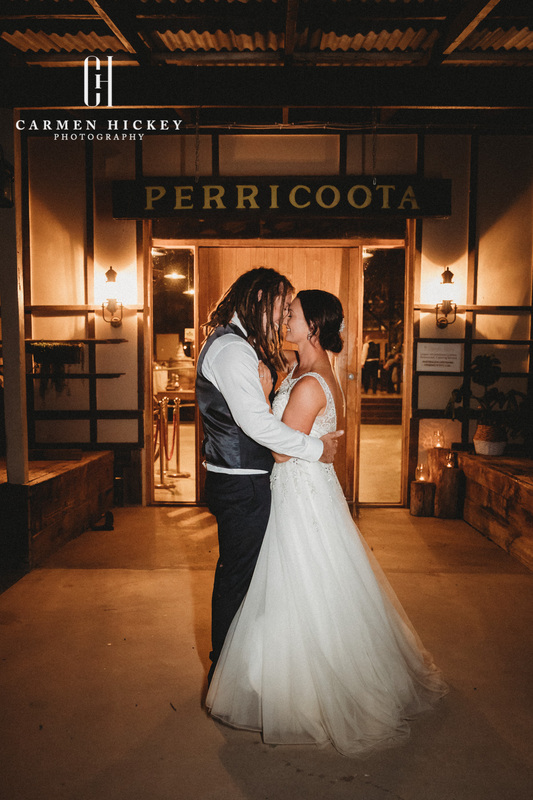 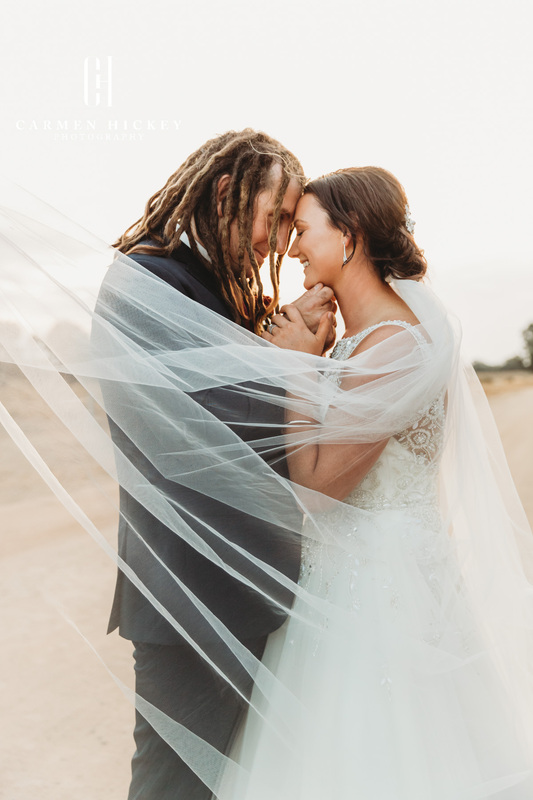 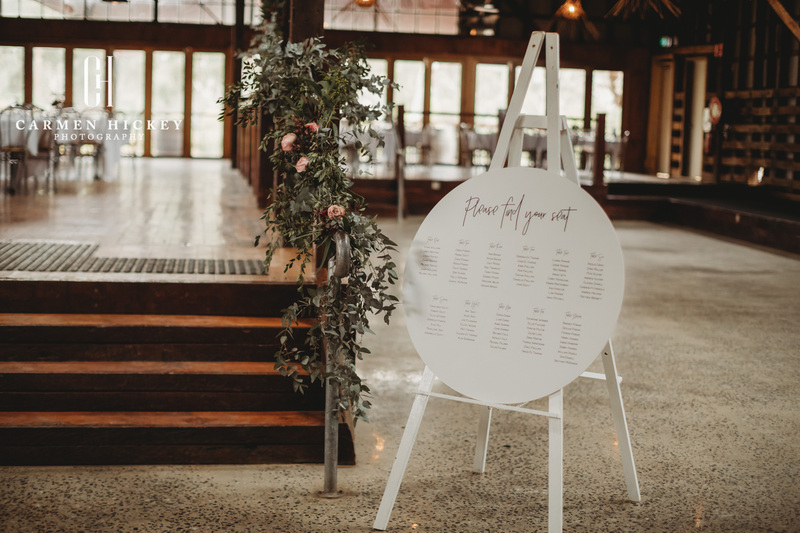 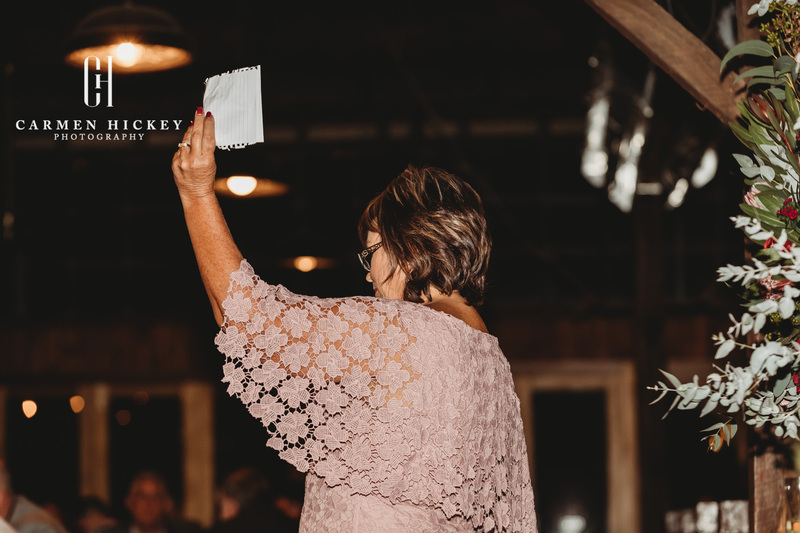 Feather’s were ruffled, bubbles popped and dreadlocks flew whilst enjoying the dusty sunset on the historical Perricoota Station, before we arrived back at the Packing Shed to enjoy the nights formalities including a stunning choreographed first dance.